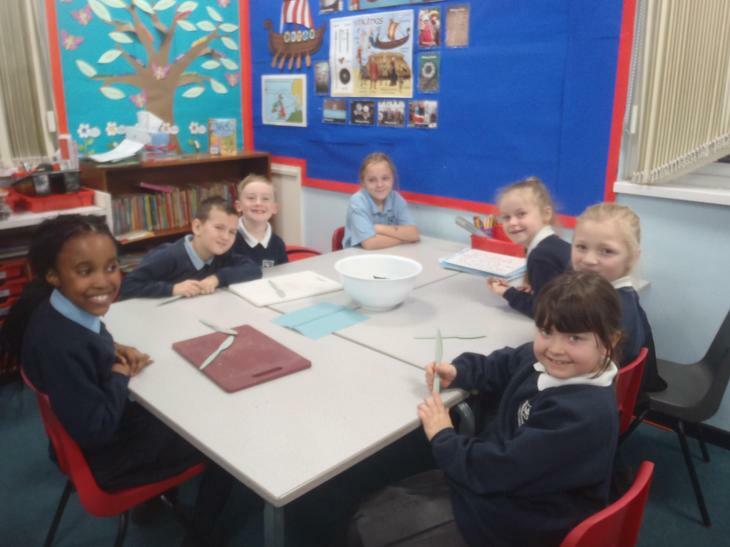 We will be keeping you updated with lots of pictures and information about what happens in school! 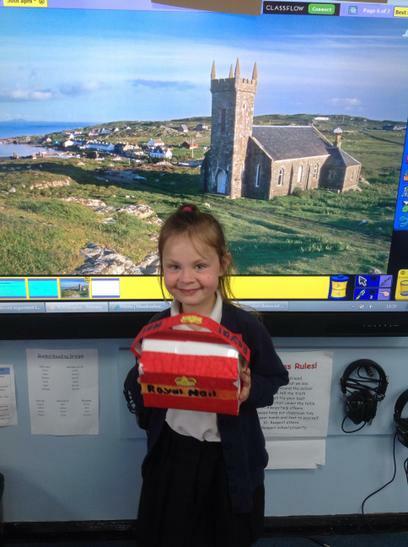 - Home readers are to be in school every day. 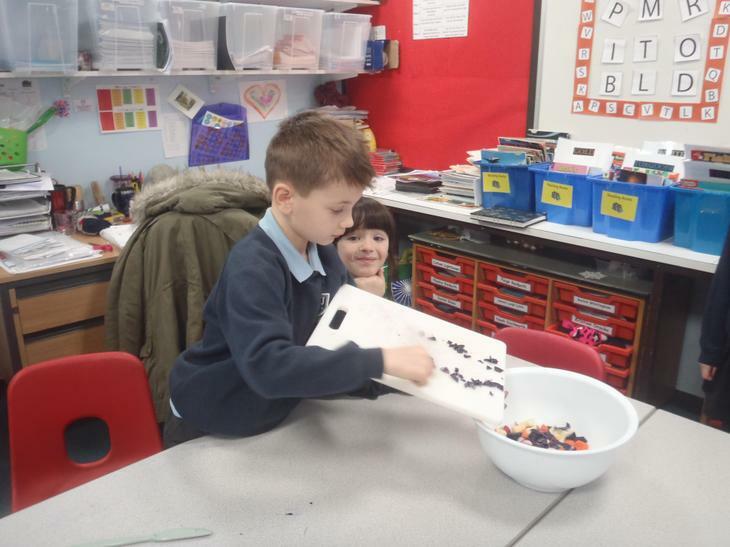 We ask if you could read with your child and ask them questions about what they have just read. 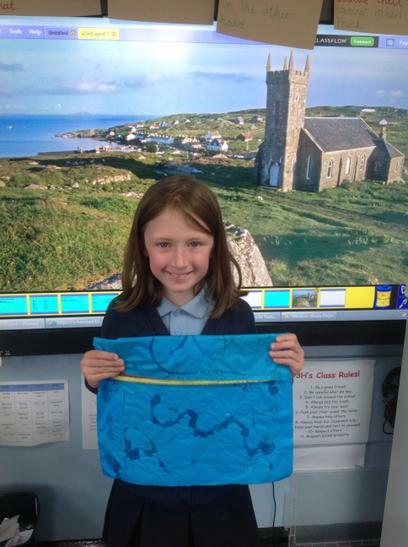 - Swimming kits need to be in school on a Tuesday. 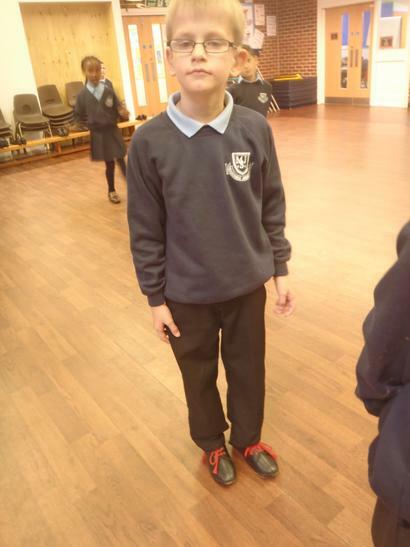 - PE kits need to be in school on Fridays. 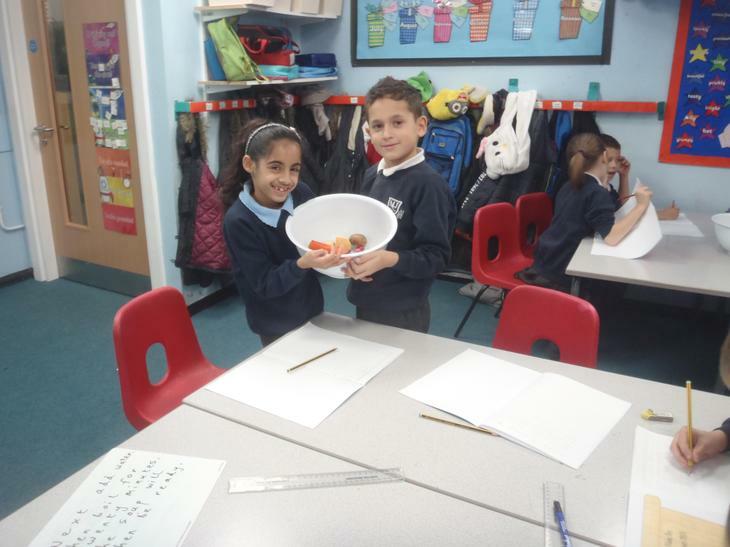 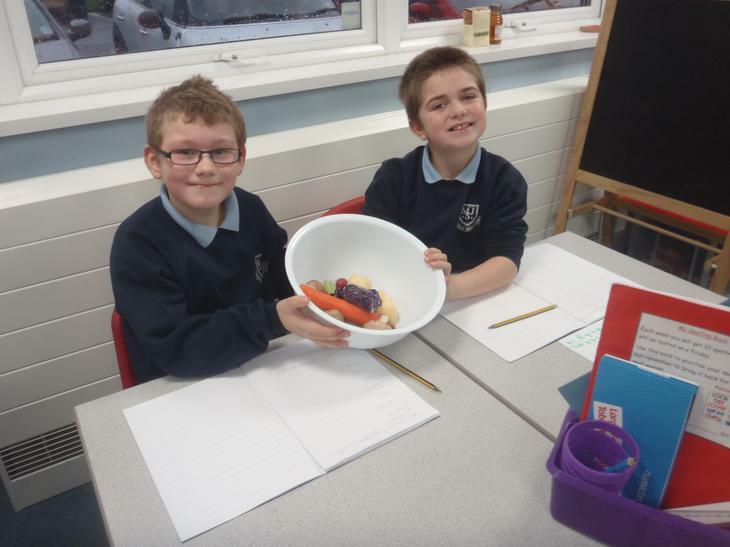 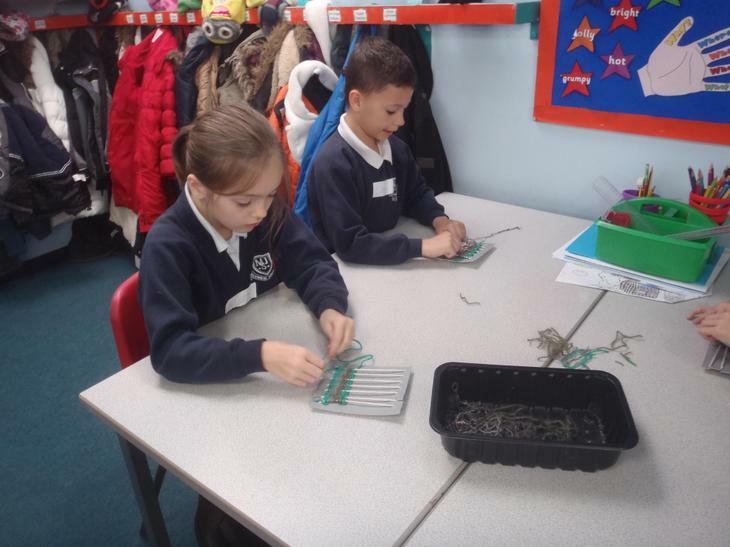 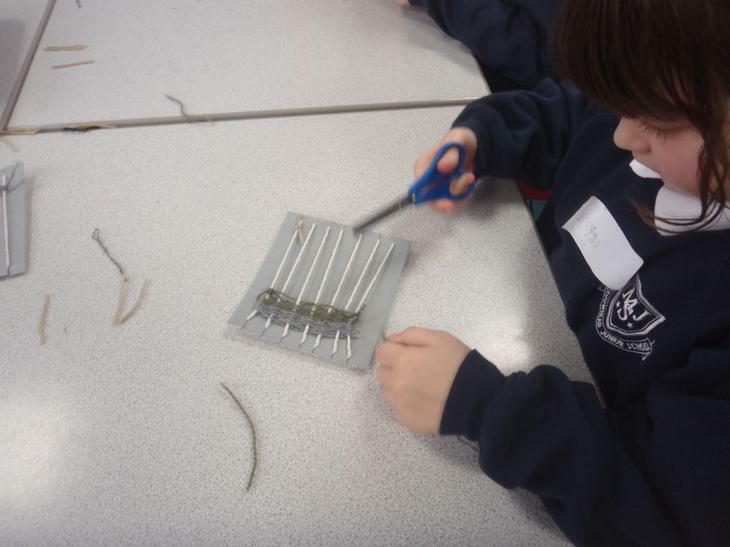 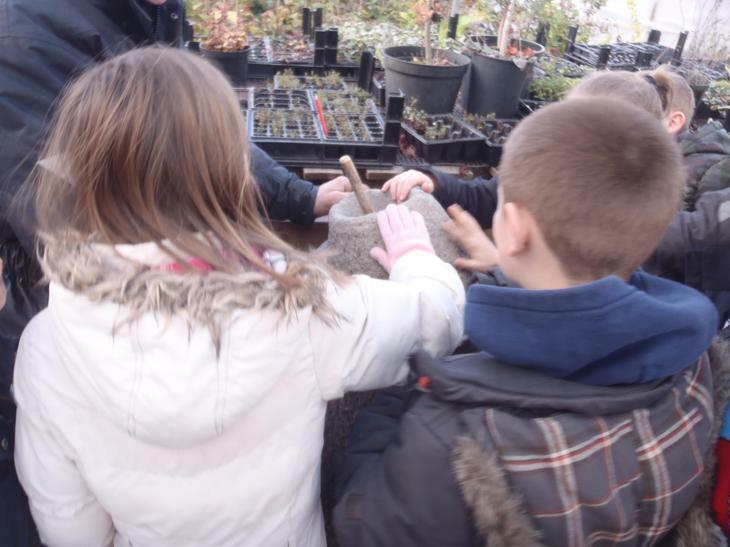 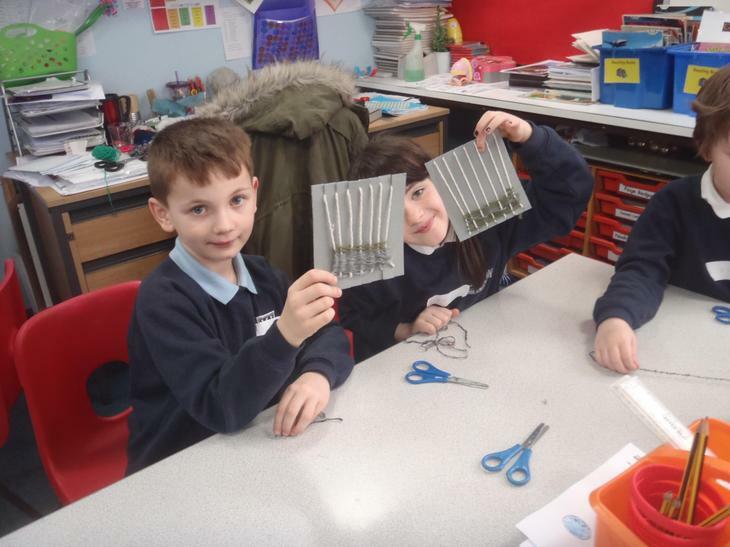 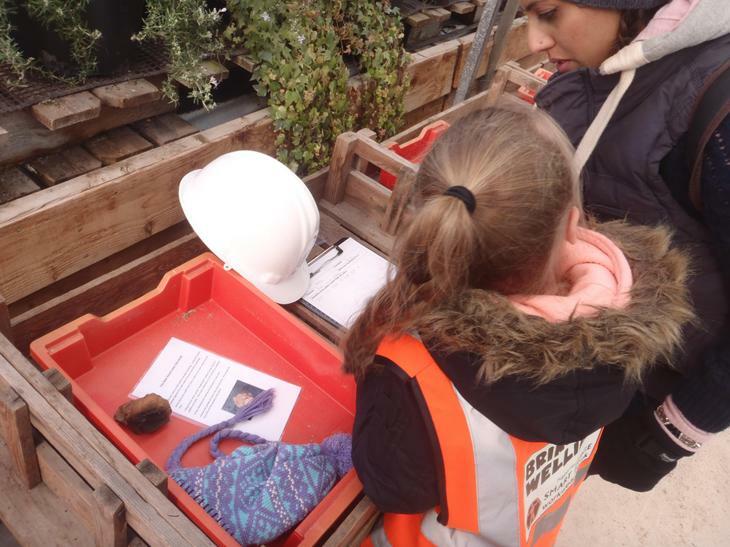 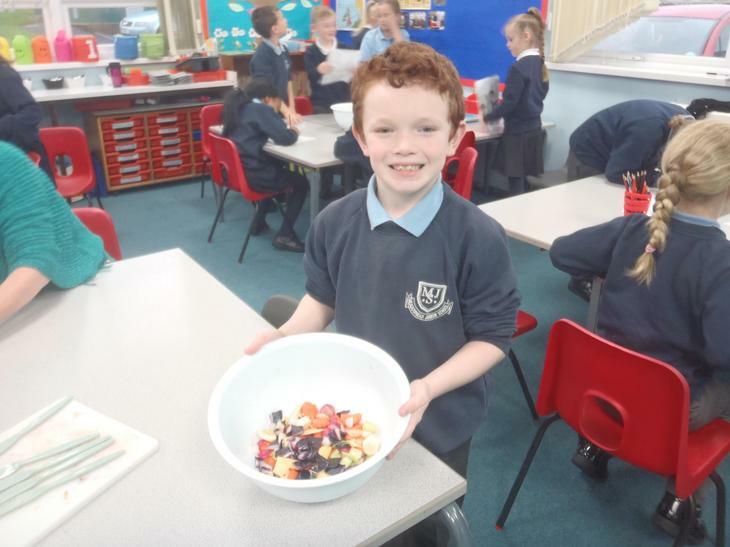 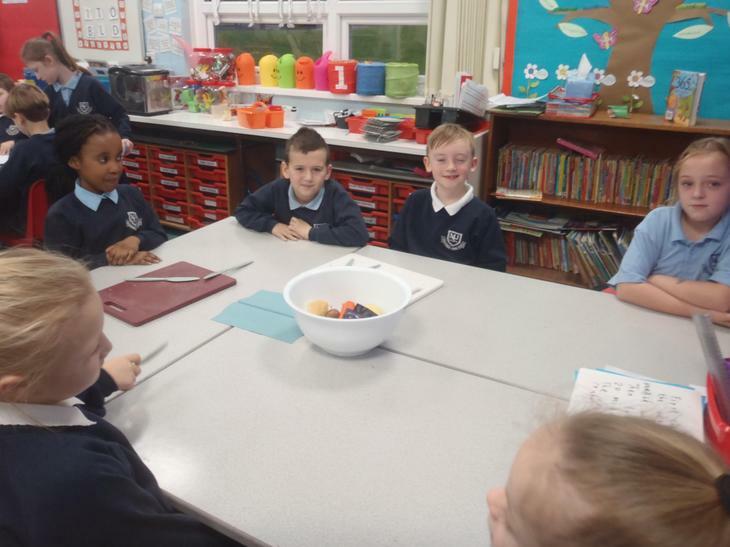 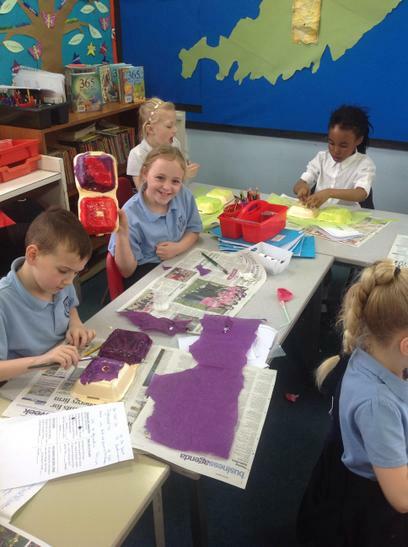 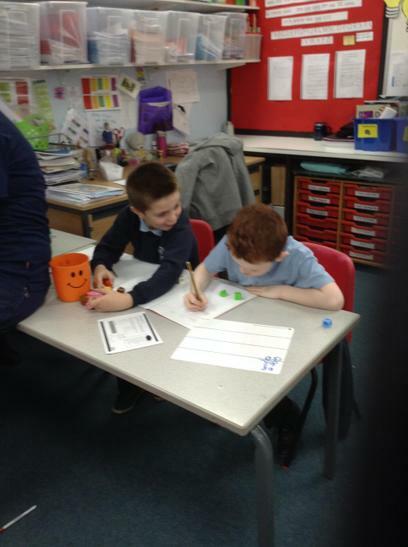 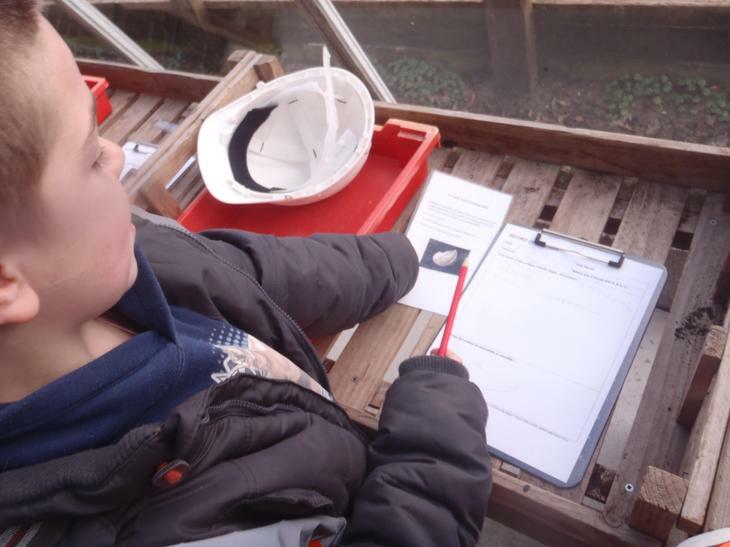 In science we have been learning about plants. 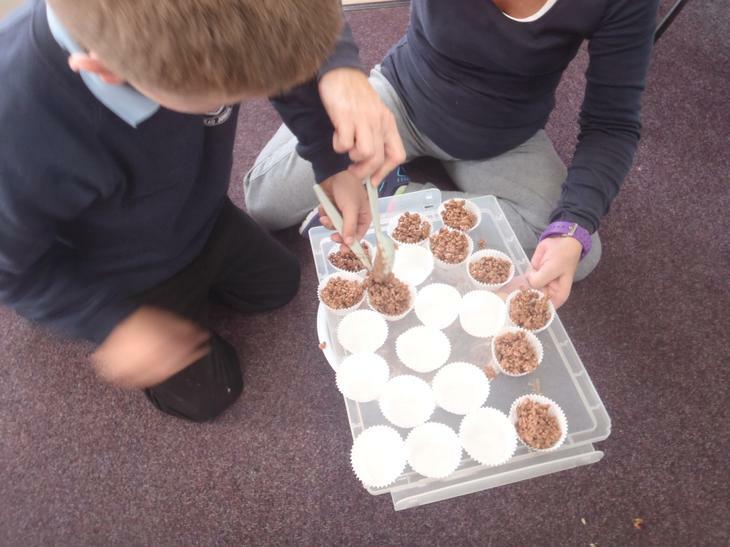 We start each science lesson by doing an experiment! 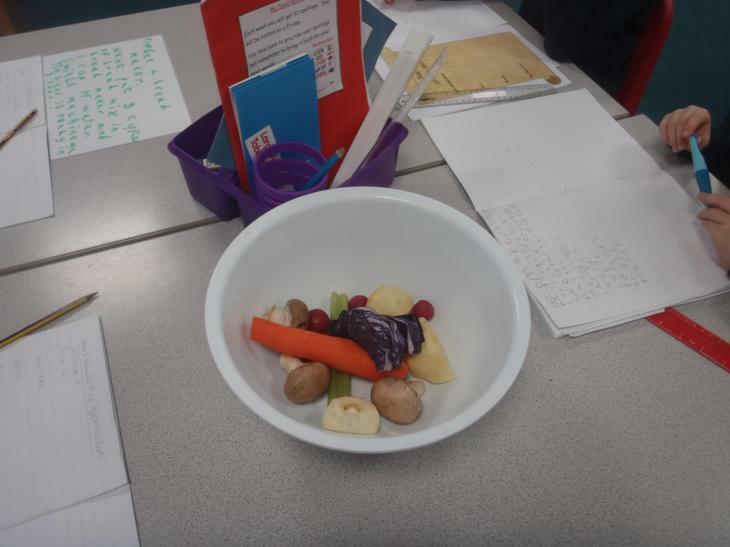 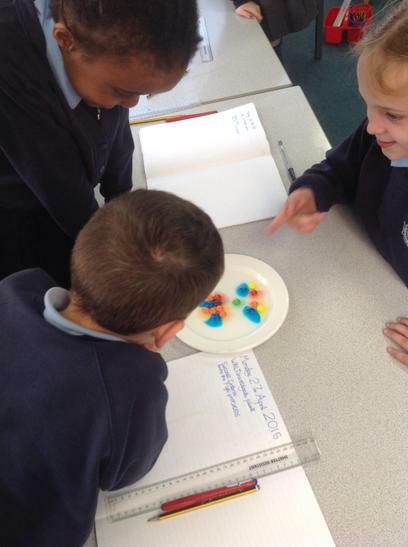 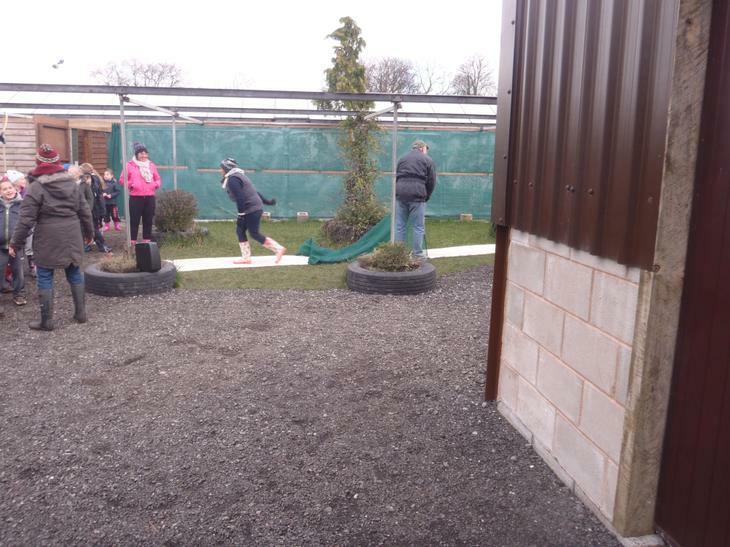 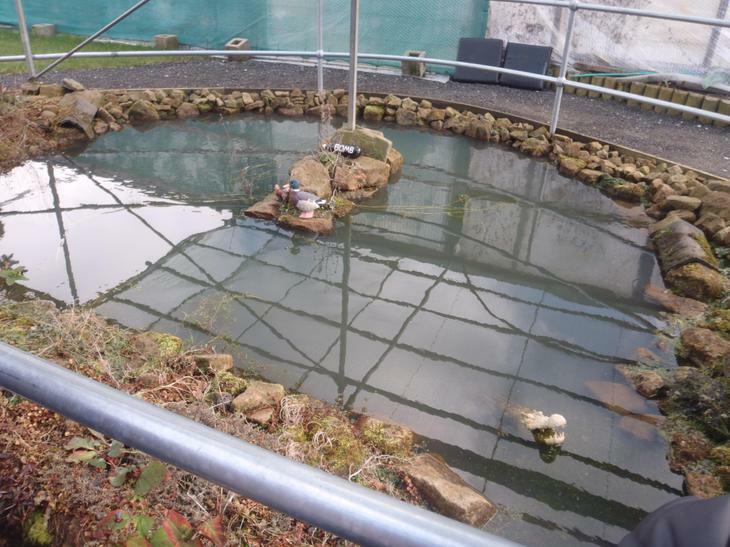 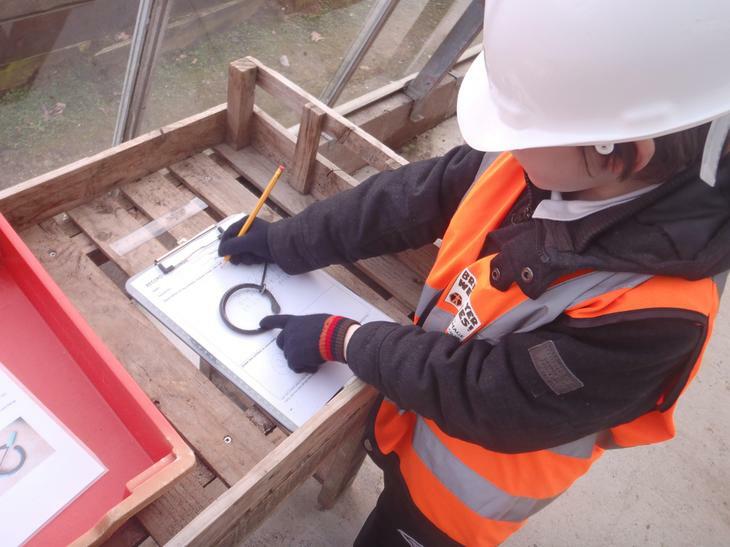 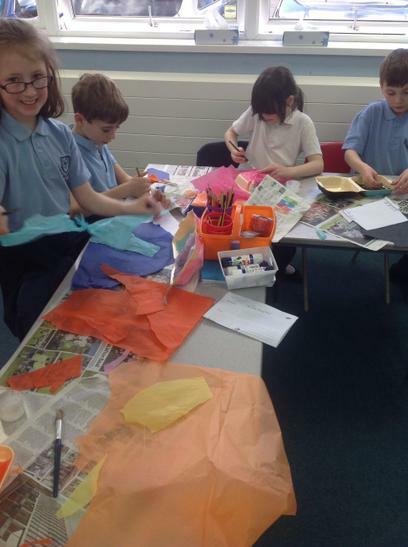 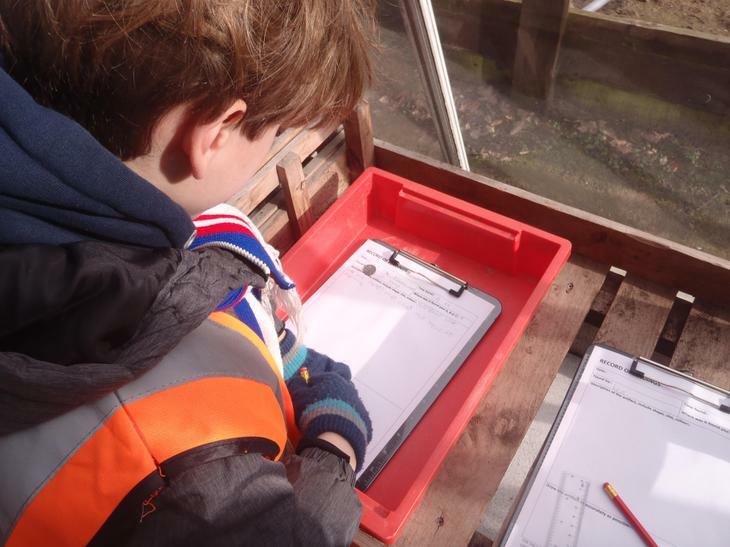 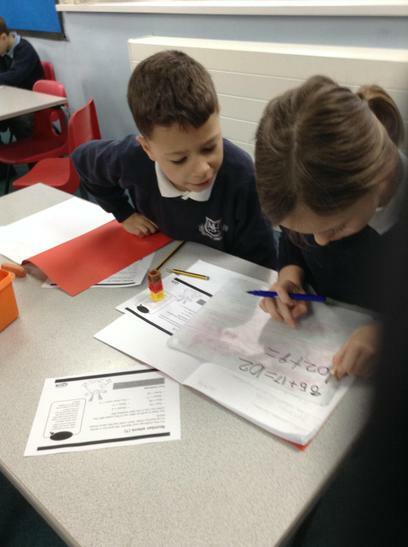 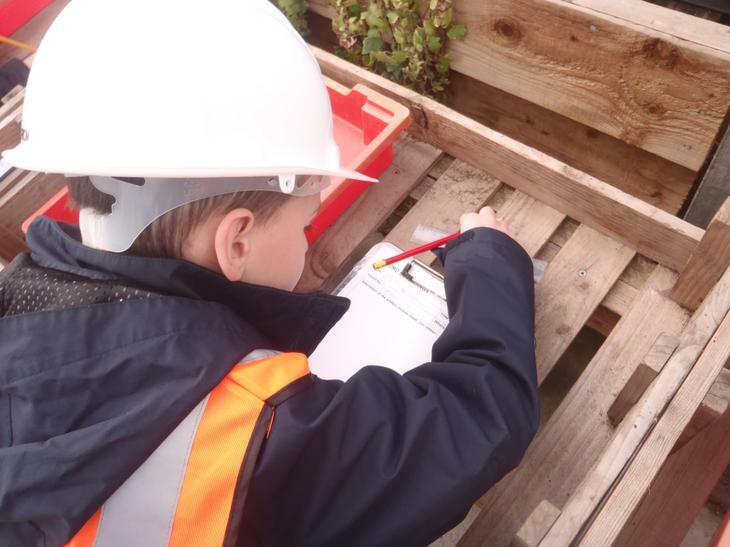 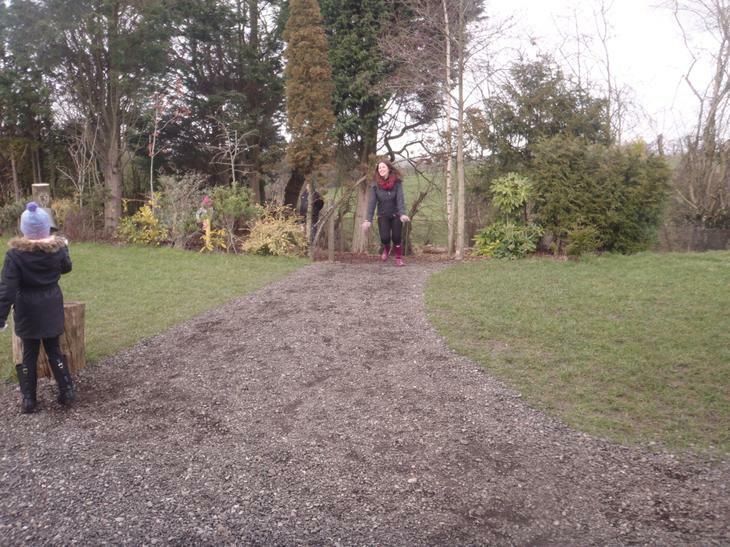 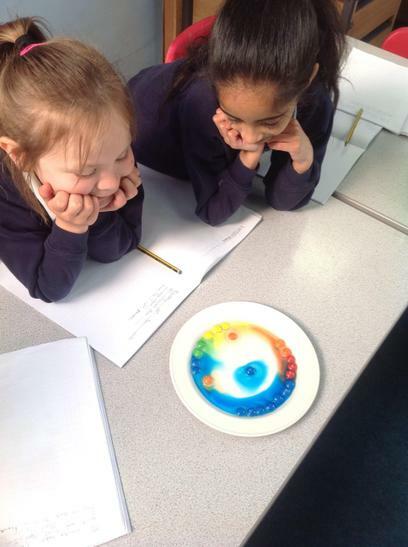 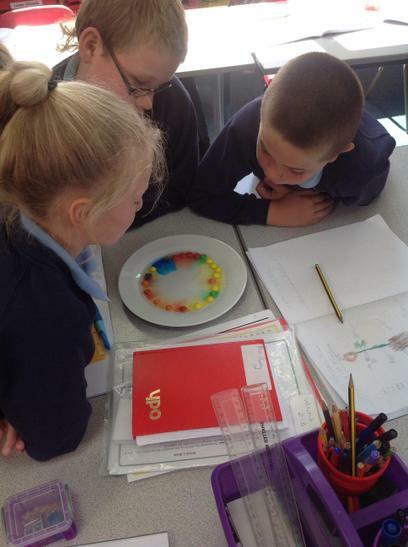 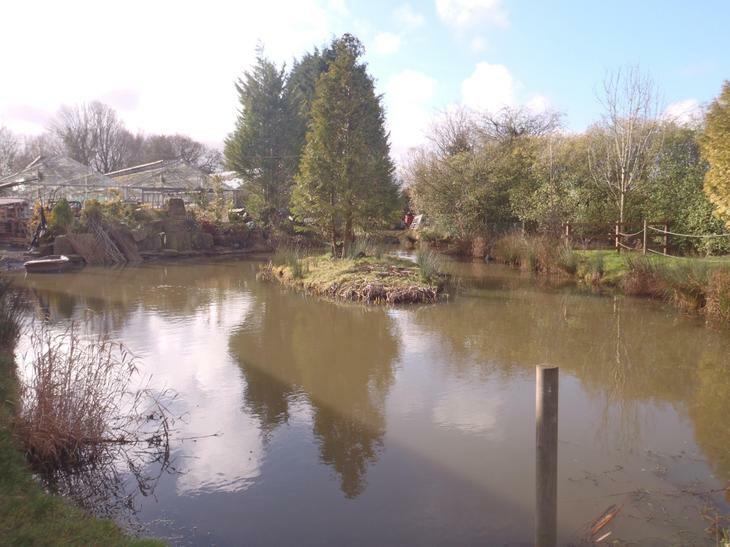 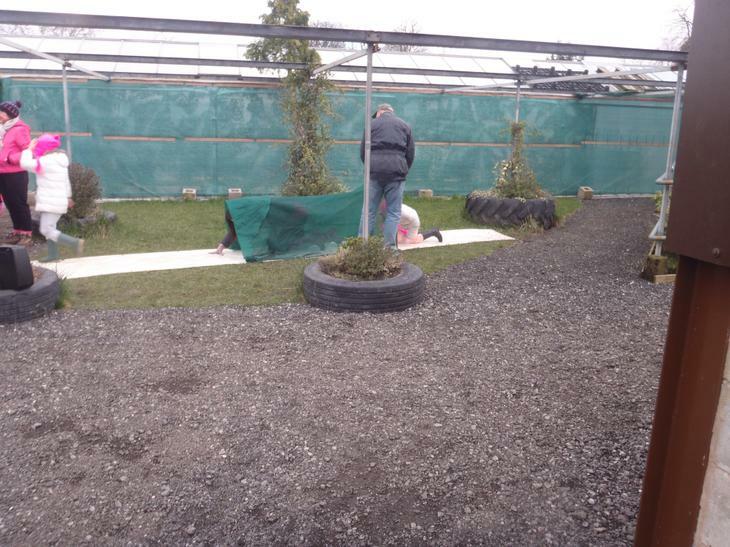 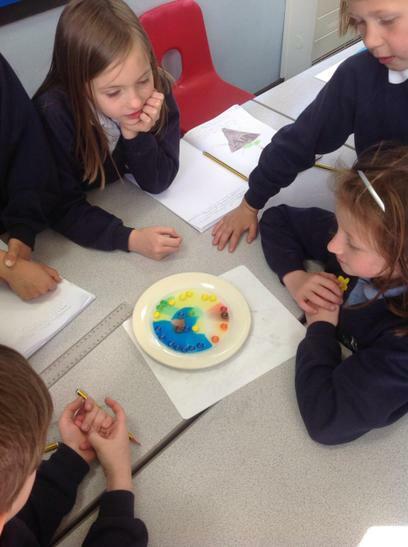 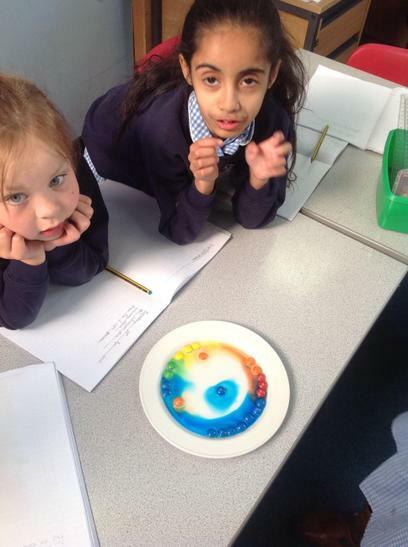 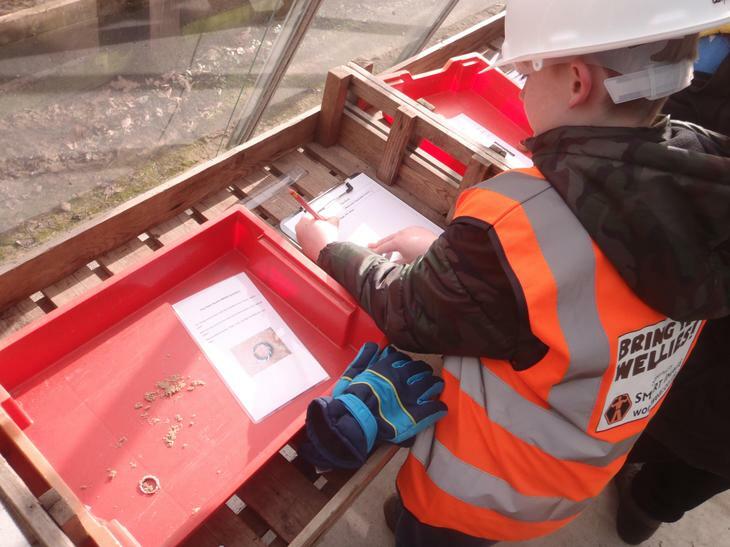 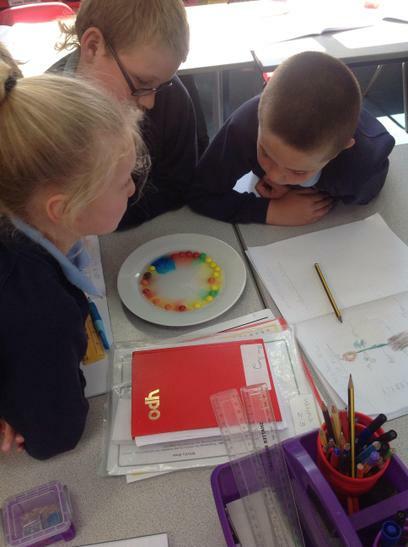 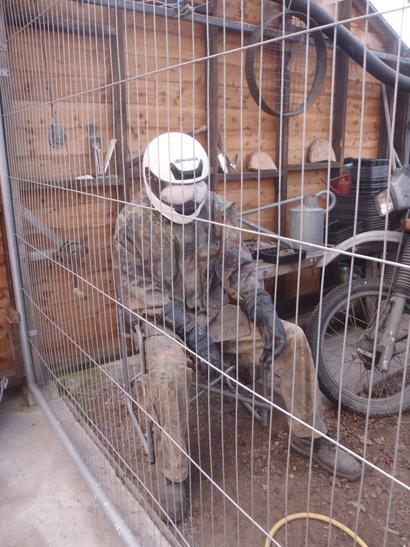 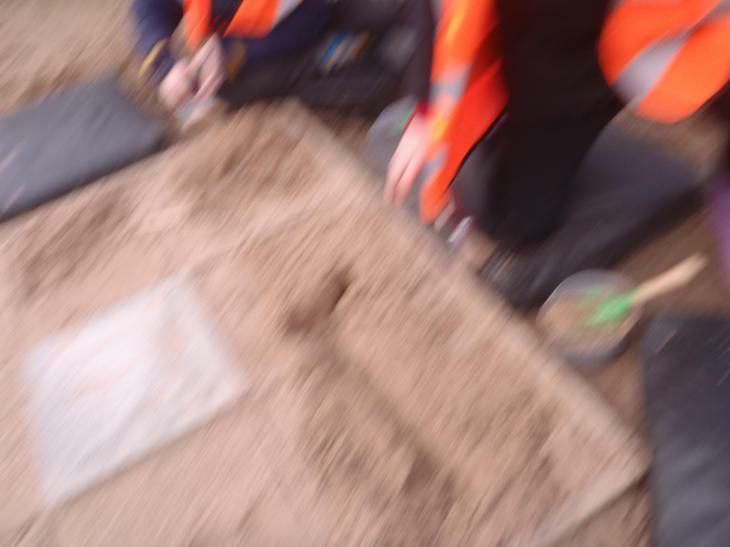 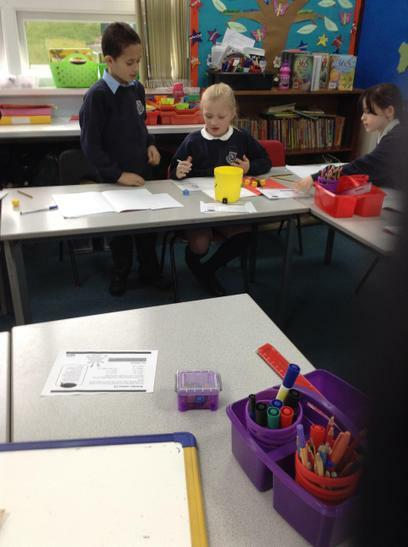 Here are some pictures from our experiments so far. 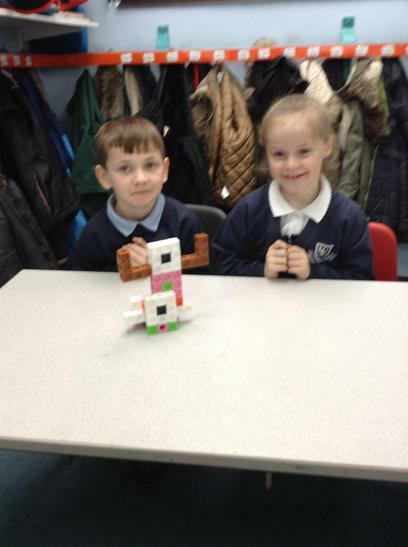 Ask us about how they work and how we have done them! 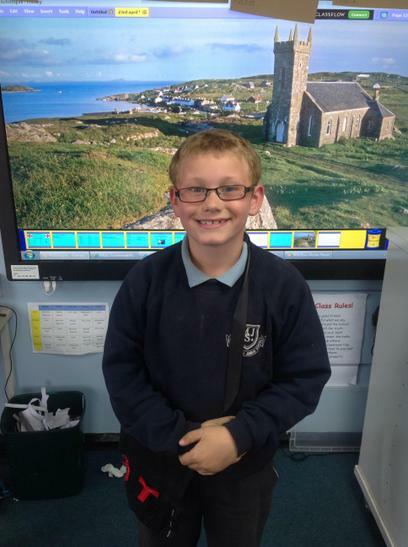 Angel was our scientist of the week! 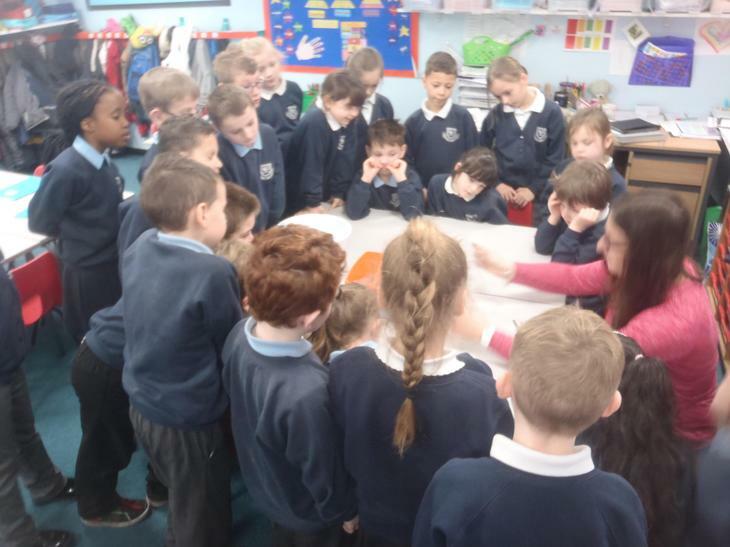 We made a lava lamp for our experiment! 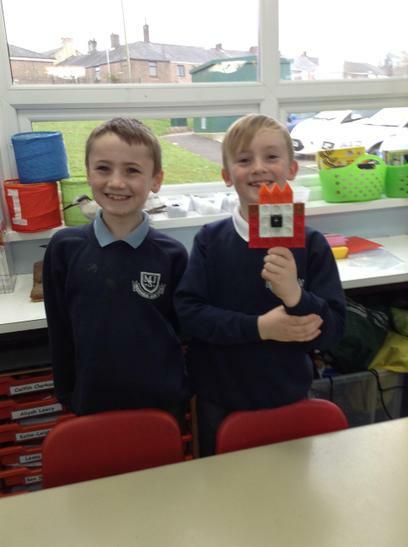 Ask us how it works! 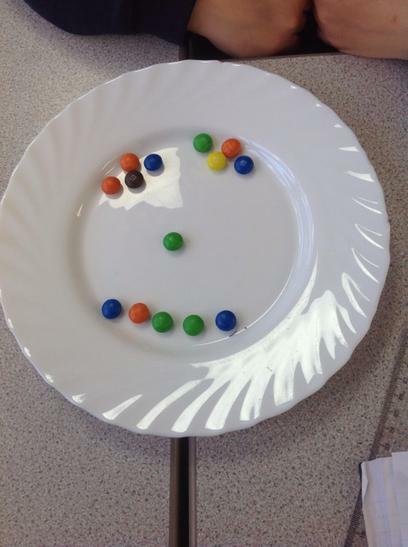 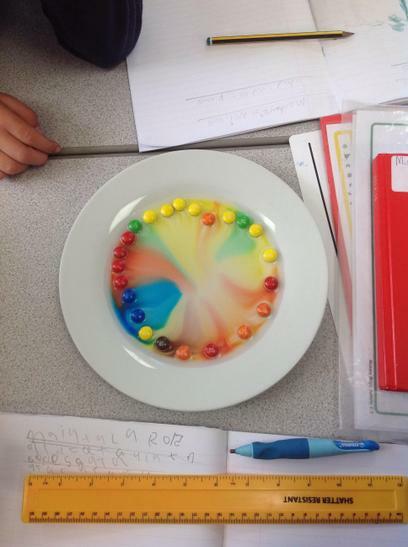 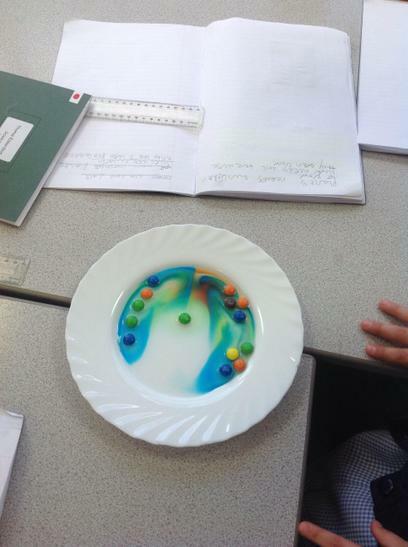 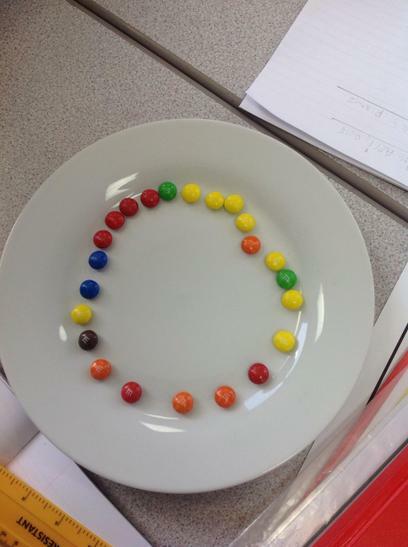 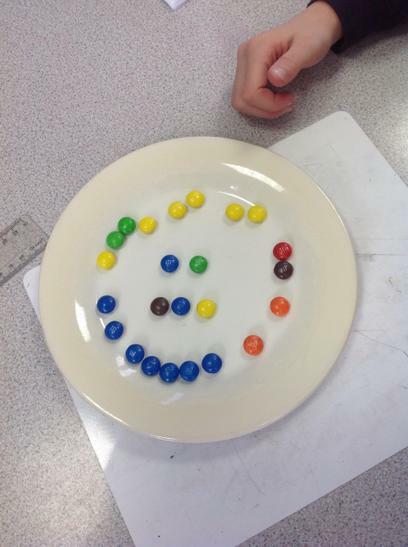 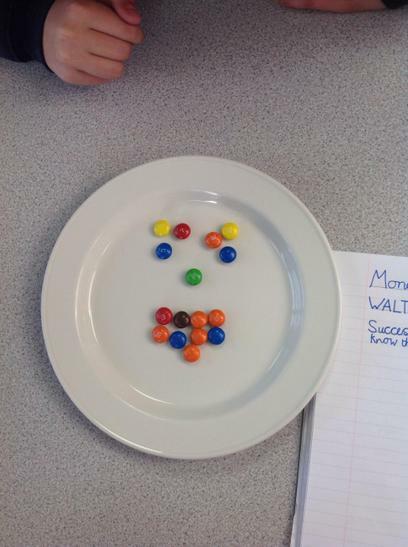 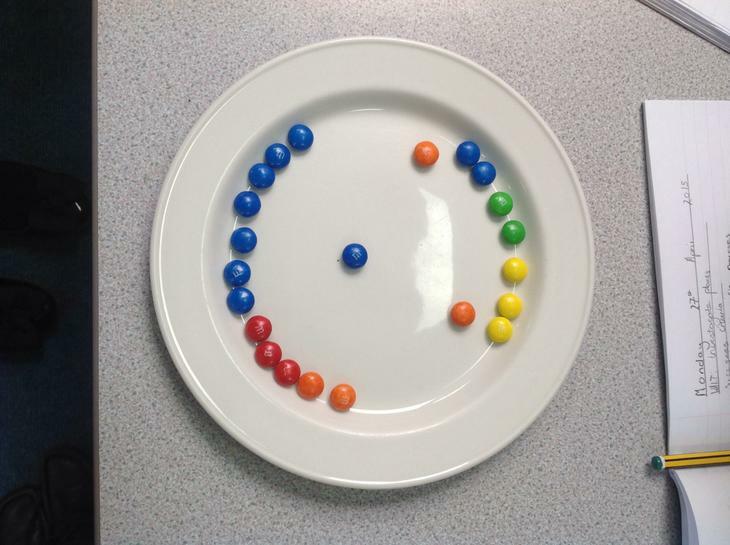 These pictures are from our m and m experiment! 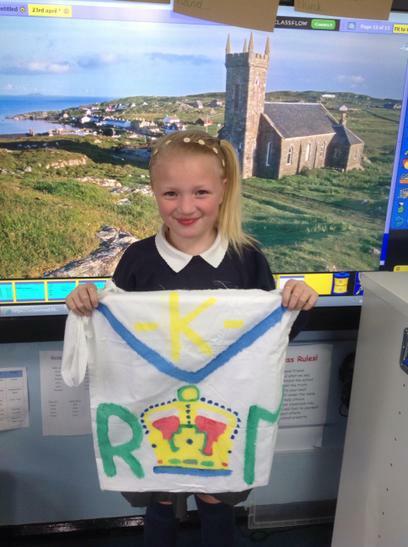 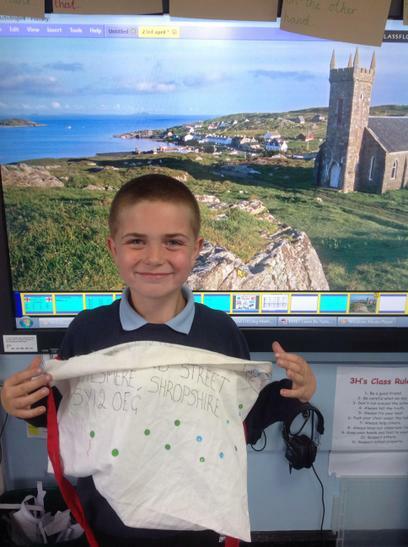 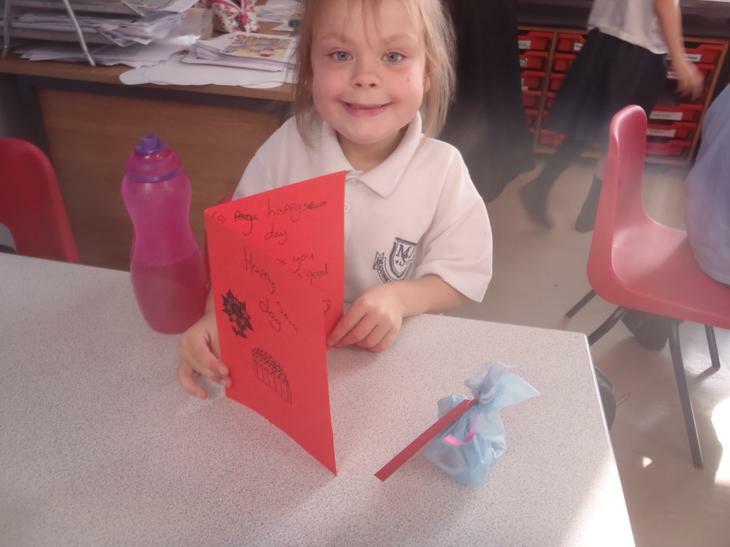 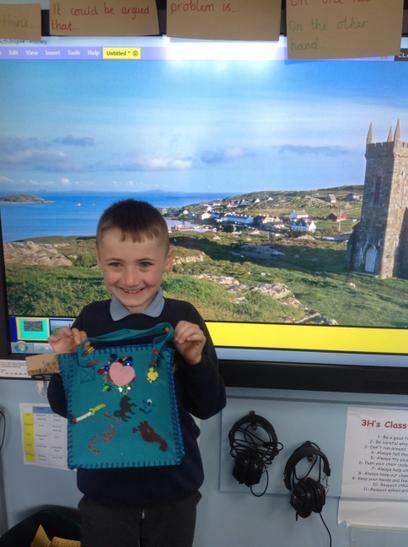 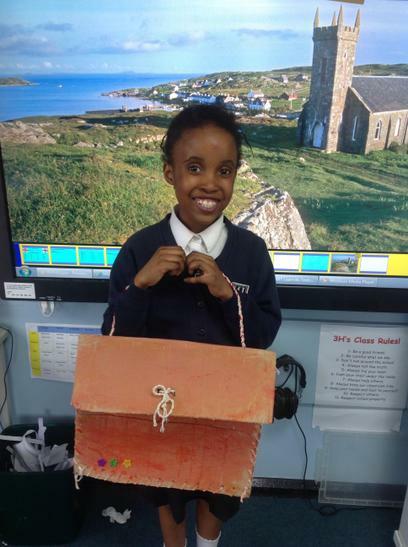 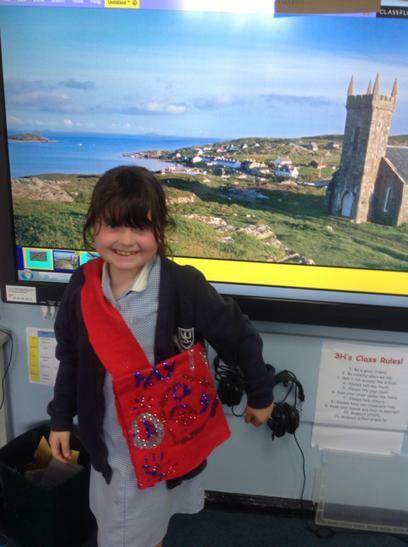 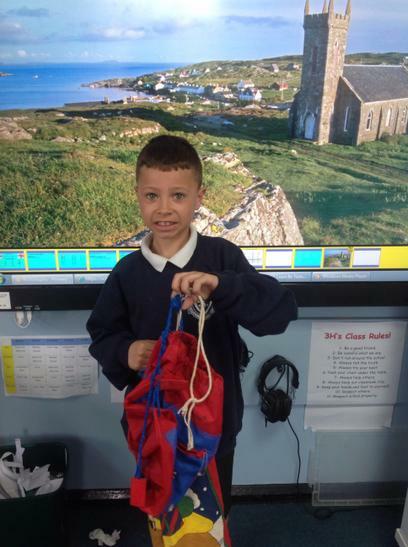 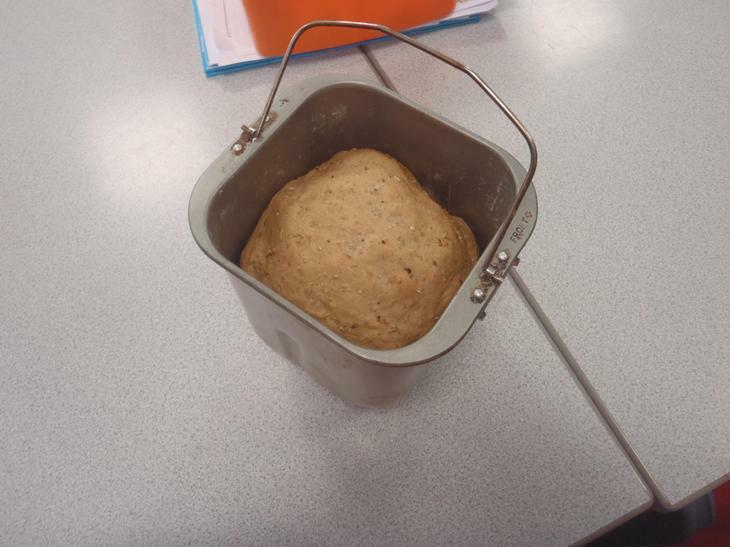 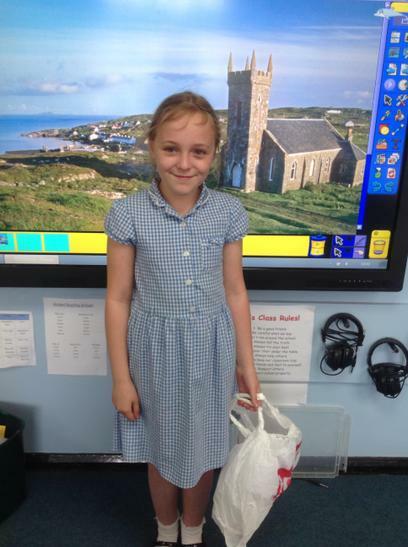 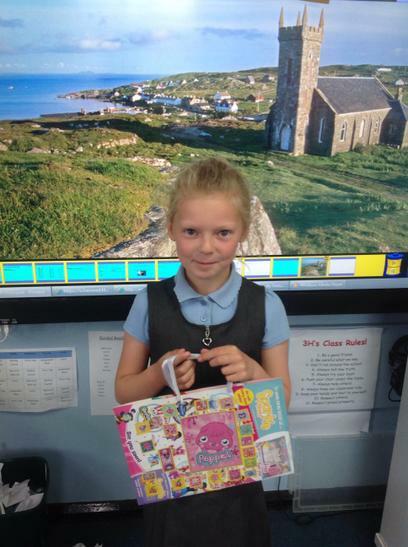 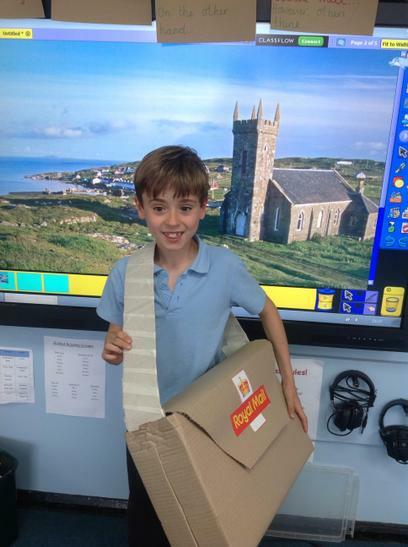 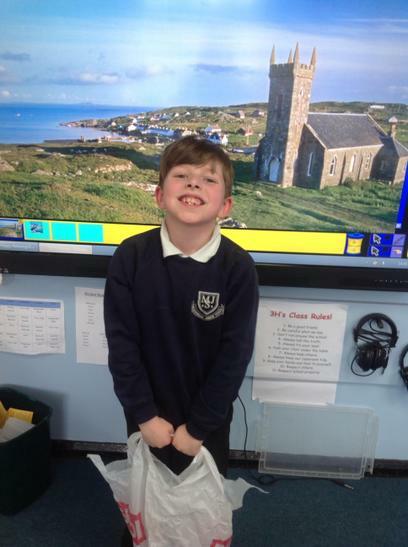 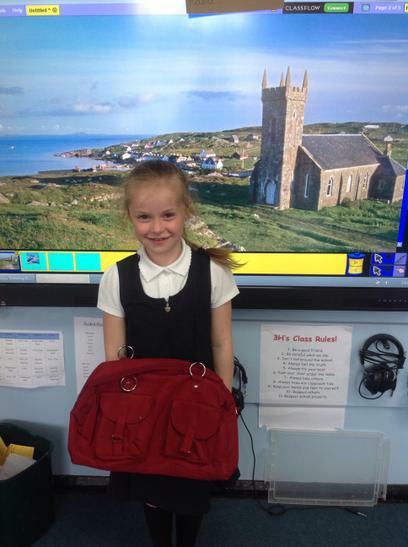 For our homework we had to make a bag that Katie Morag could carry her post in! 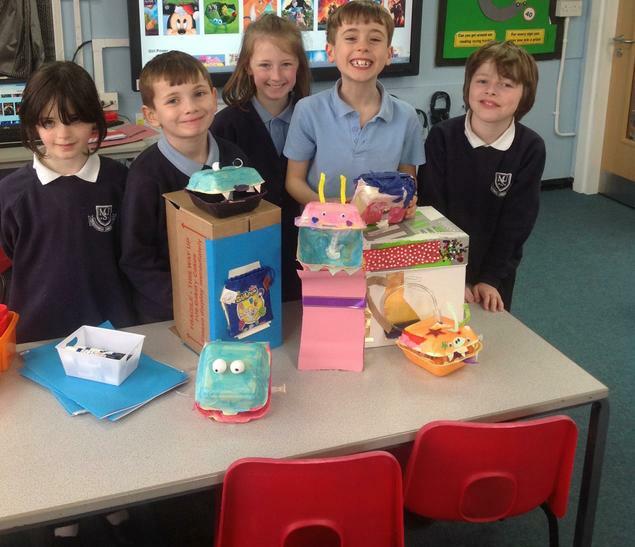 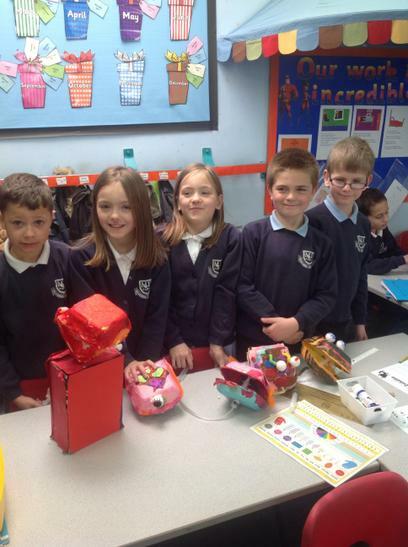 Here are our creations! 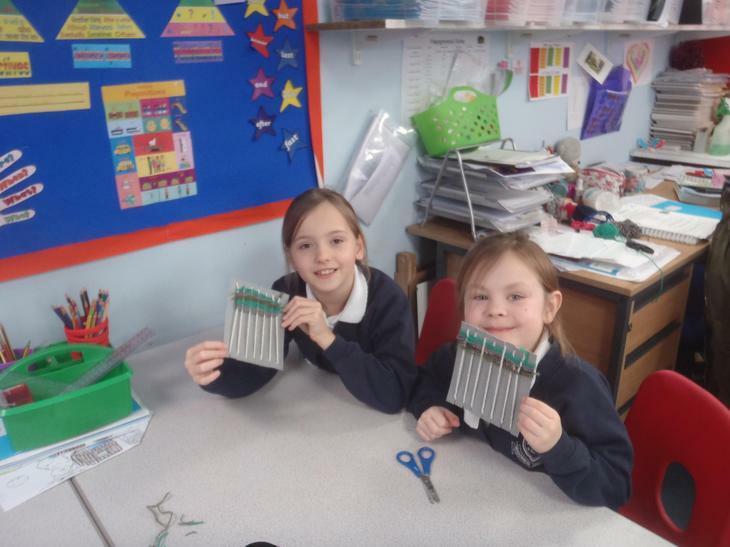 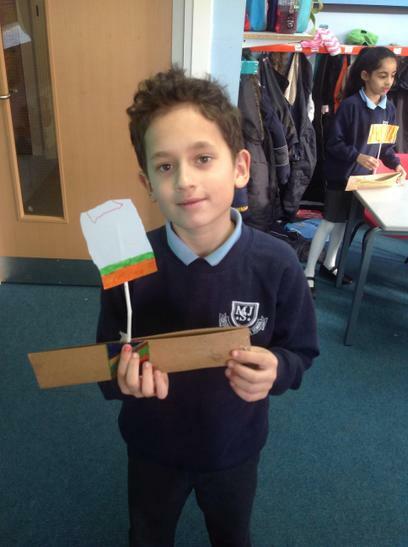 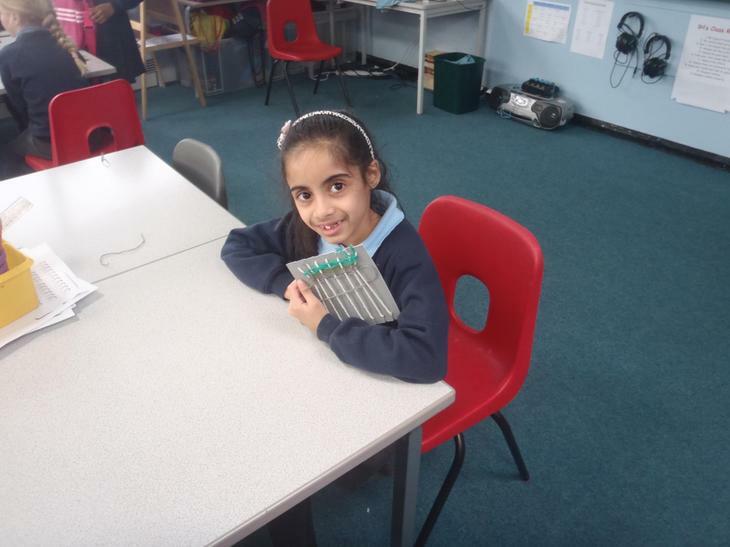 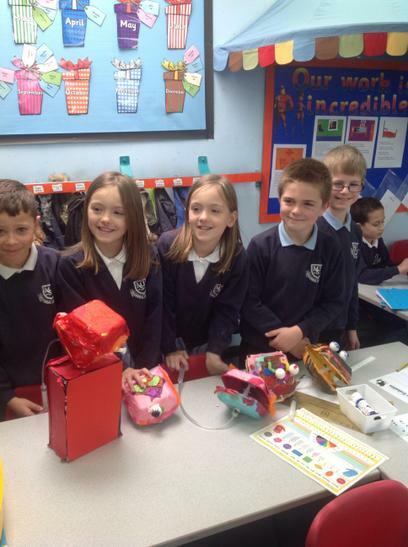 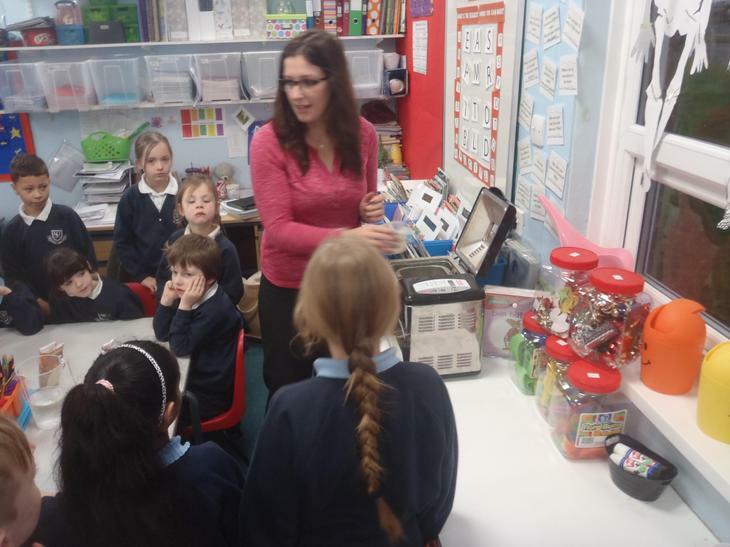 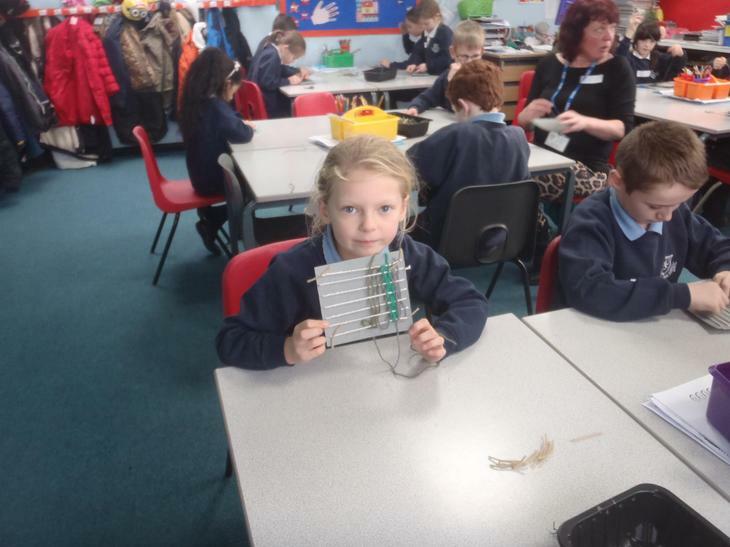 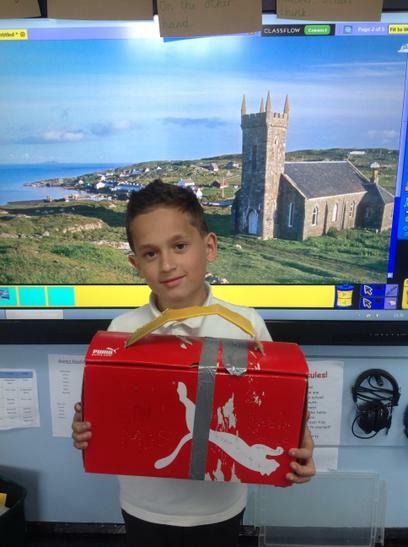 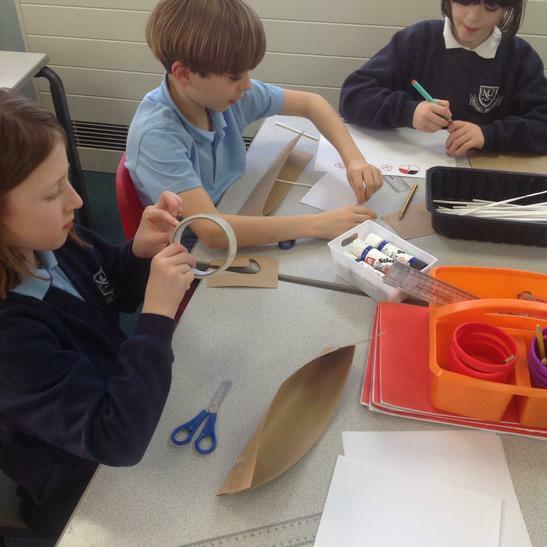 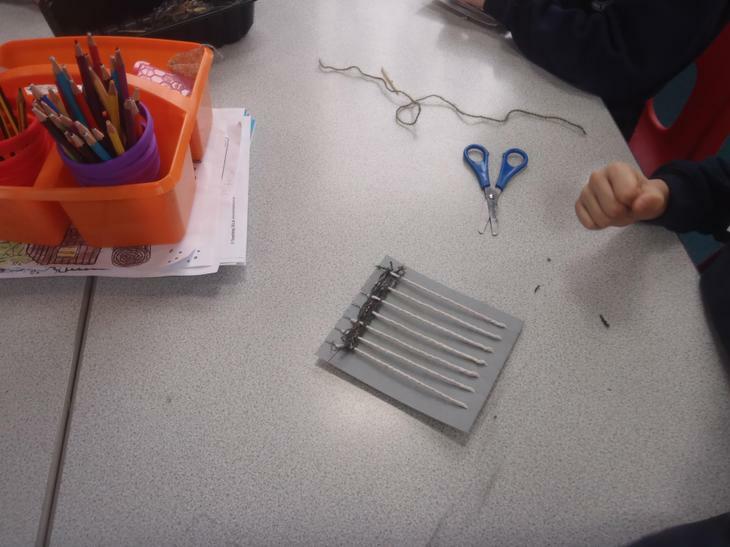 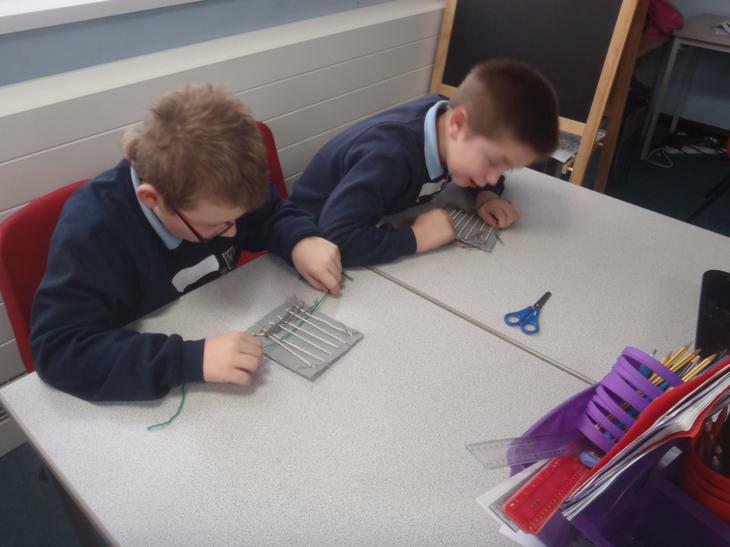 In design technology we have been experimenting with pneumatics. 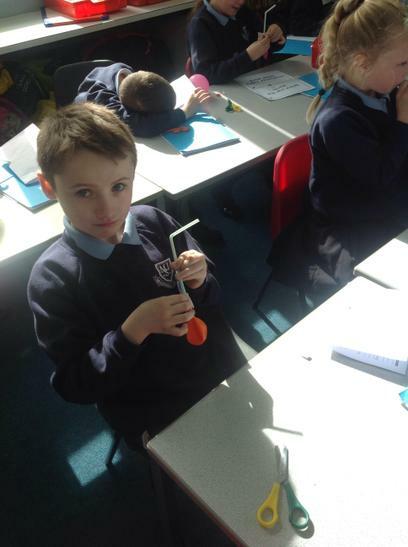 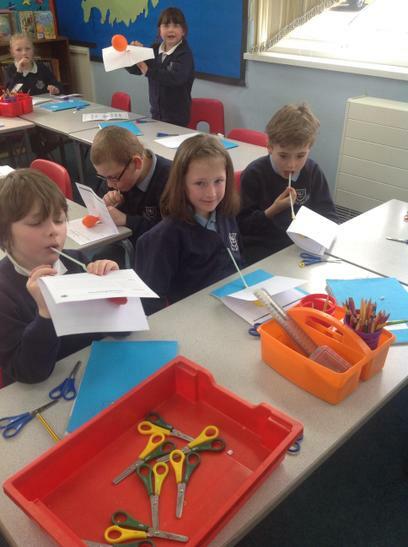 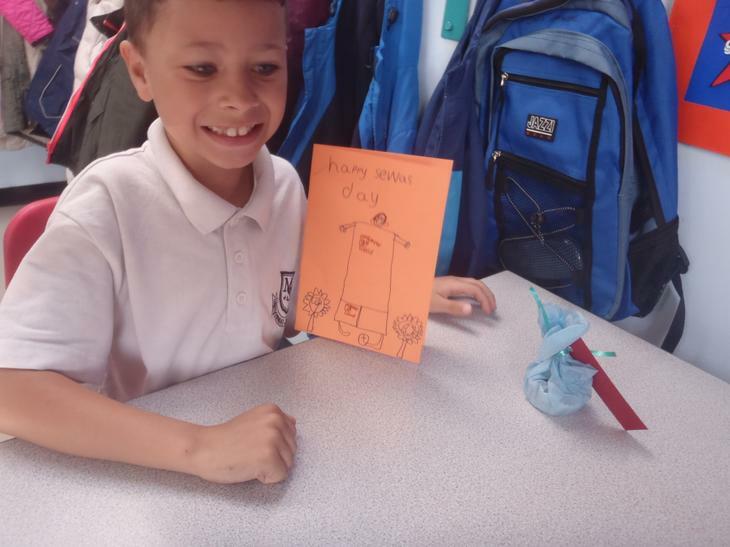 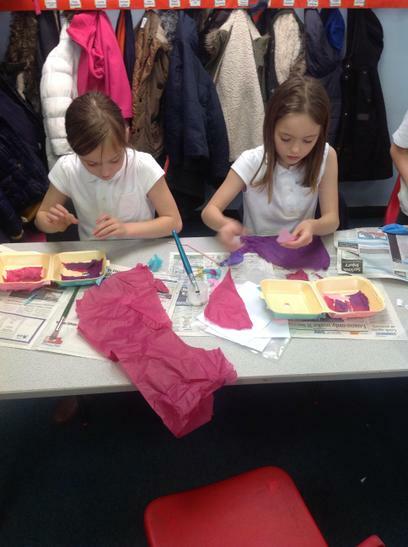 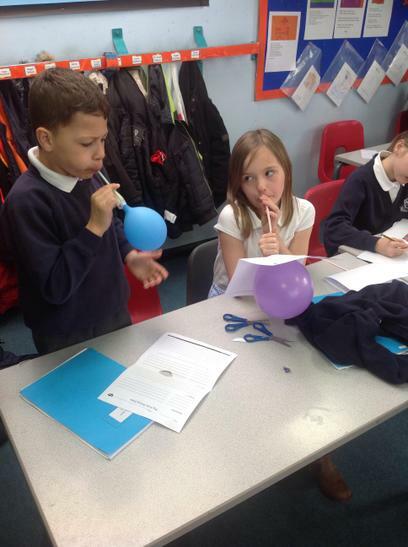 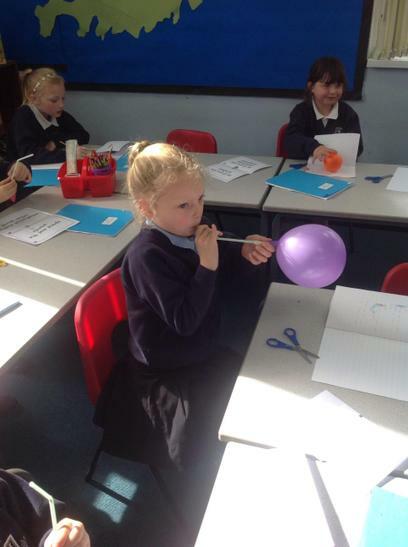 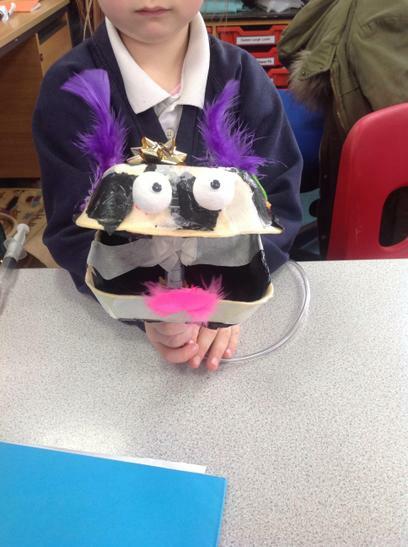 We have made moving monsters using a syringe or a balloon to make the mouth move! 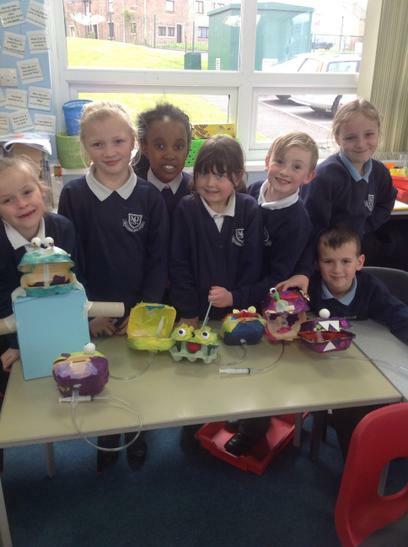 Ask us about how we have used air pressure to create our monsters. 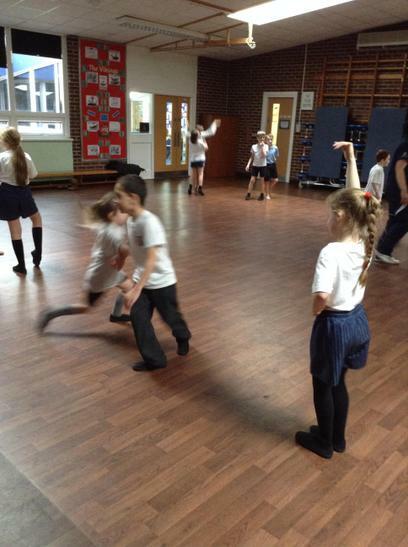 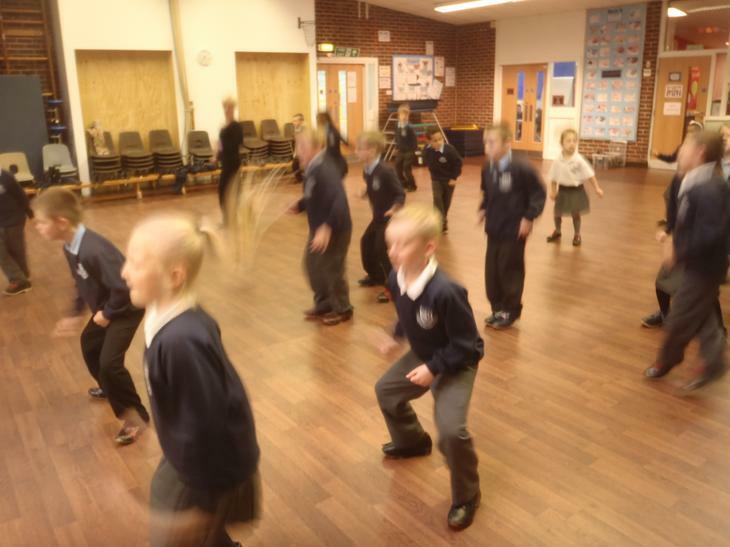 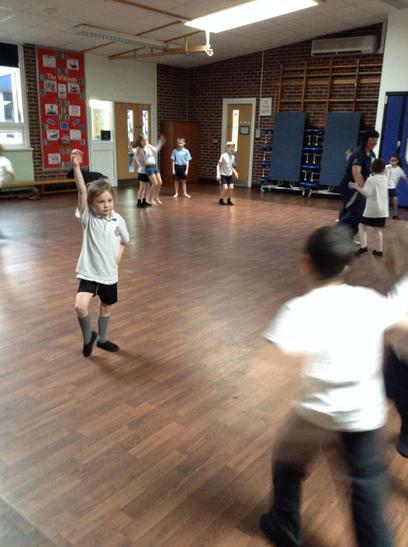 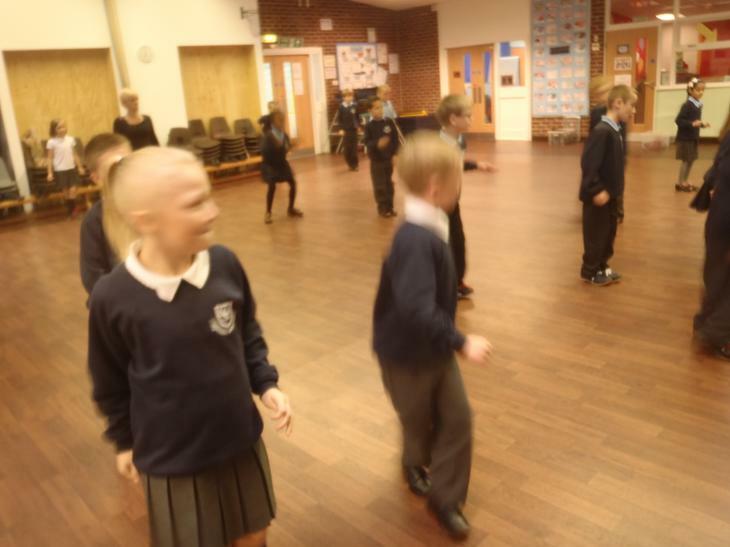 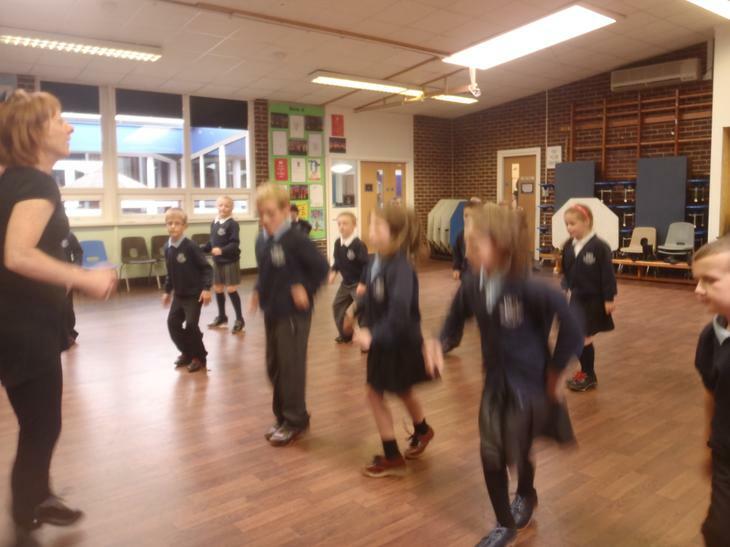 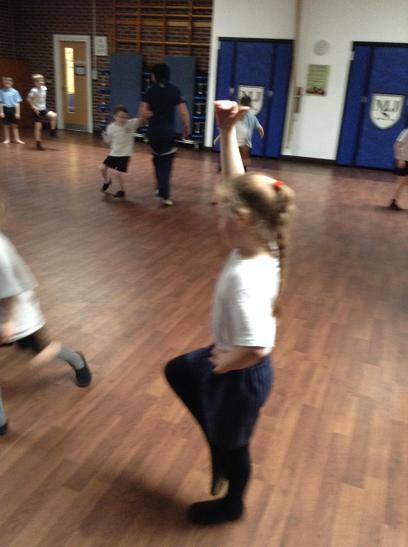 In PE we have been learning about Scottish dancing! 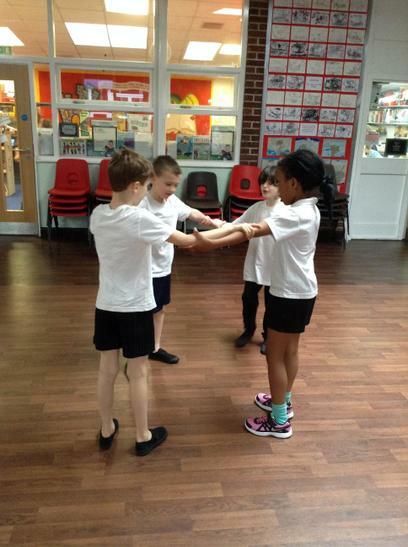 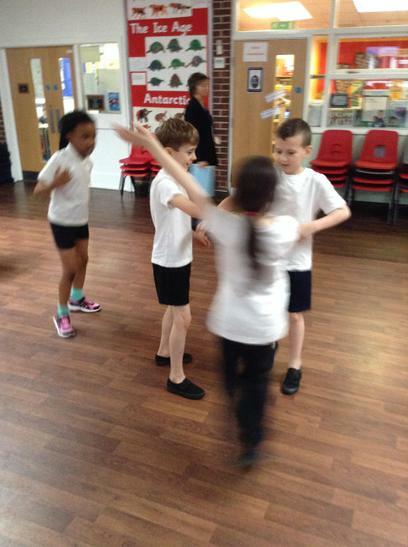 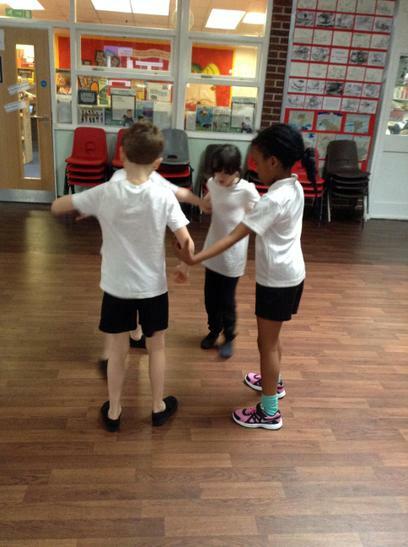 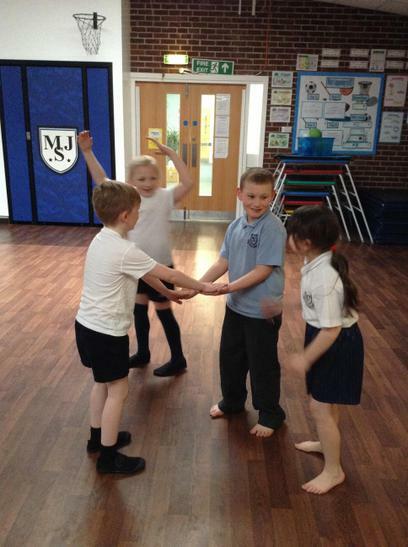 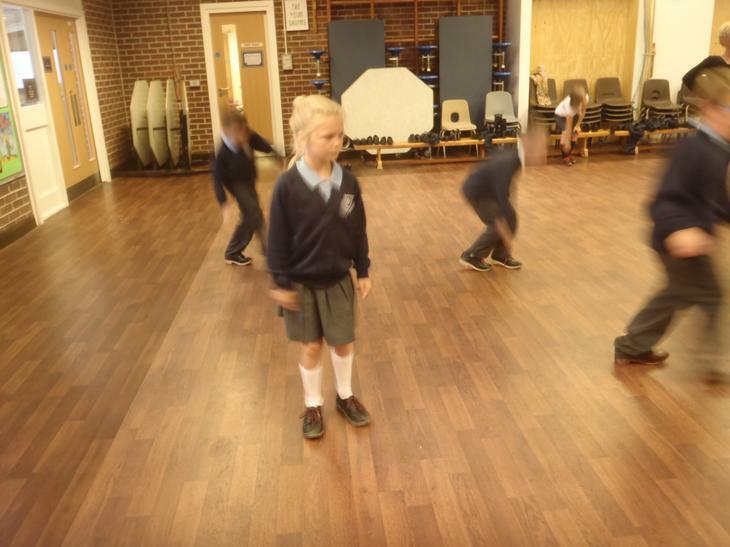 We are really enjoying making up our own dances in groups. 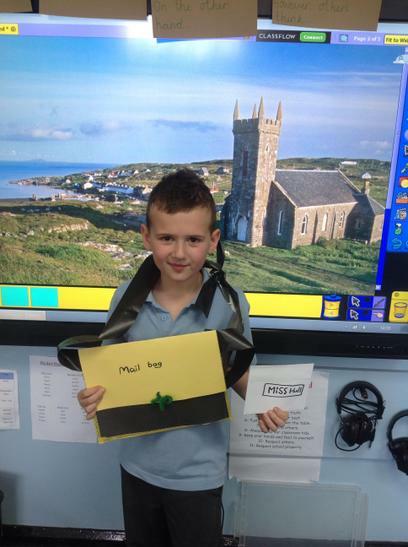 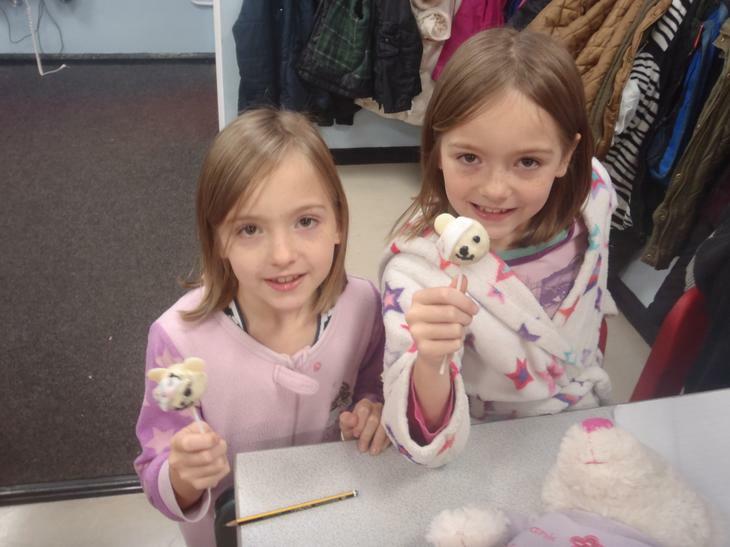 Thank you to all of the adults that came to our open evening! 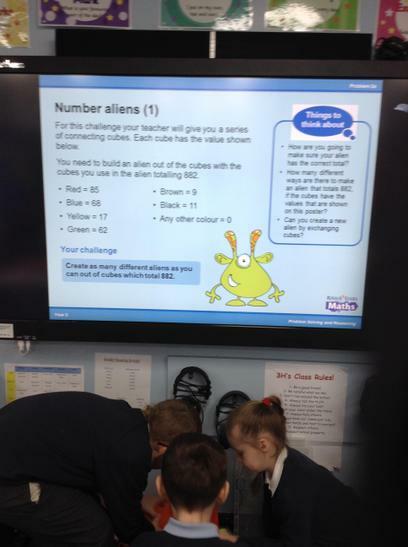 We had lots of fun making our own aliens and problem solving at the same time! 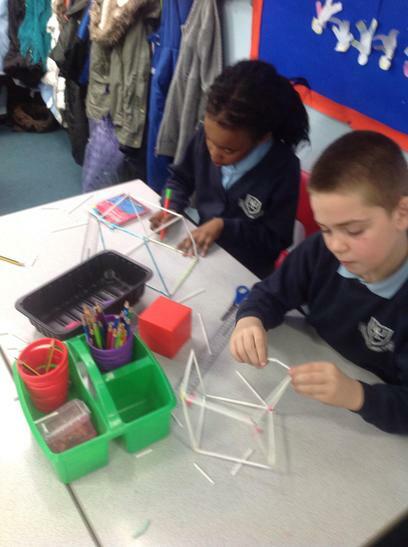 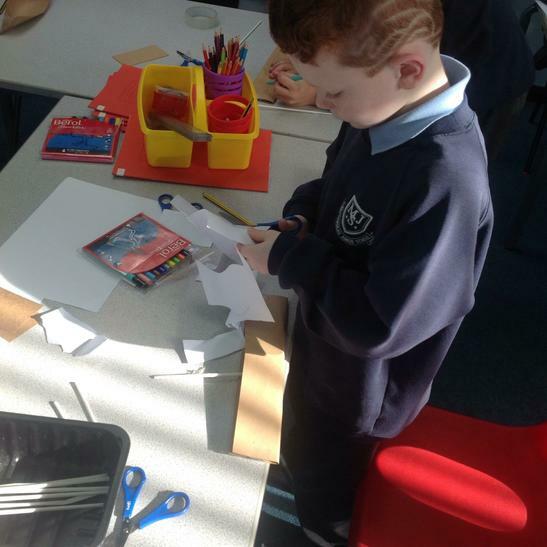 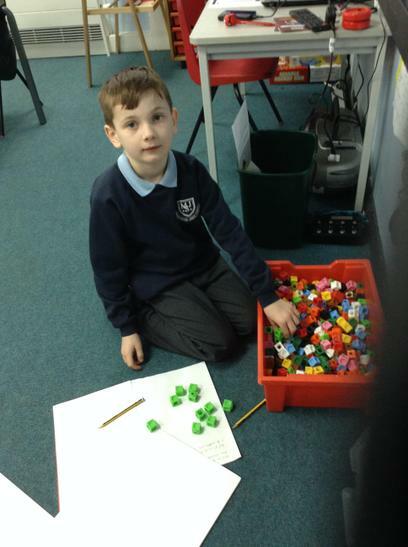 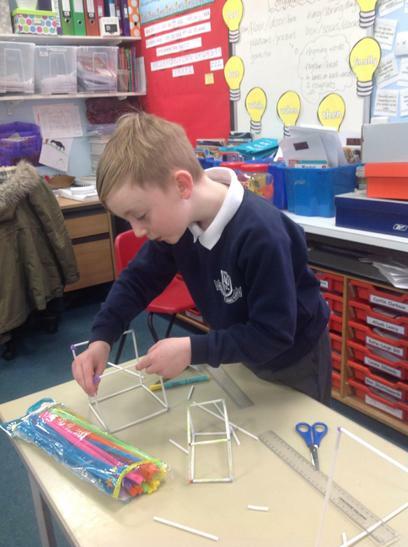 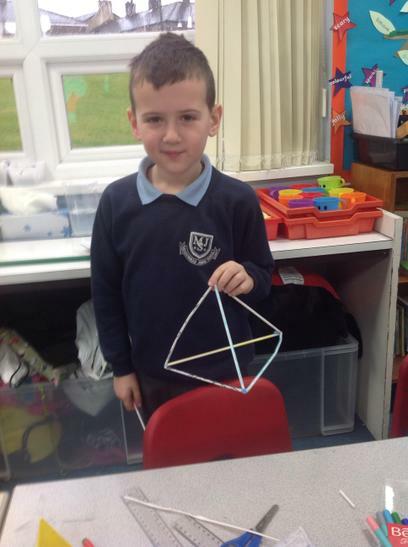 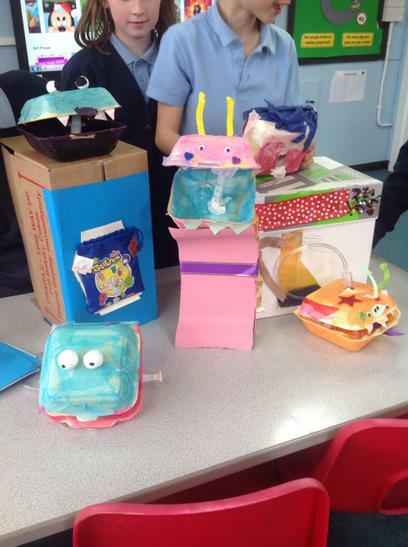 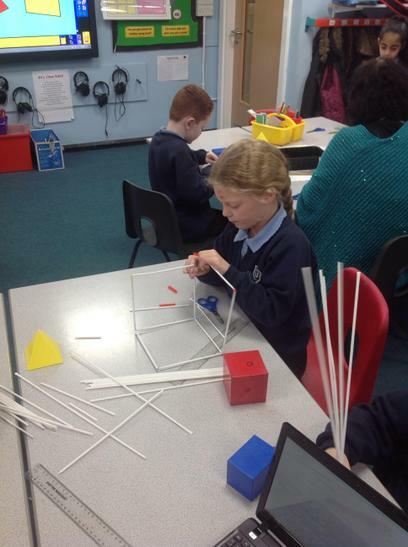 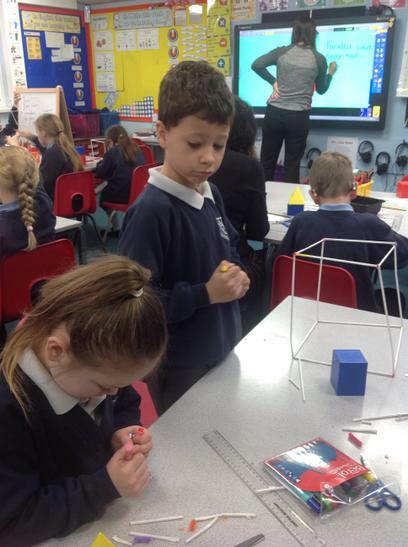 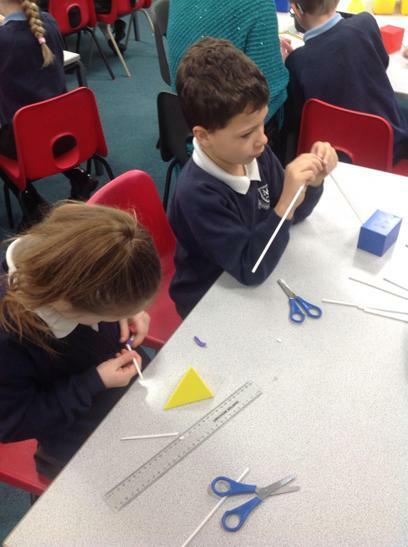 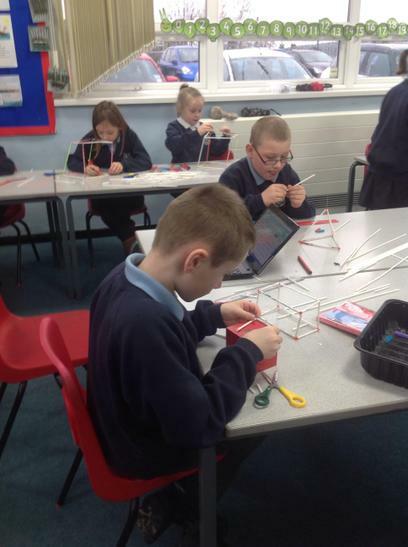 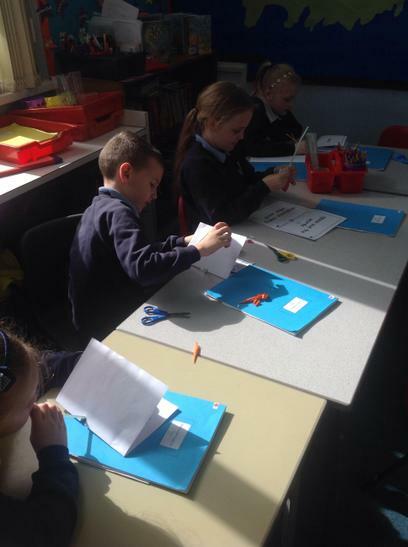 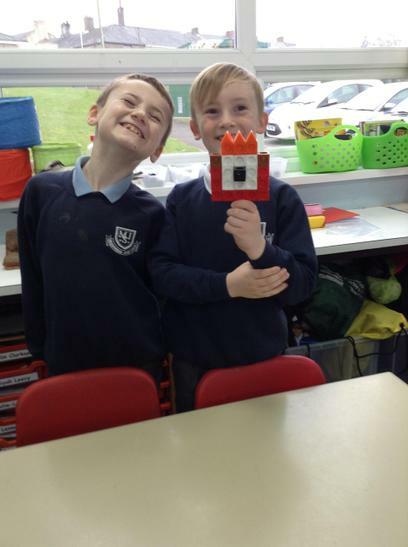 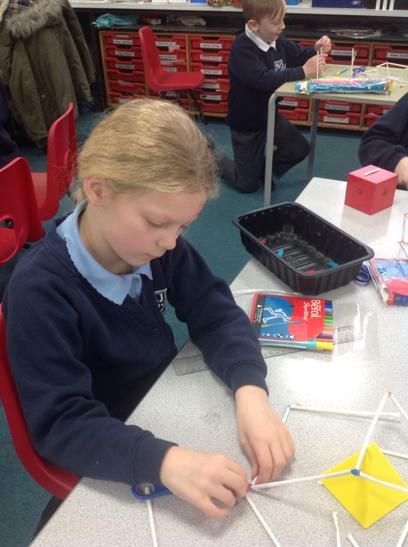 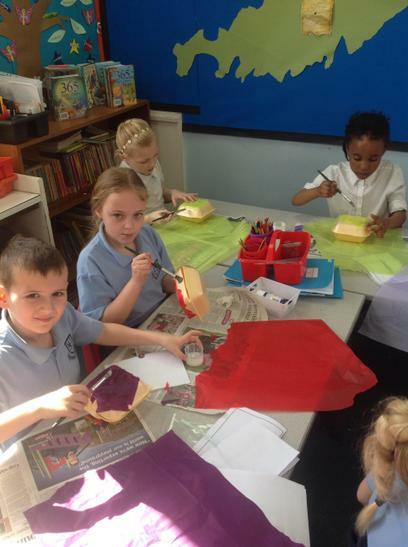 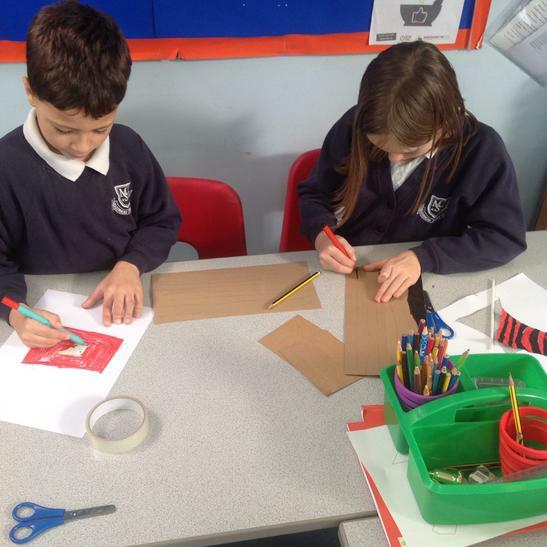 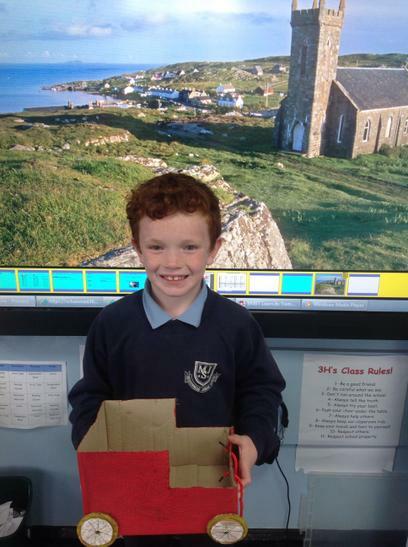 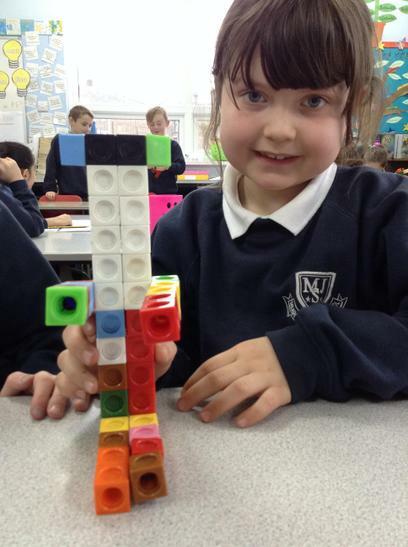 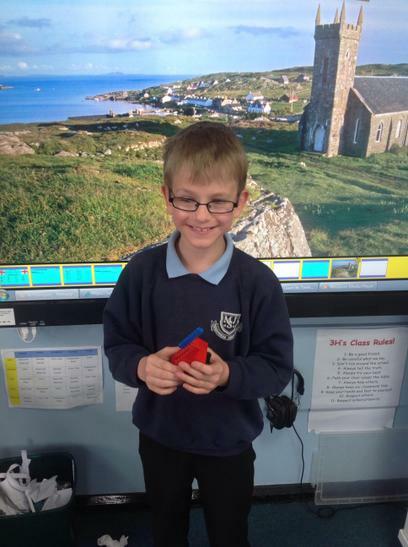 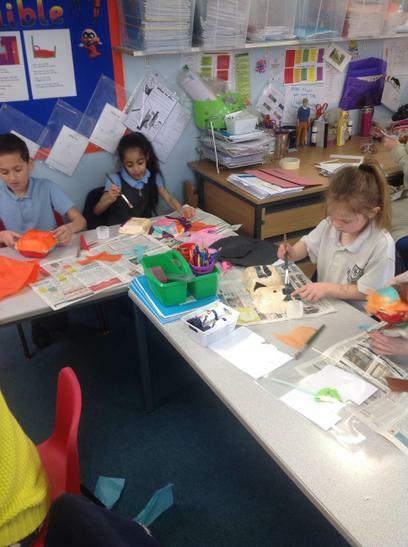 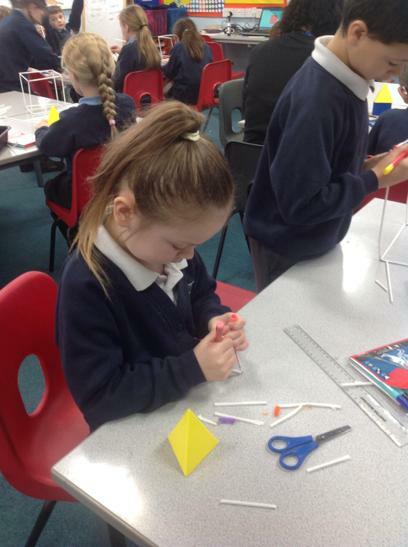 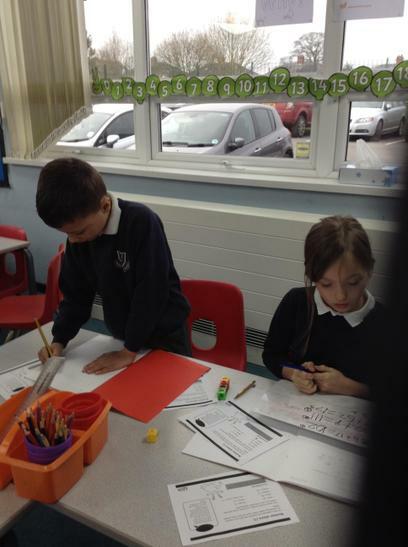 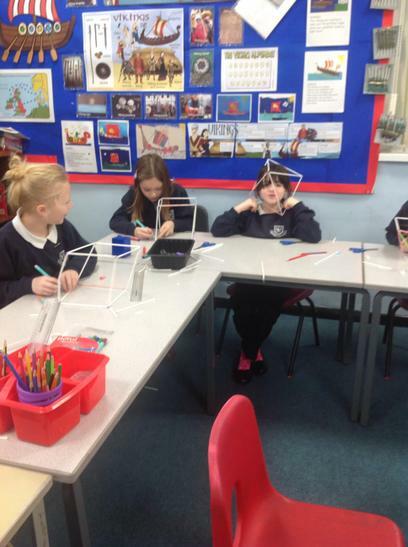 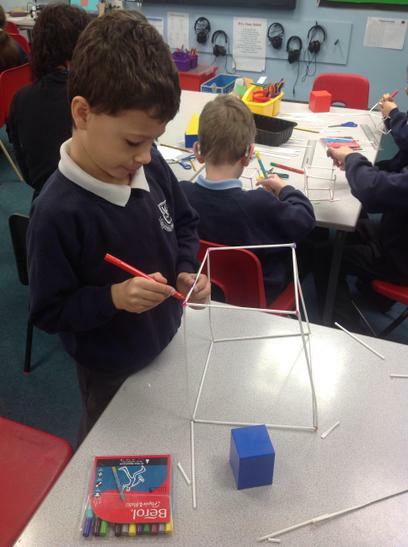 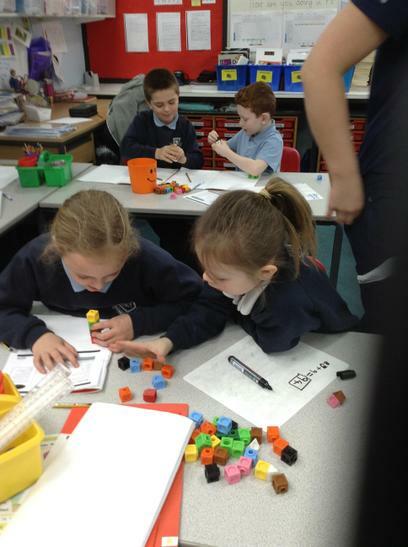 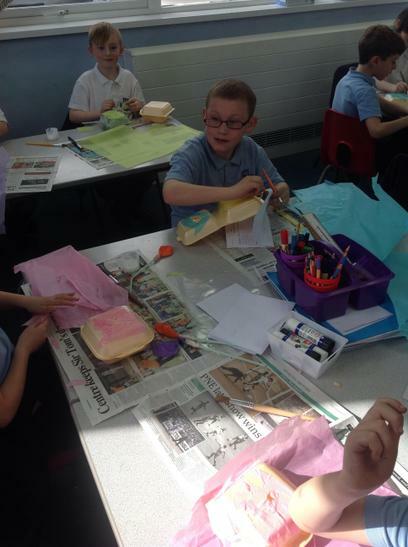 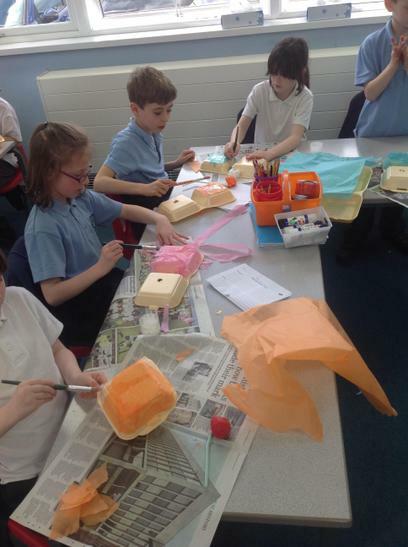 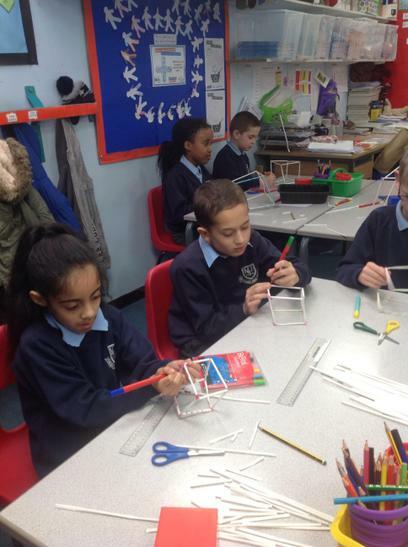 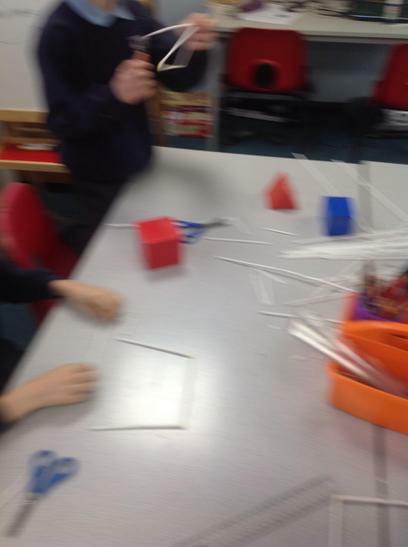 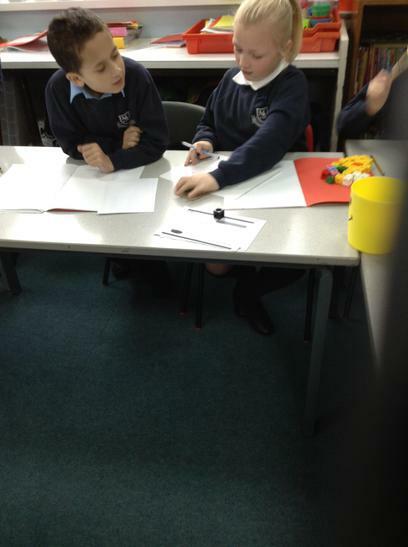 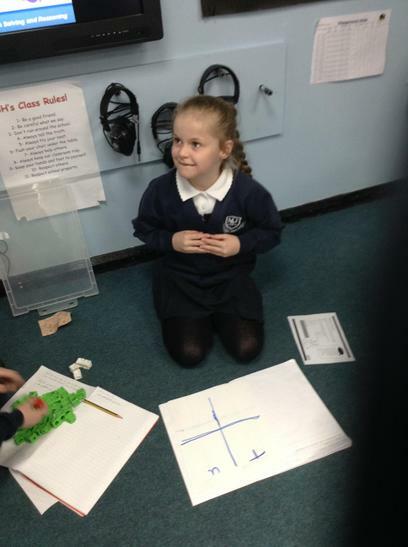 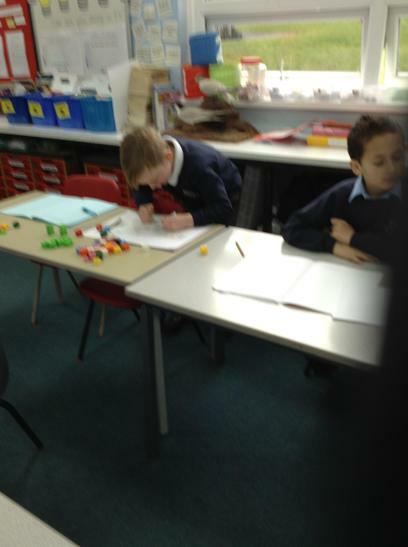 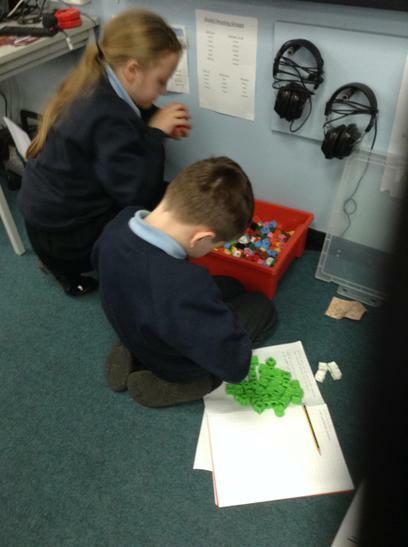 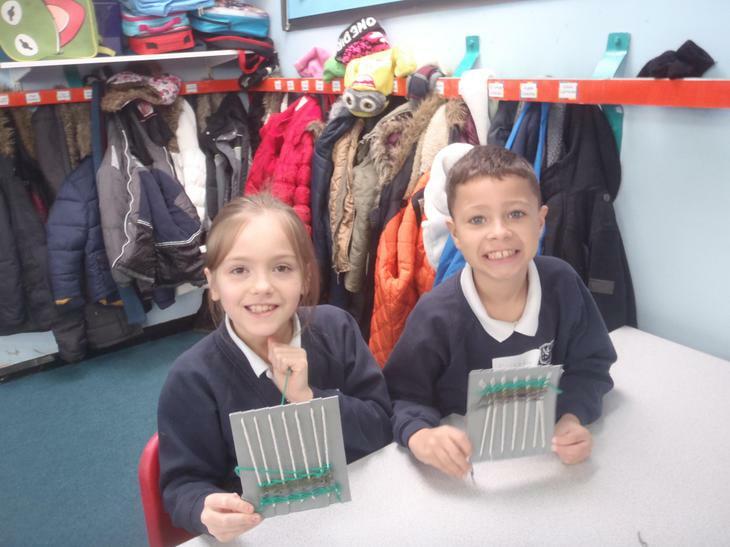 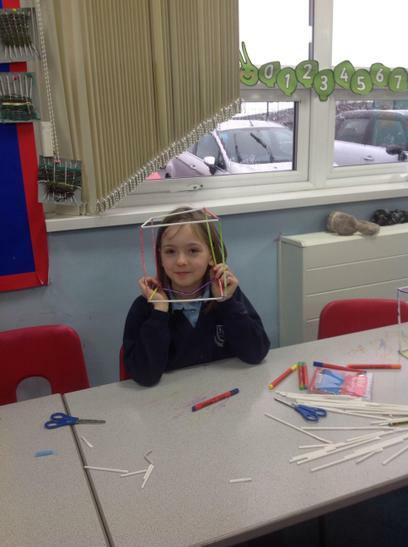 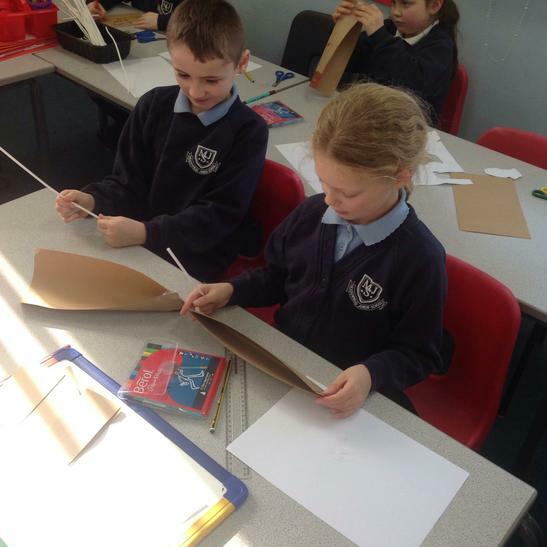 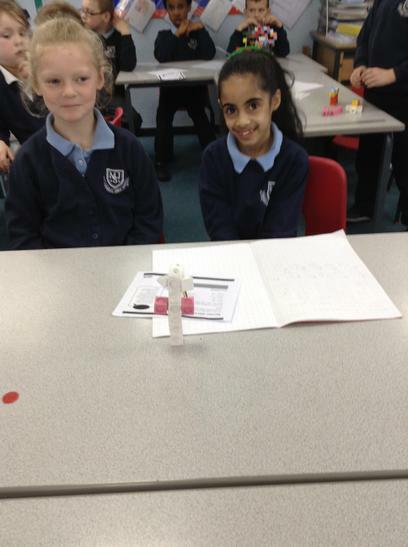 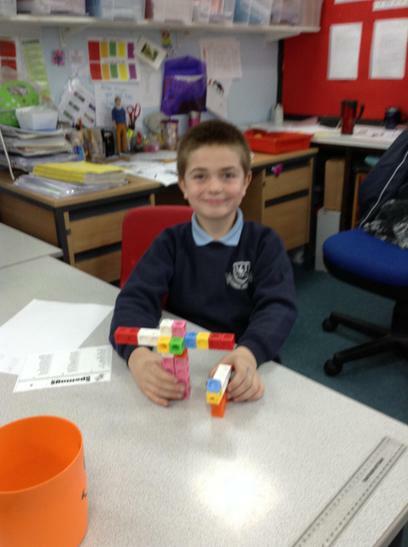 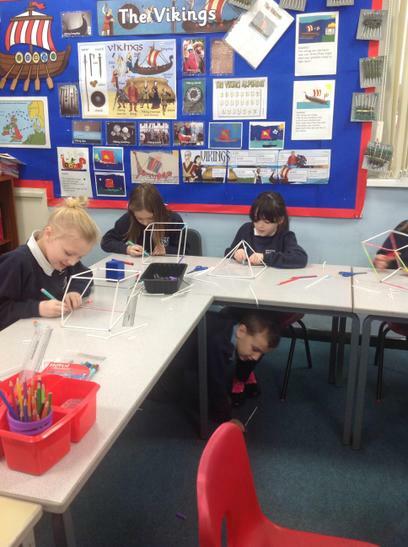 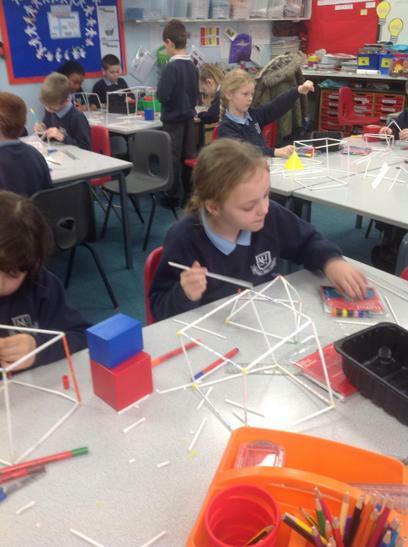 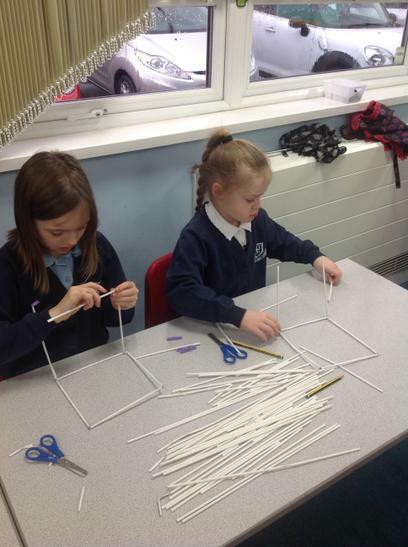 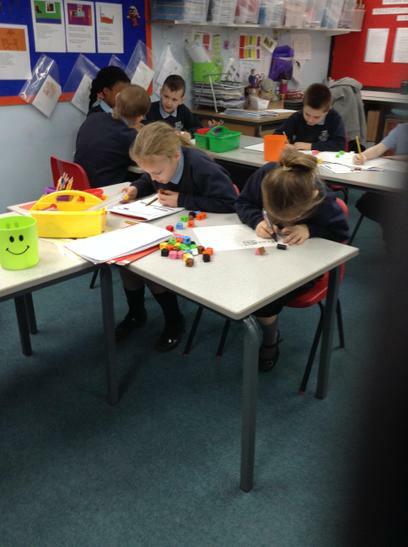 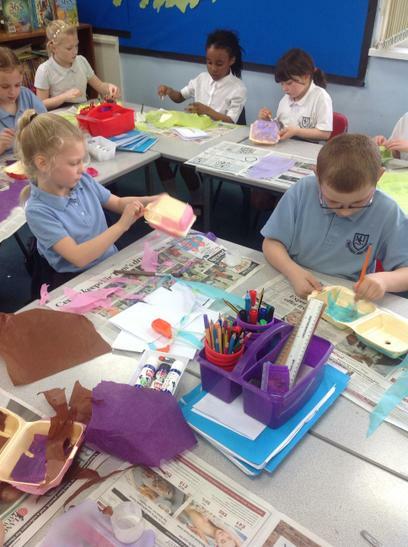 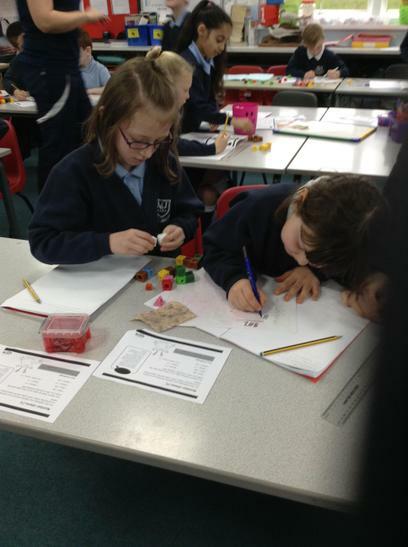 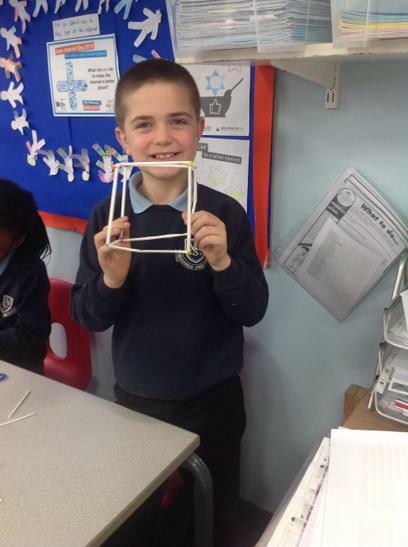 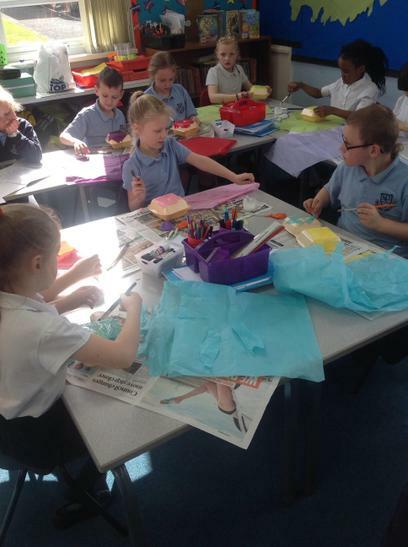 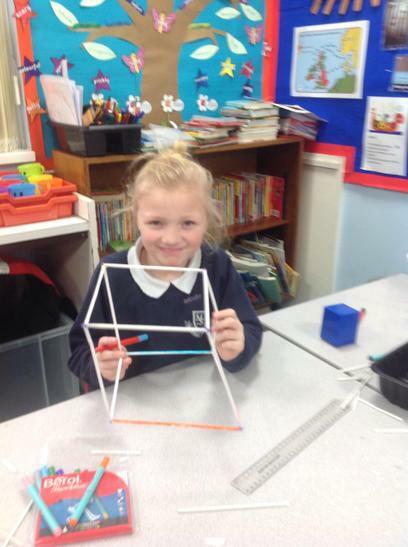 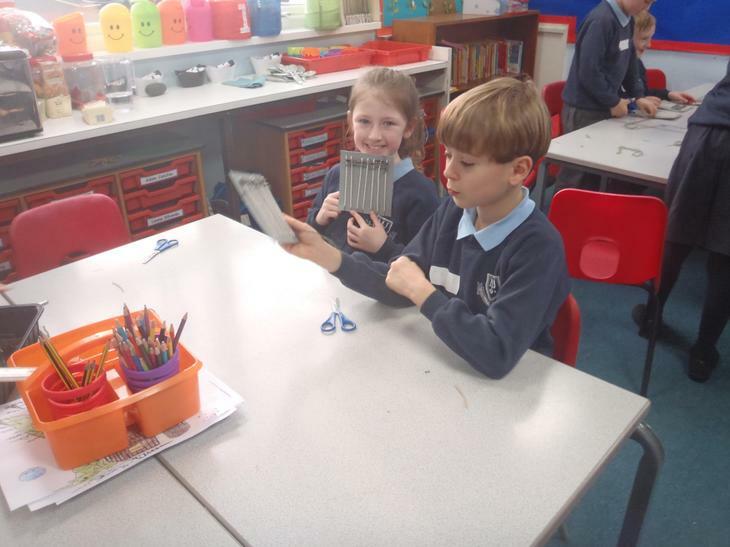 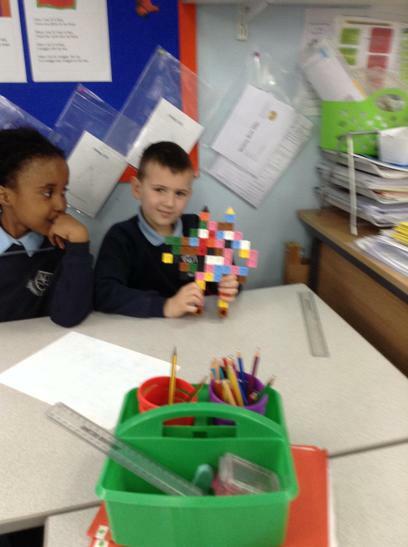 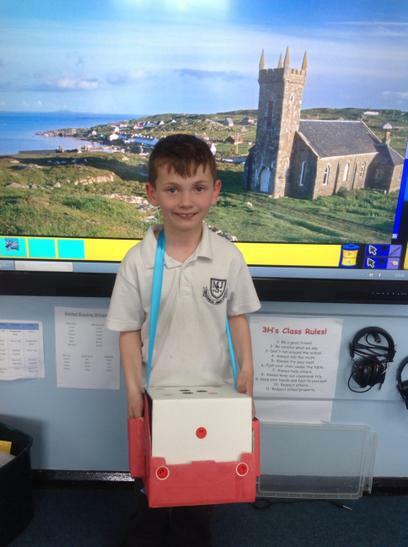 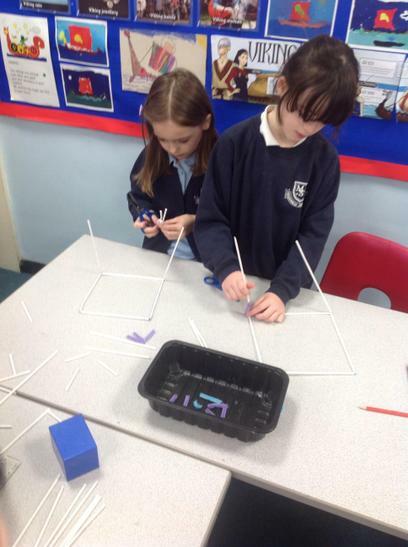 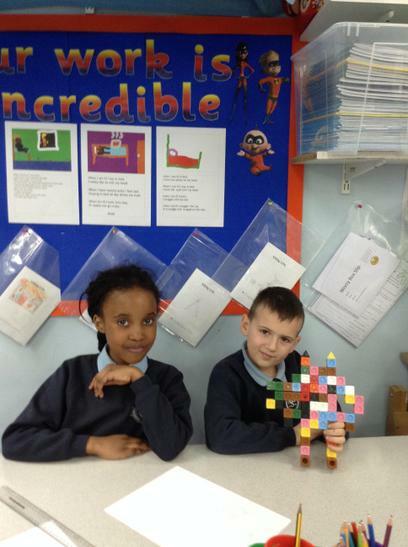 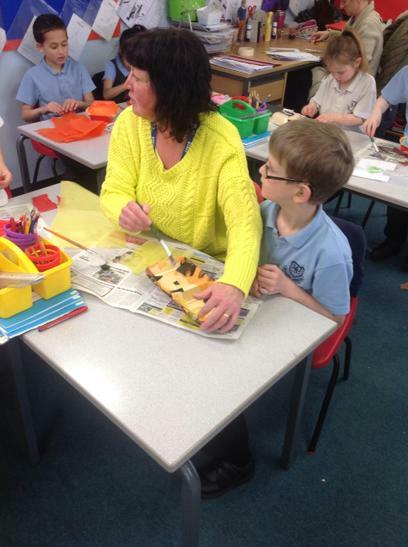 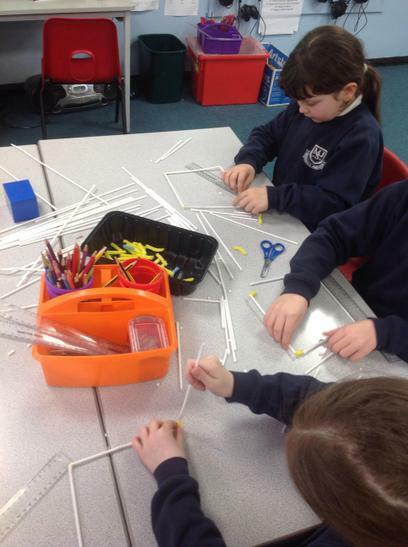 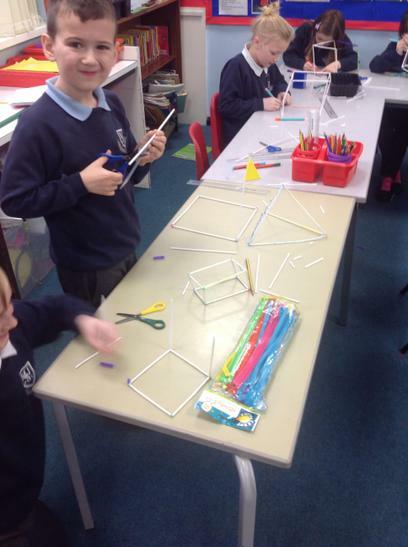 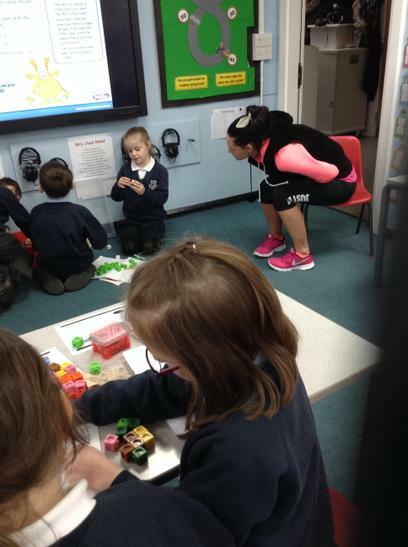 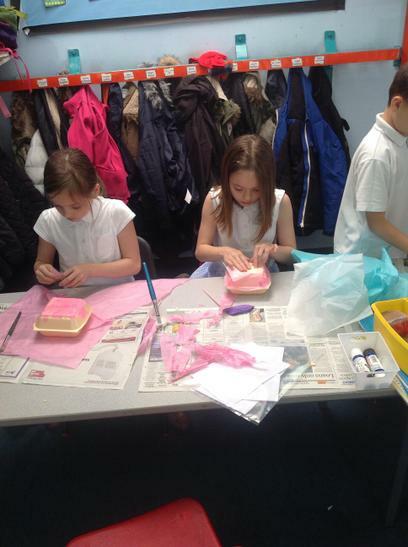 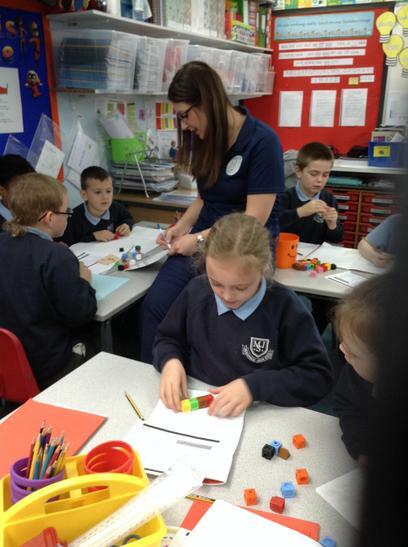 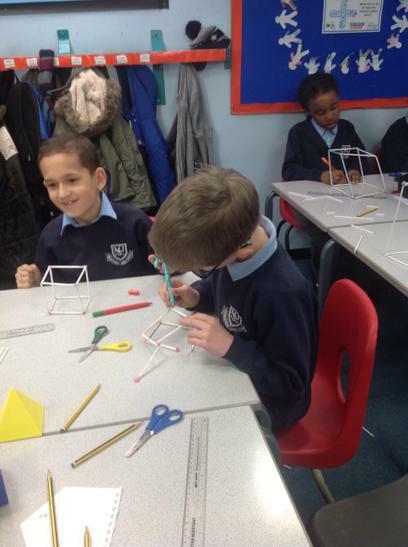 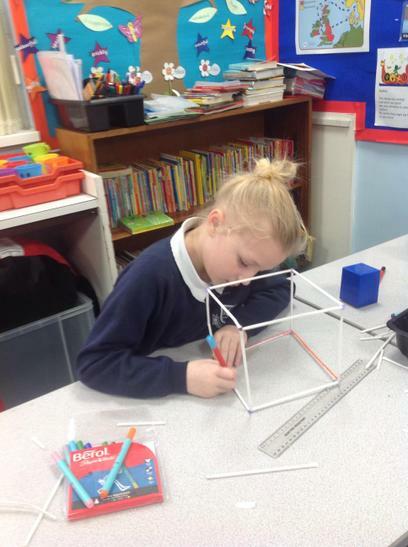 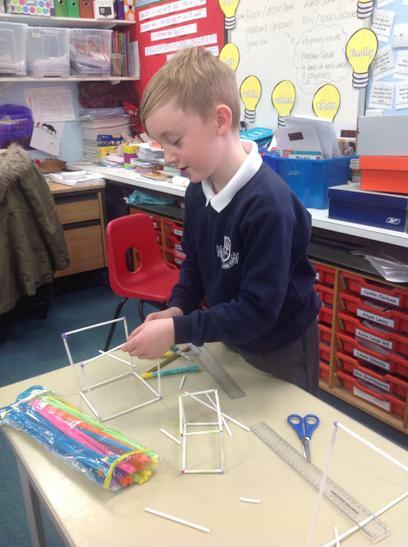 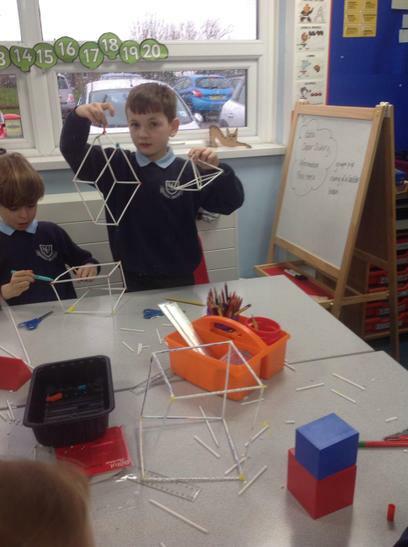 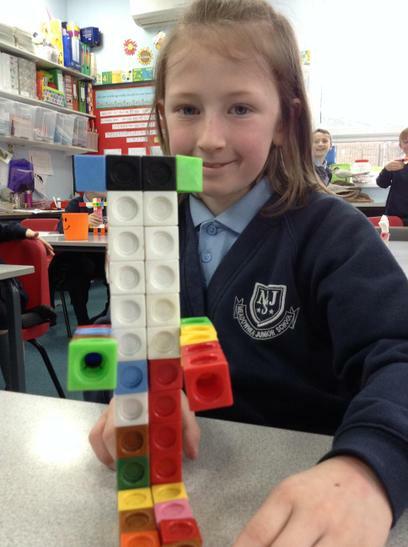 In maths we have been using our knowledge of 3D shapes to create our own! 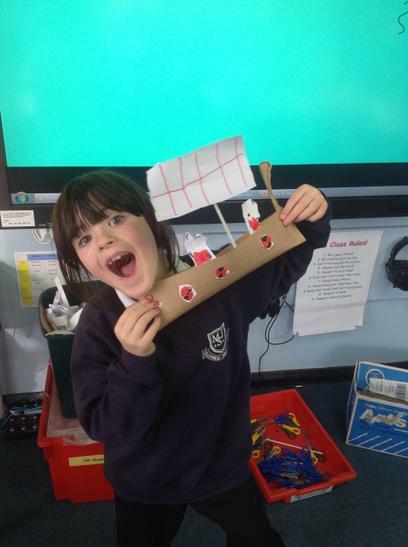 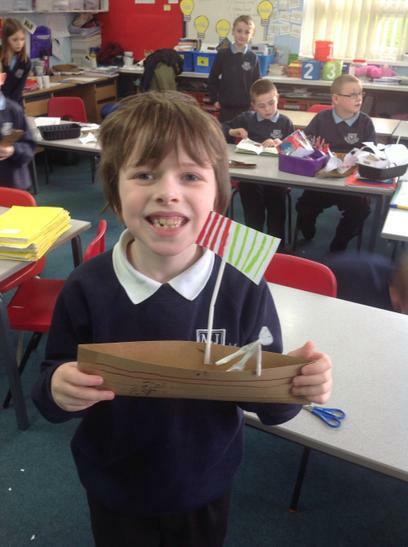 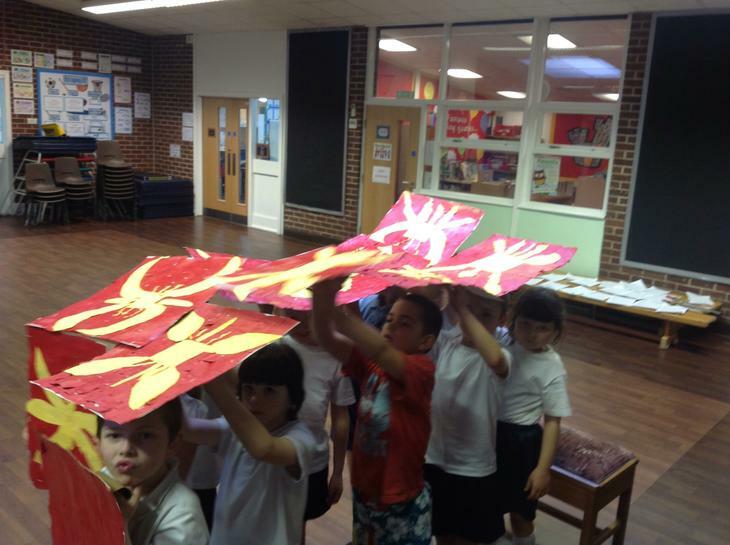 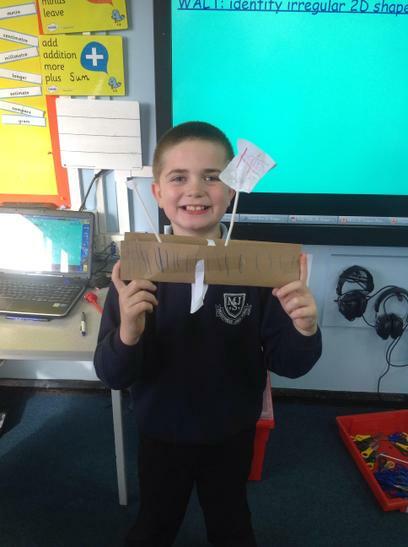 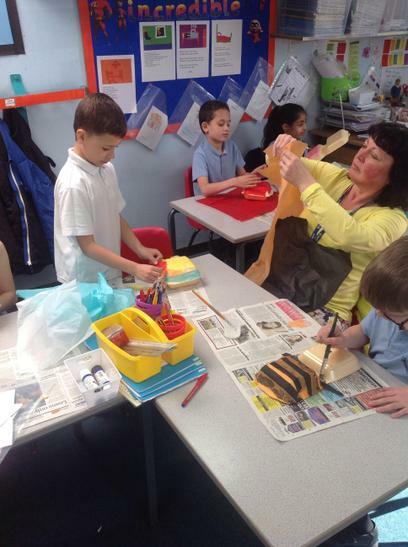 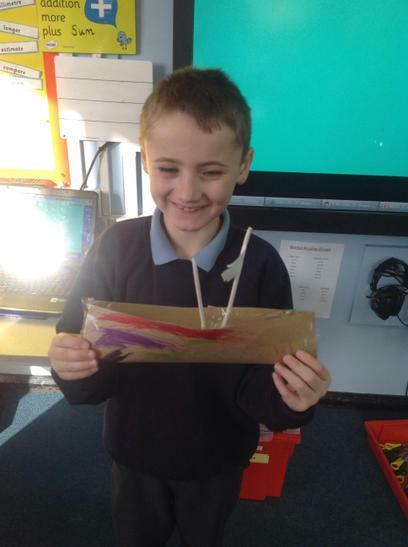 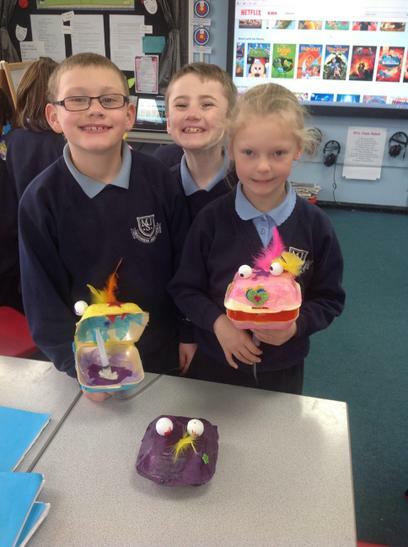 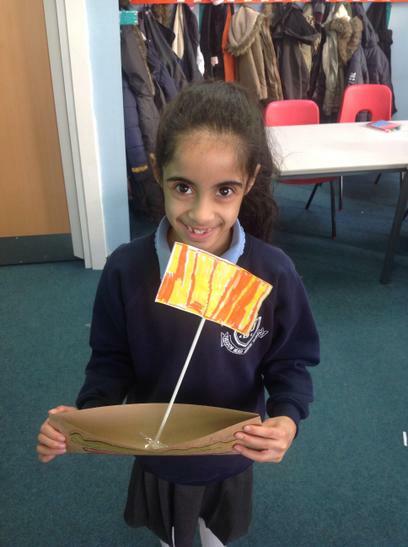 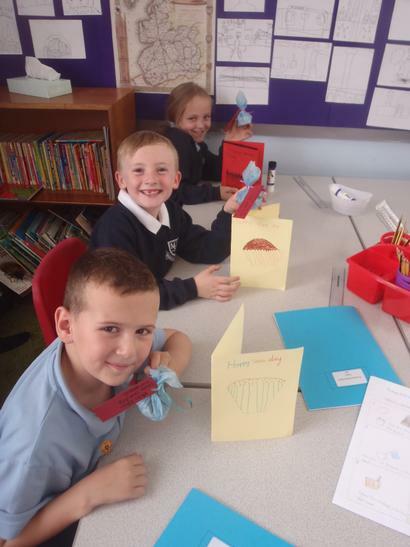 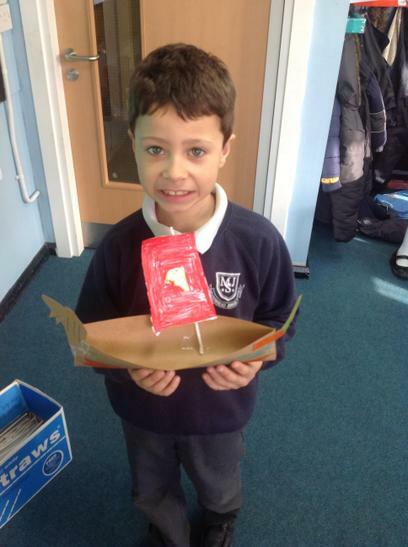 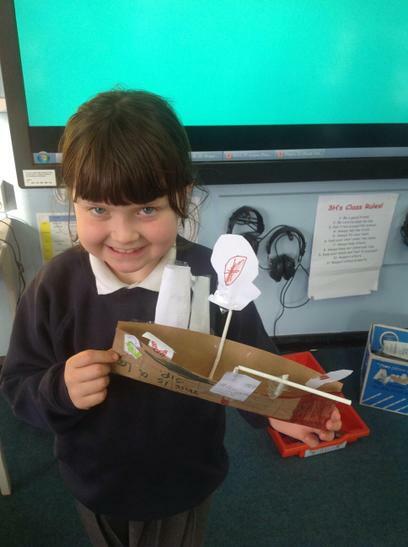 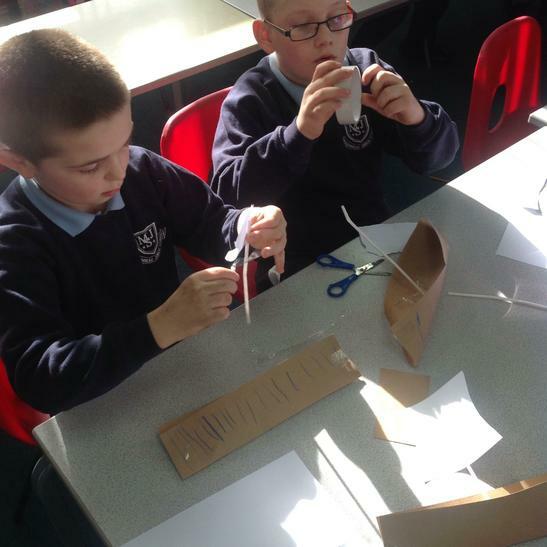 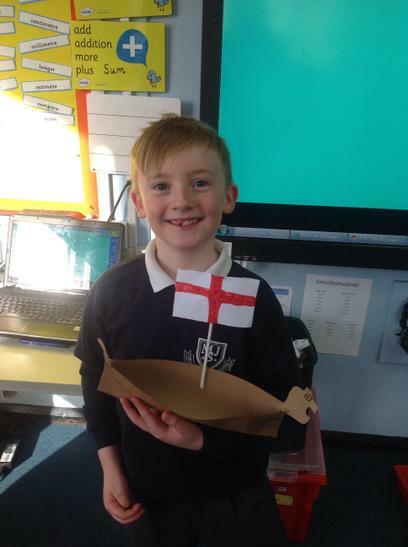 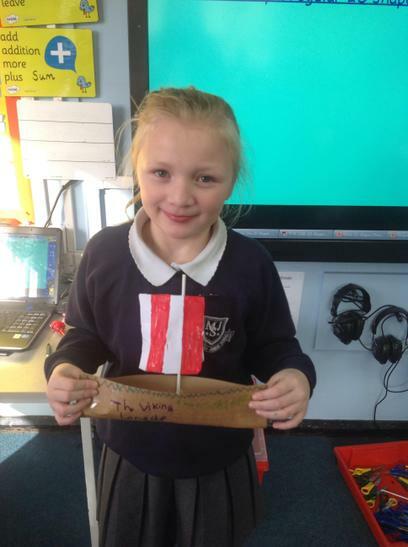 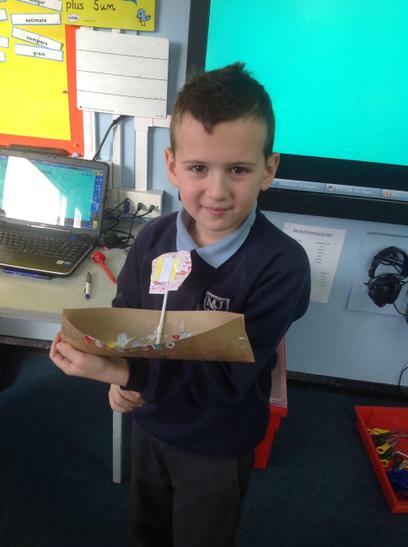 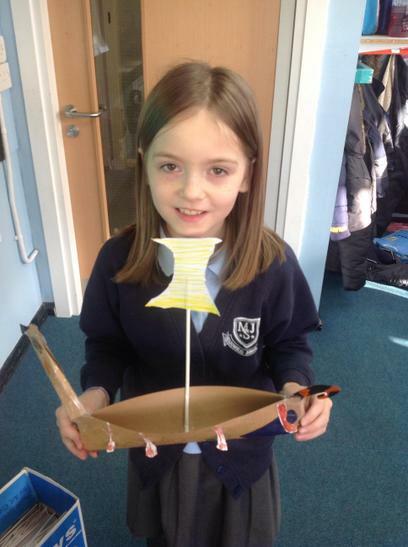 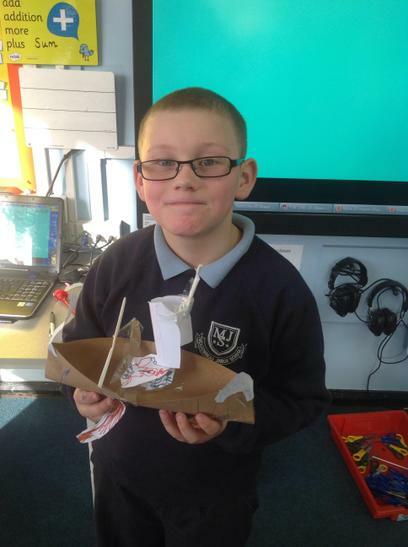 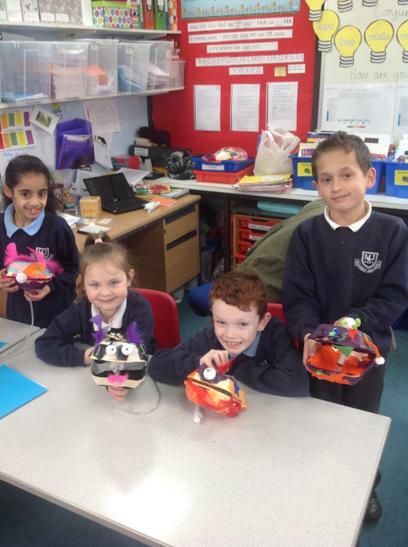 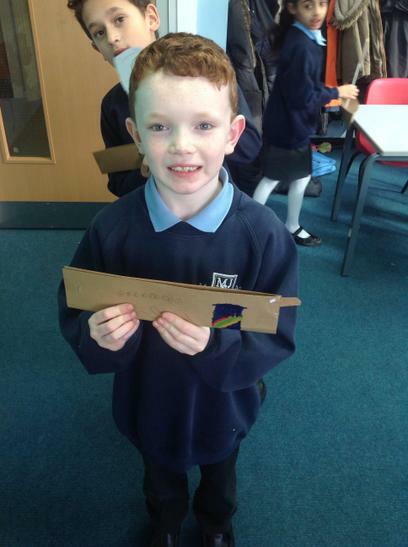 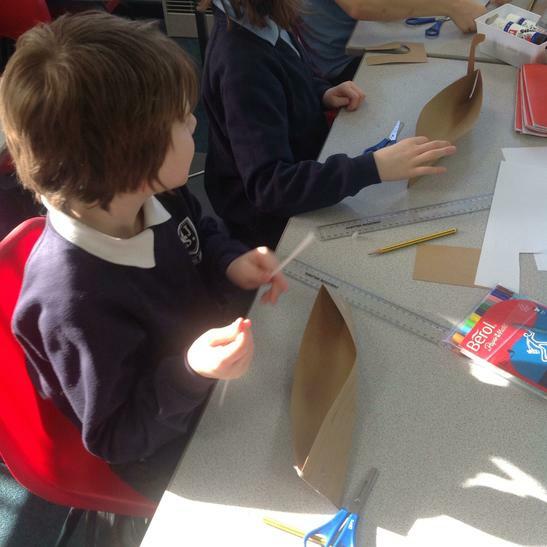 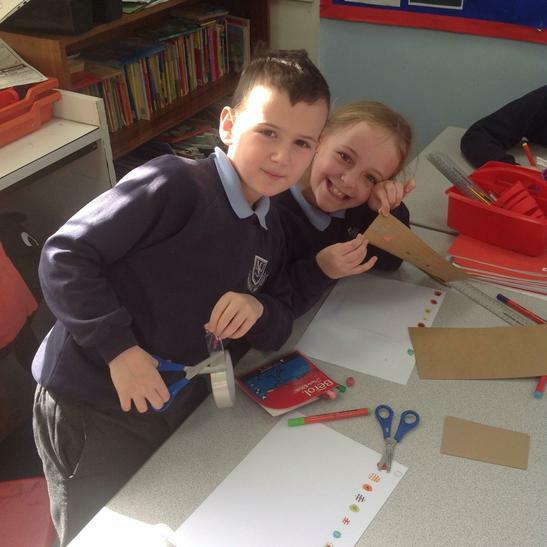 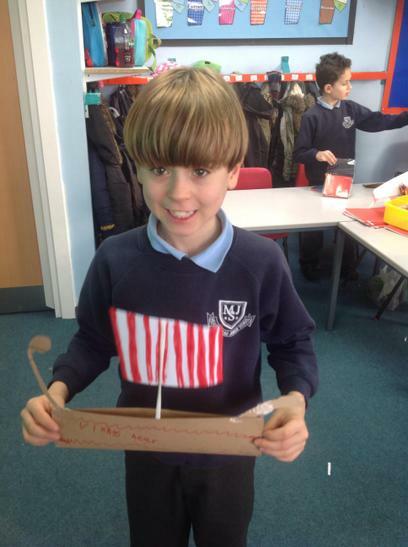 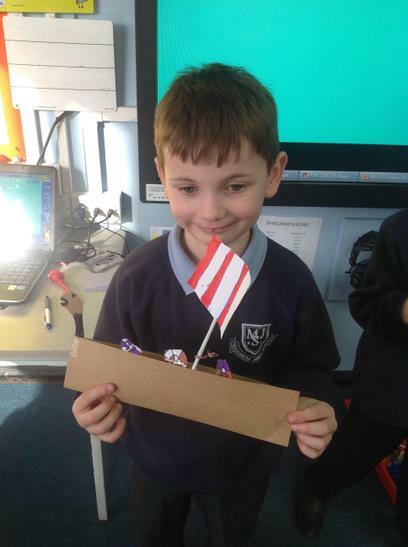 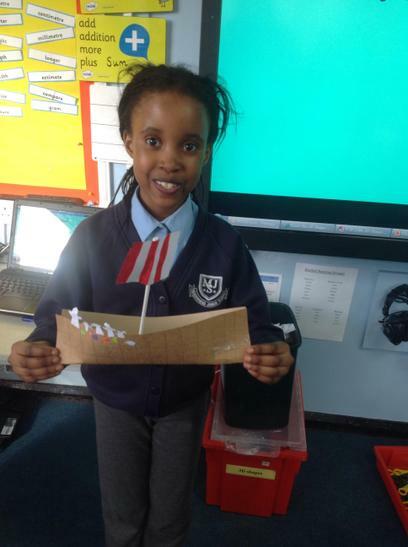 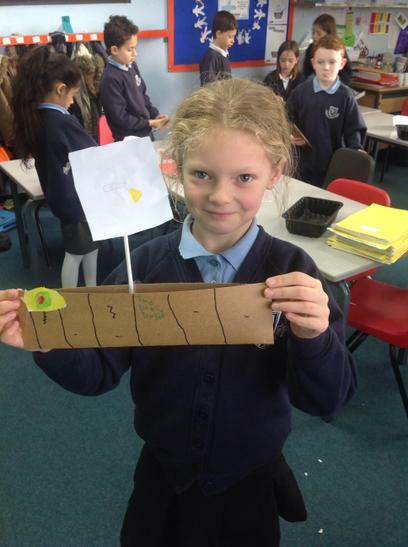 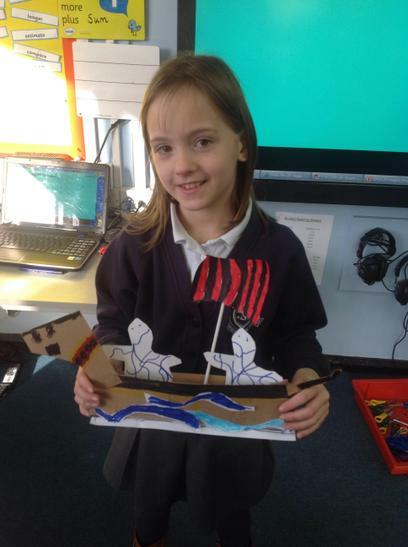 We have made our own Viking long ships! 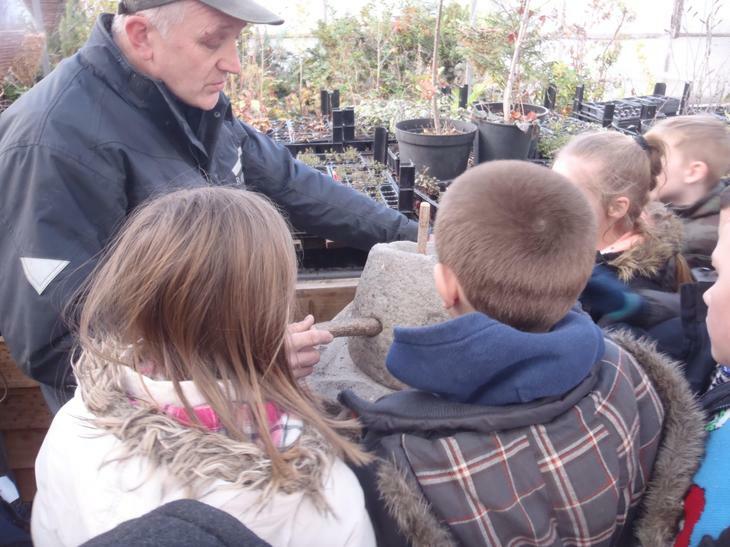 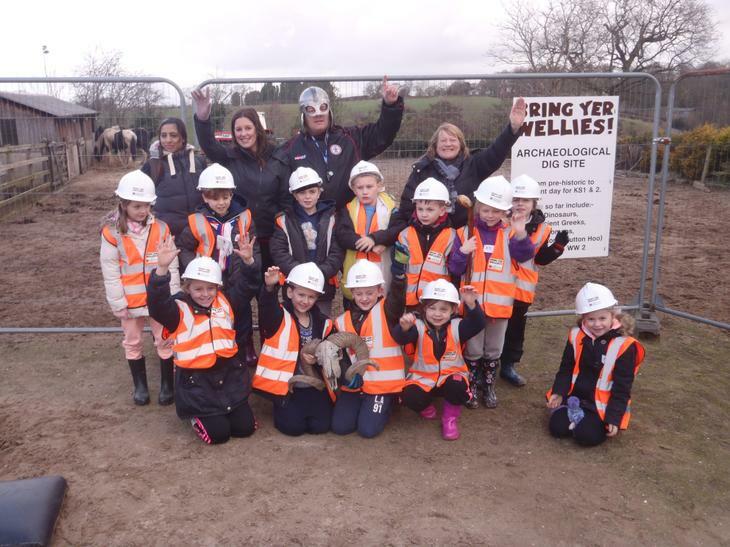 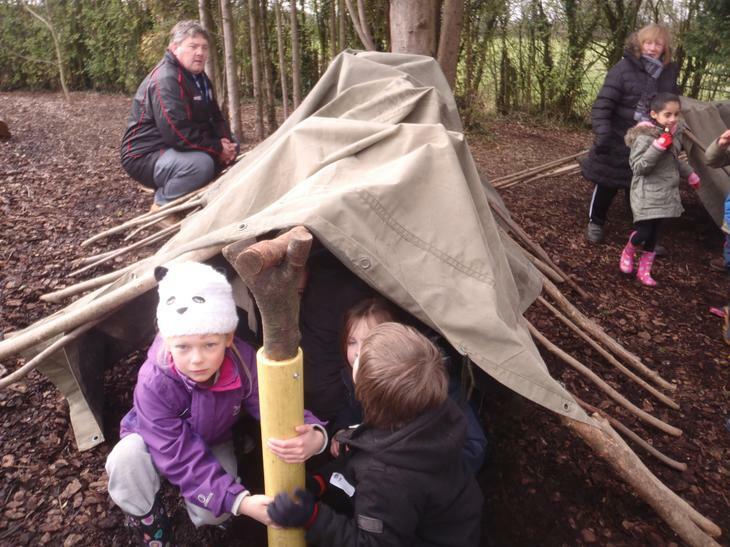 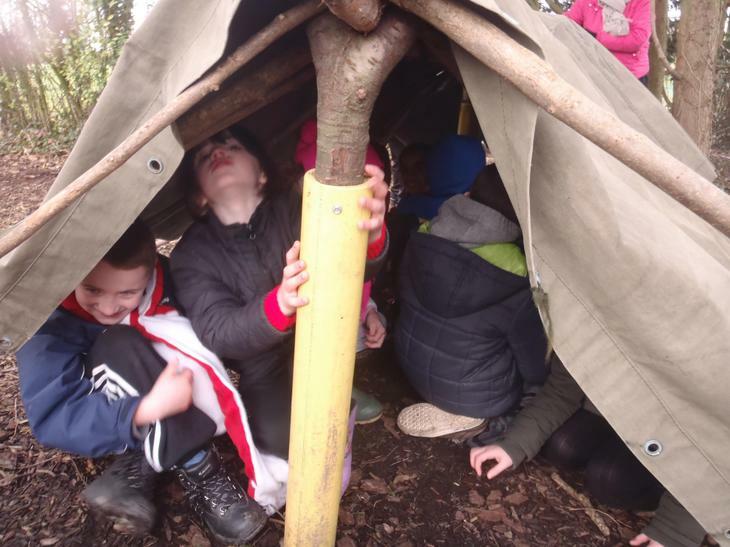 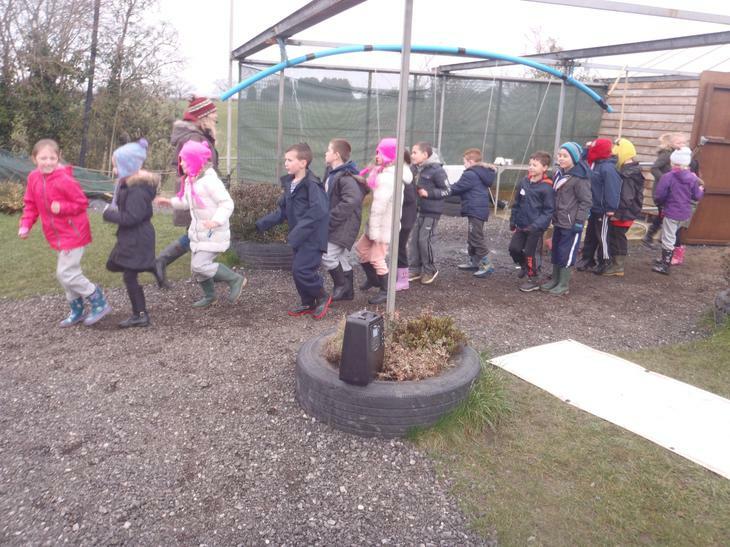 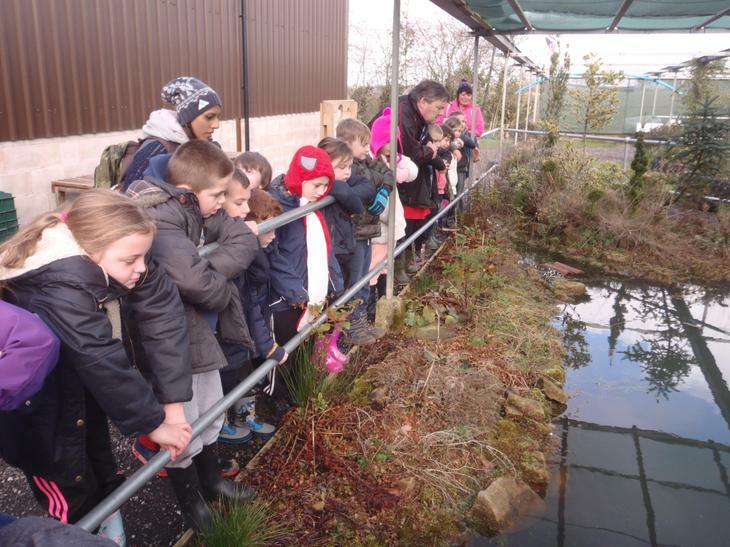 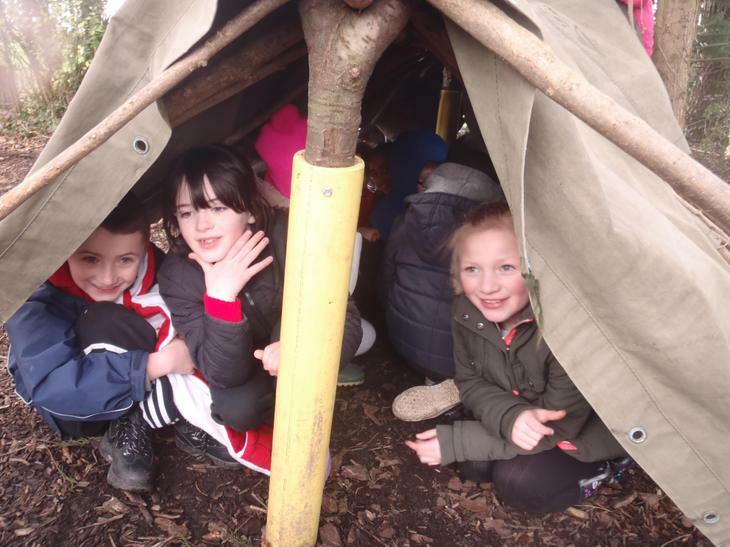 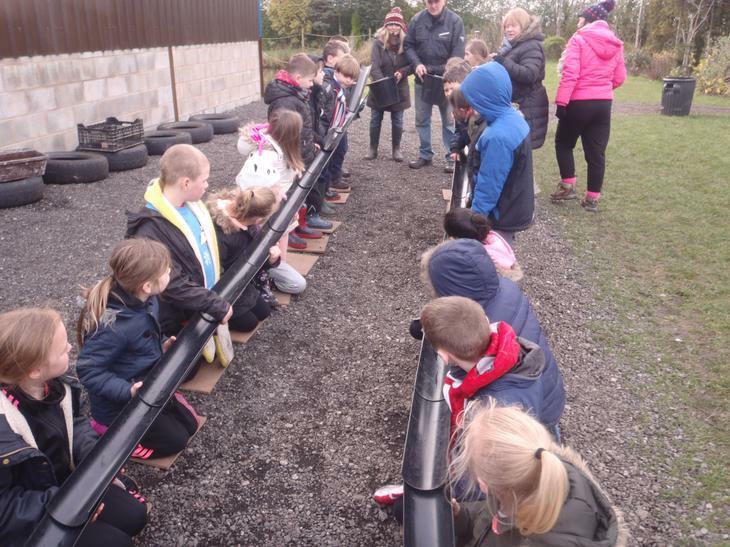 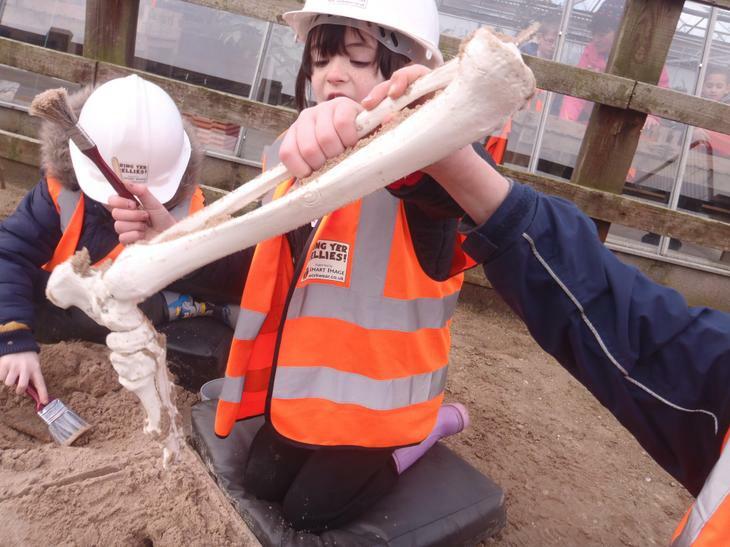 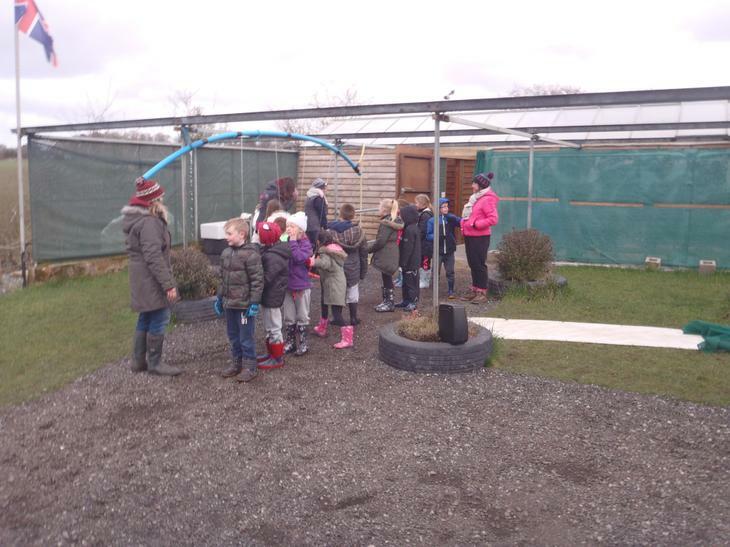 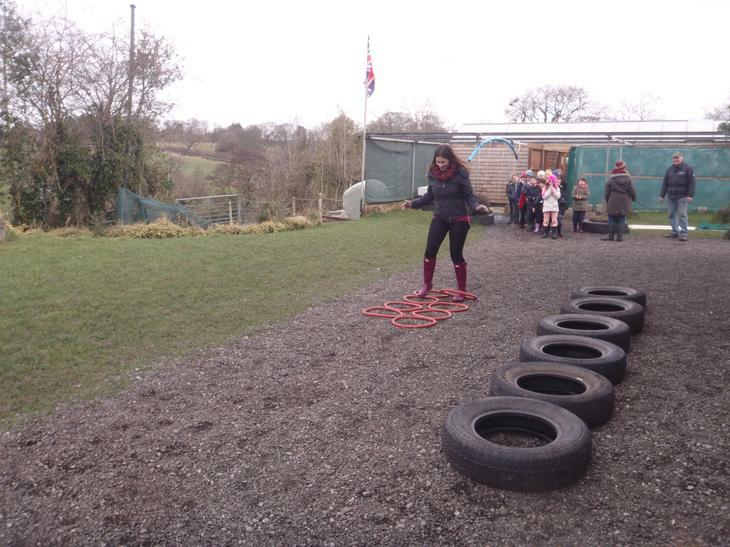 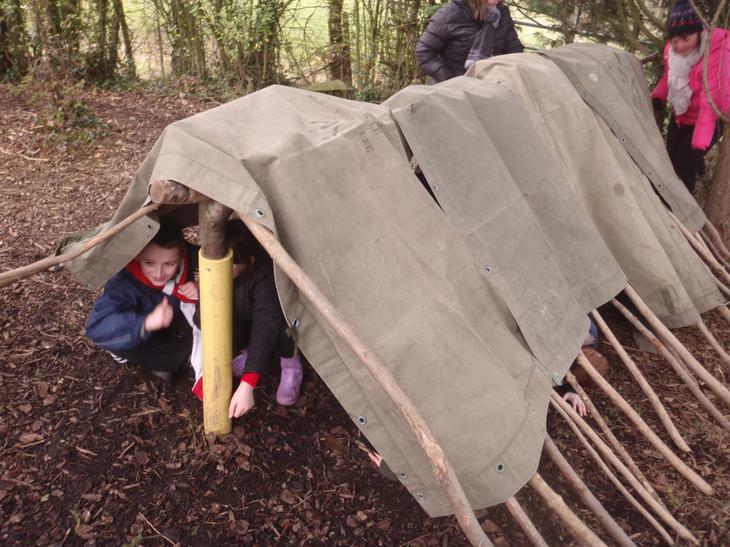 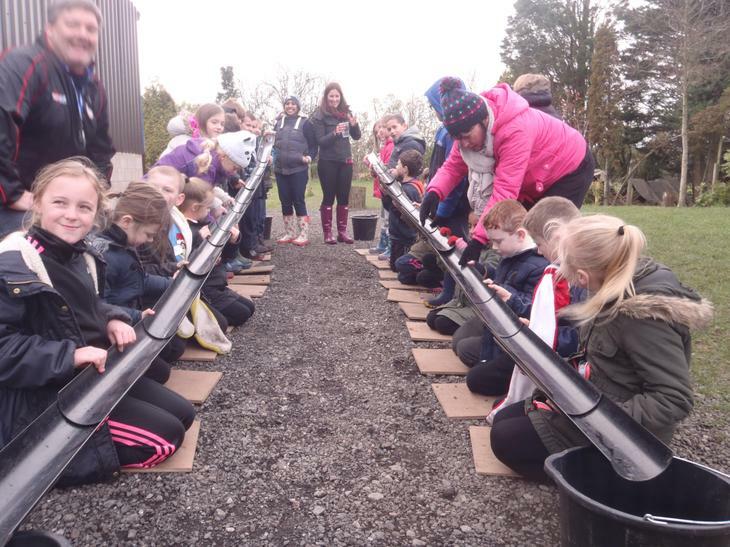 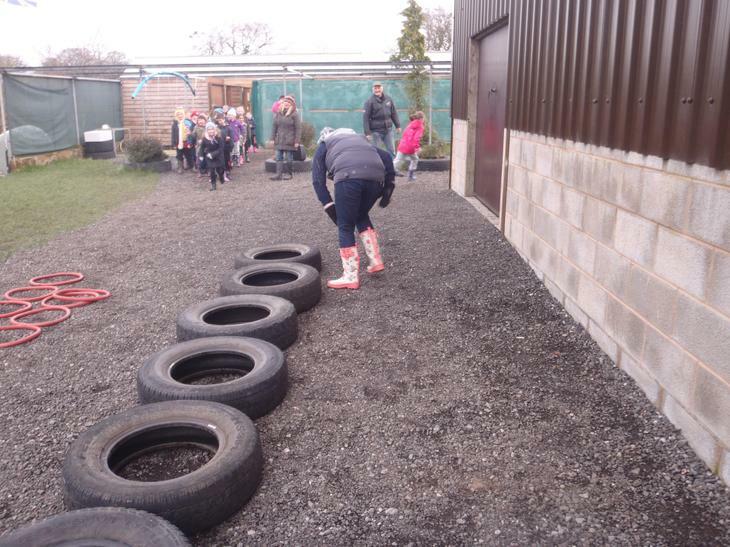 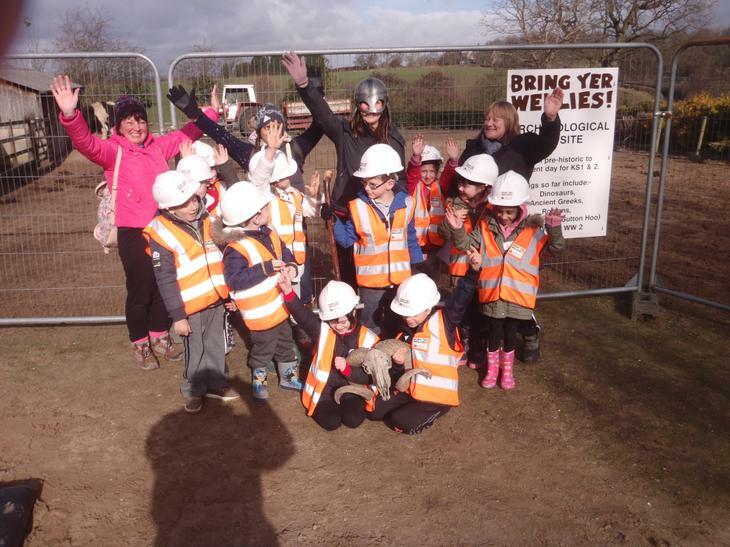 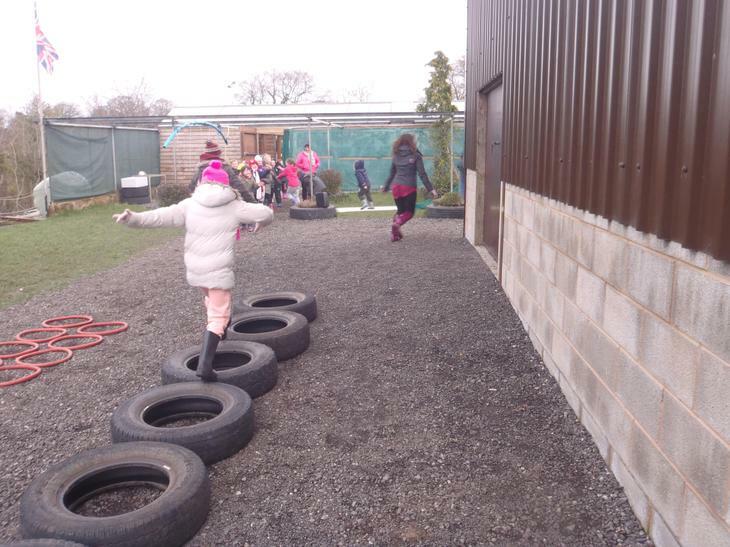 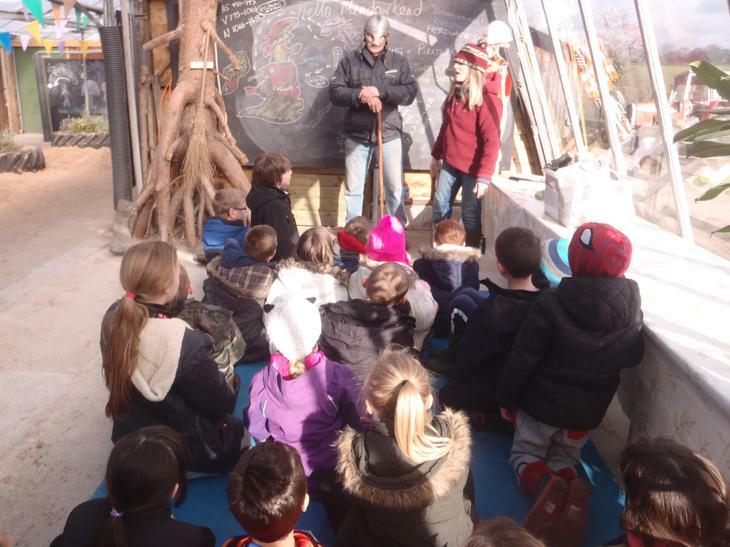 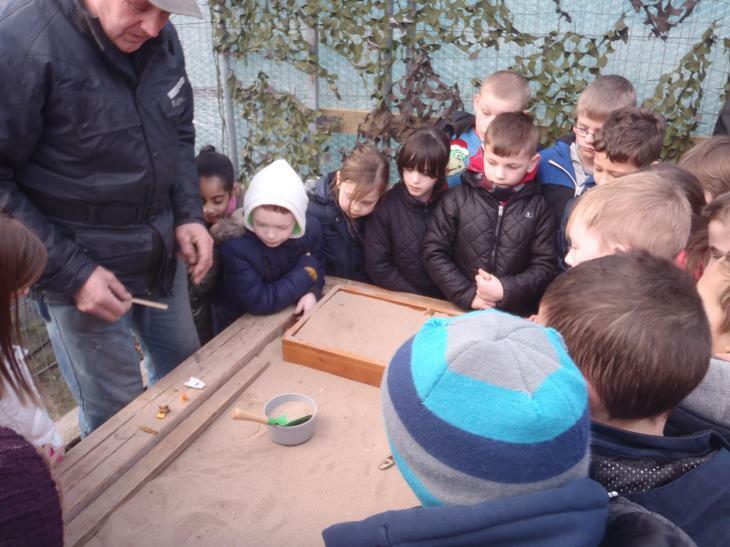 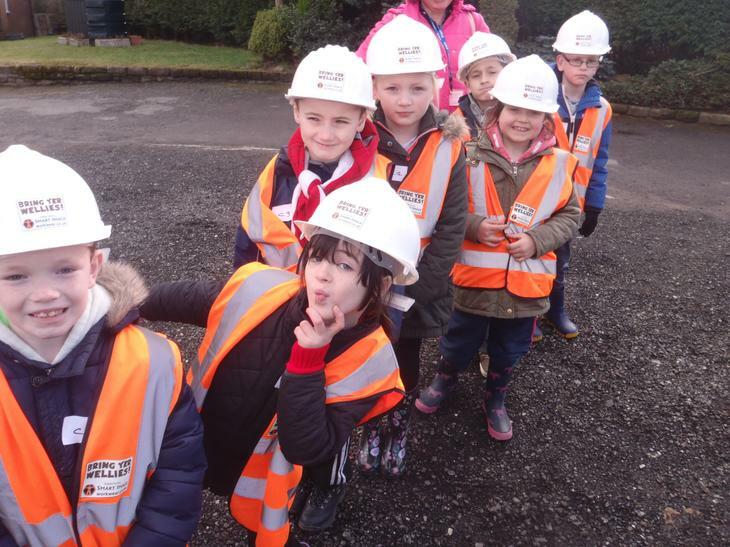 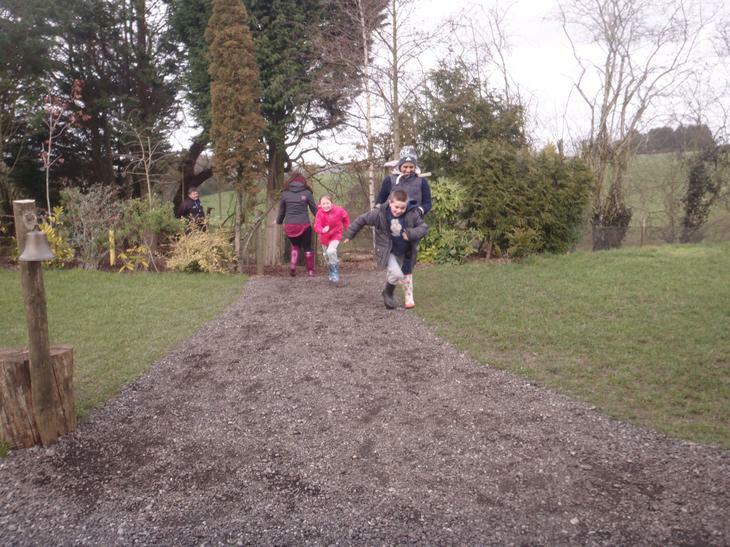 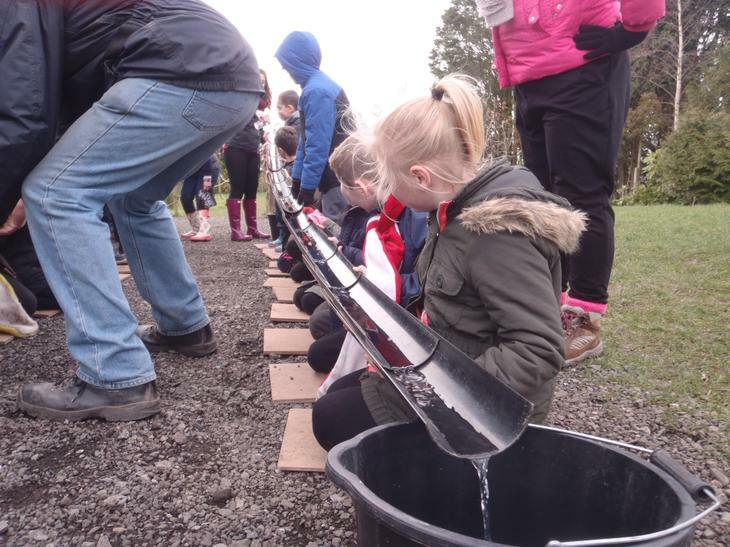 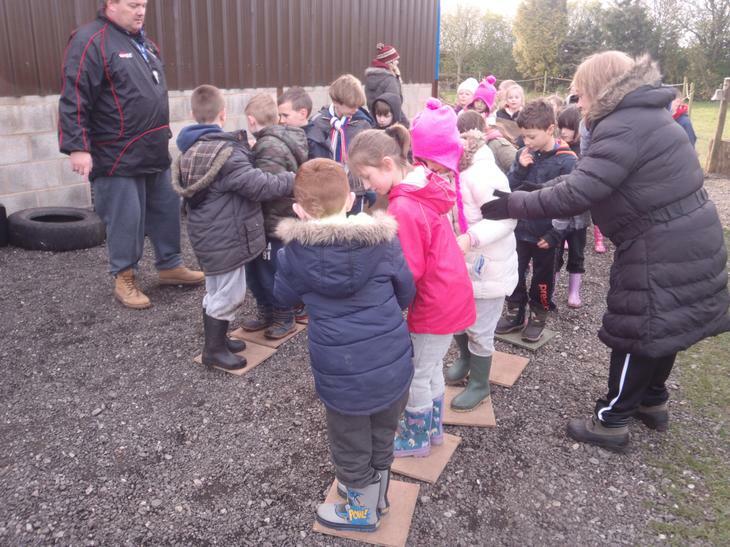 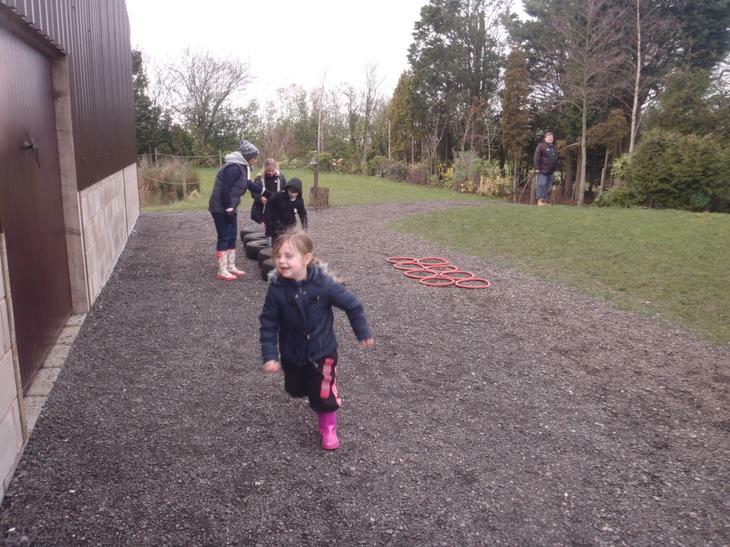 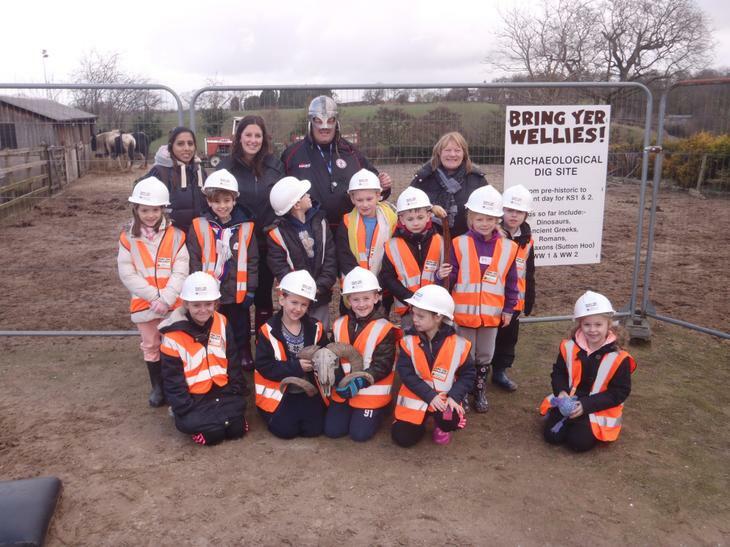 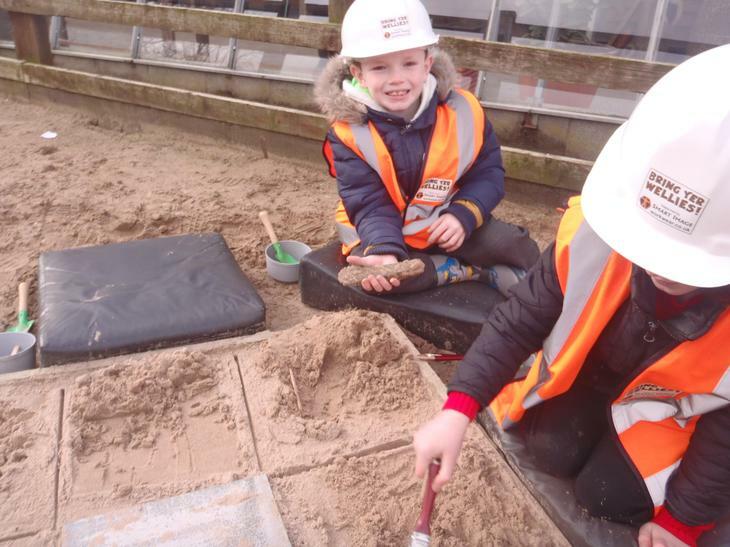 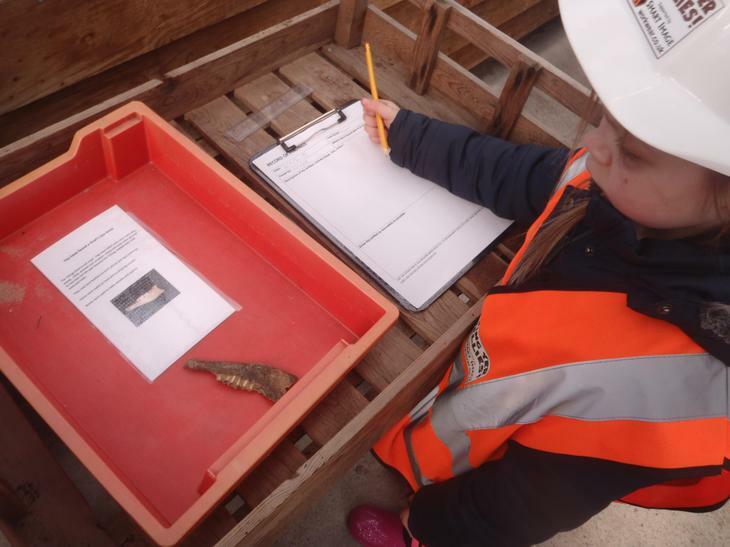 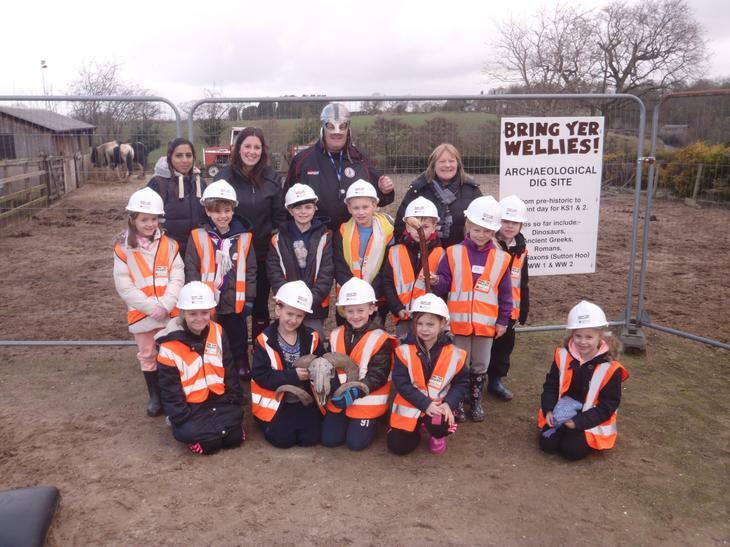 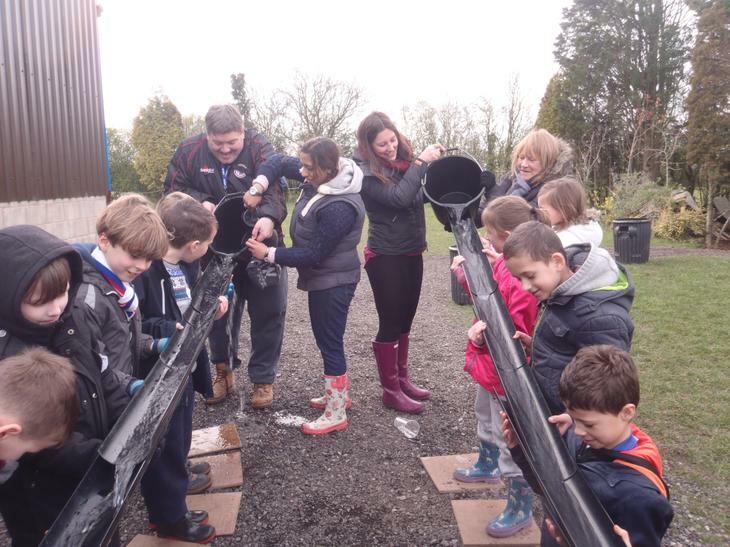 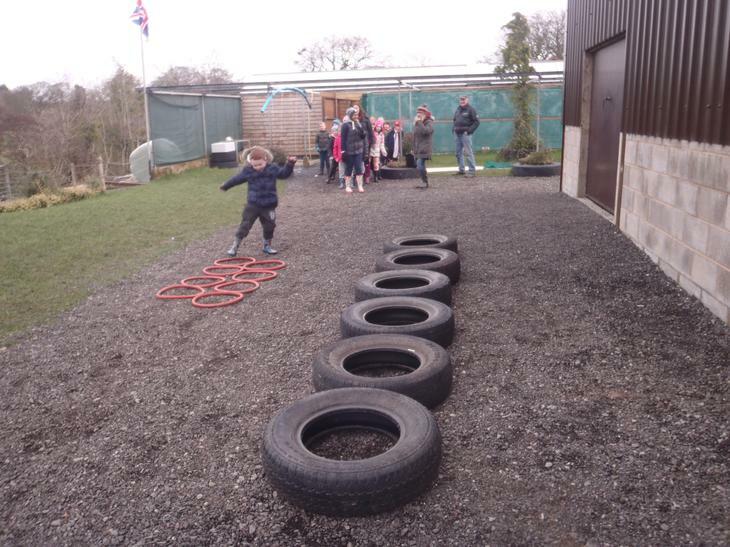 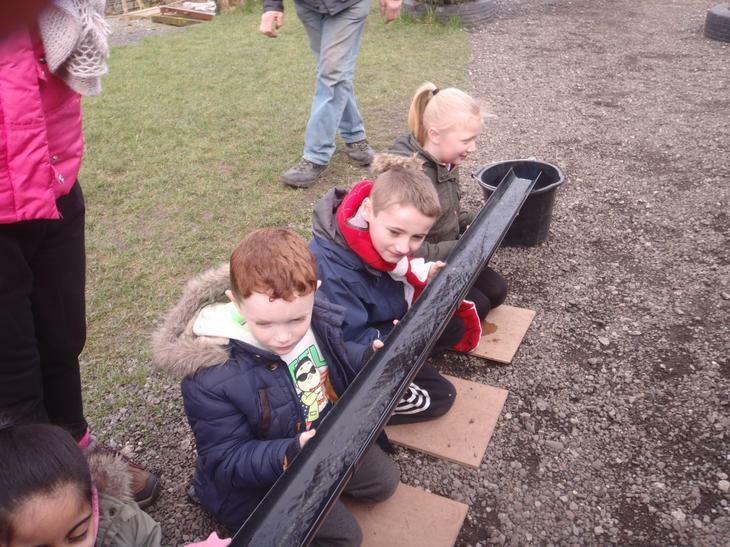 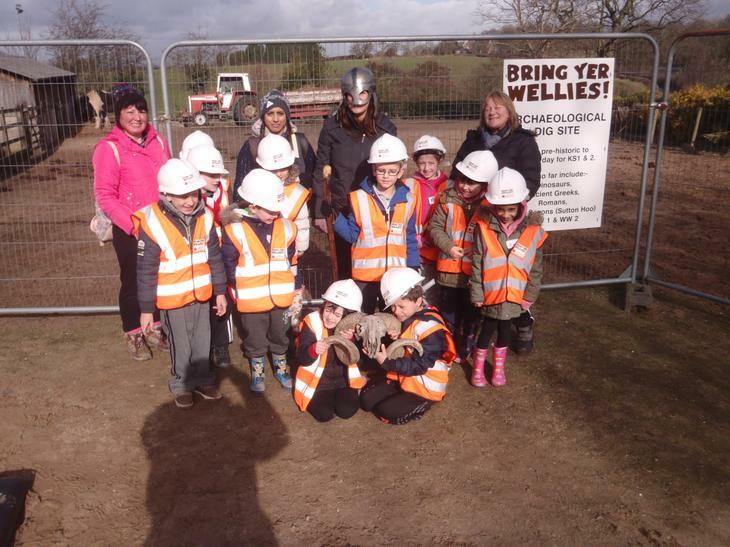 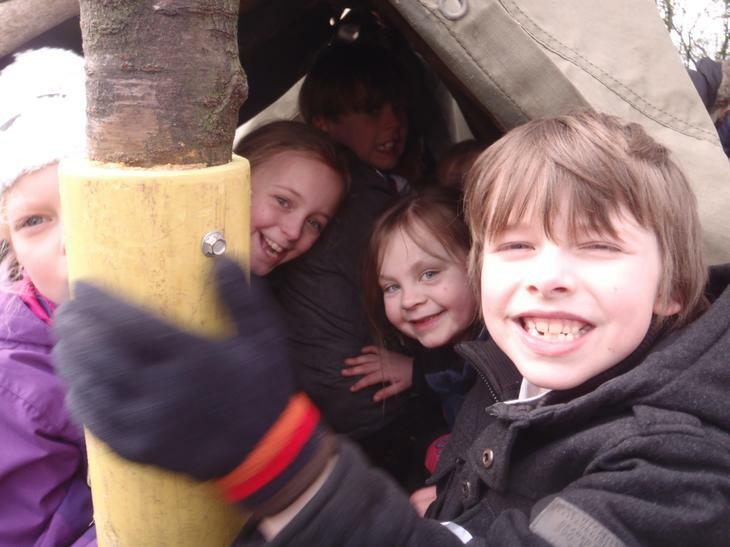 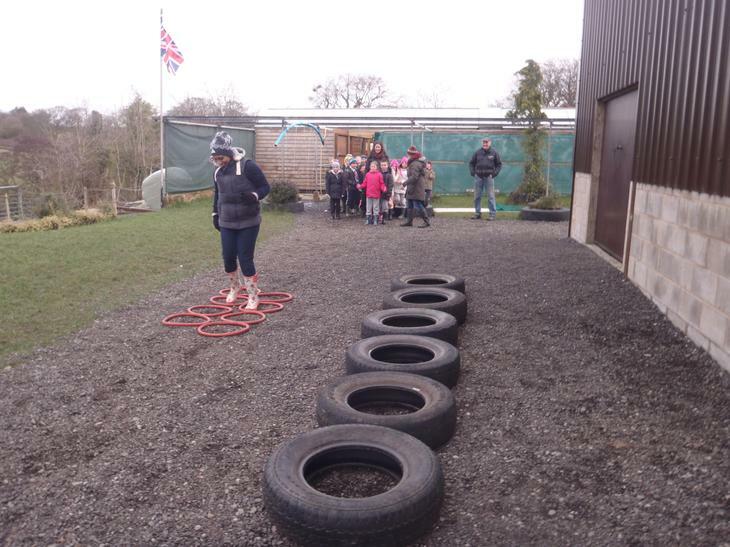 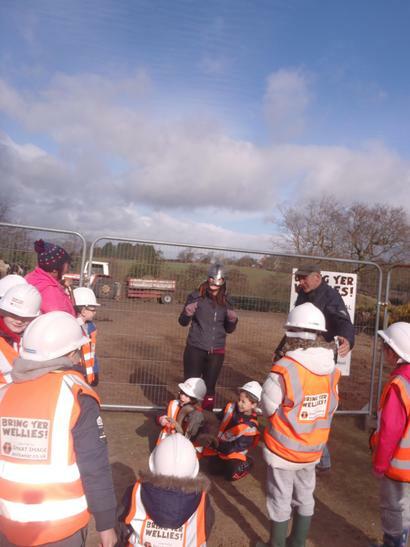 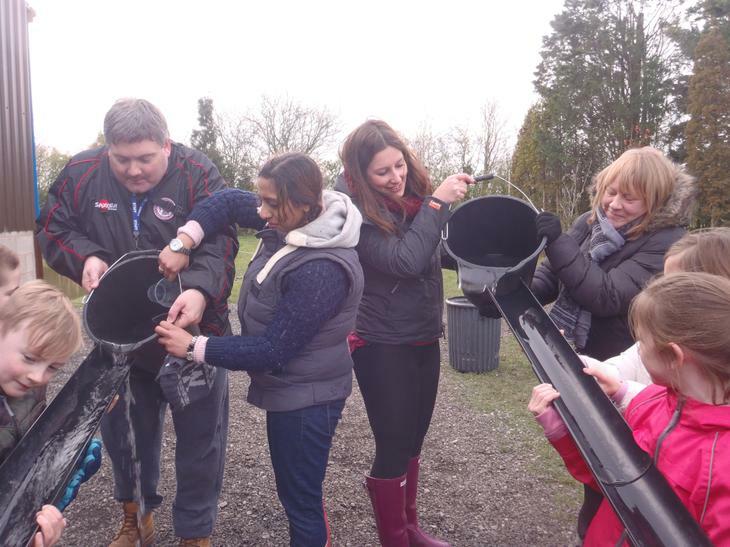 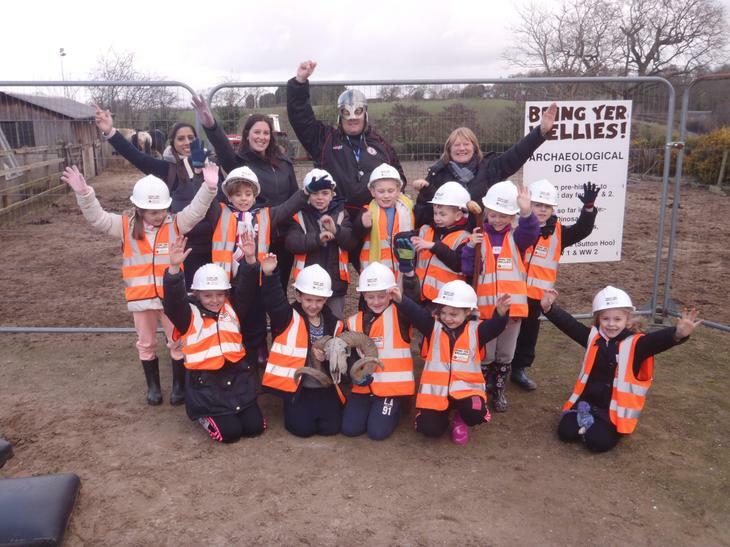 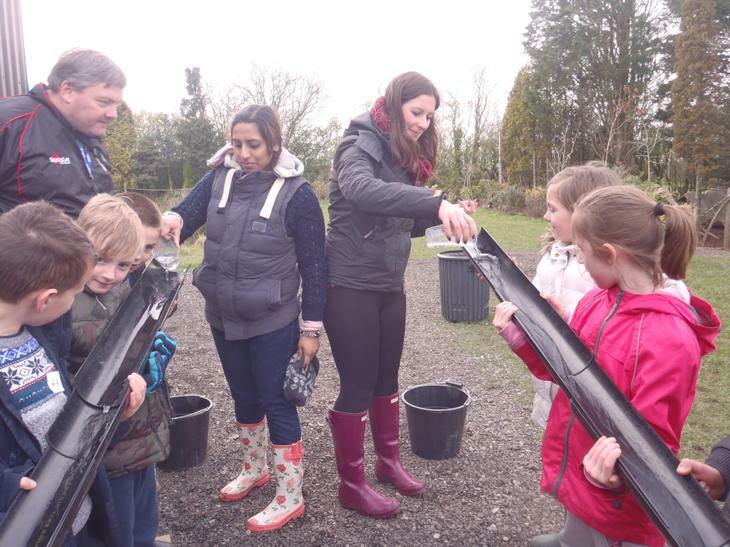 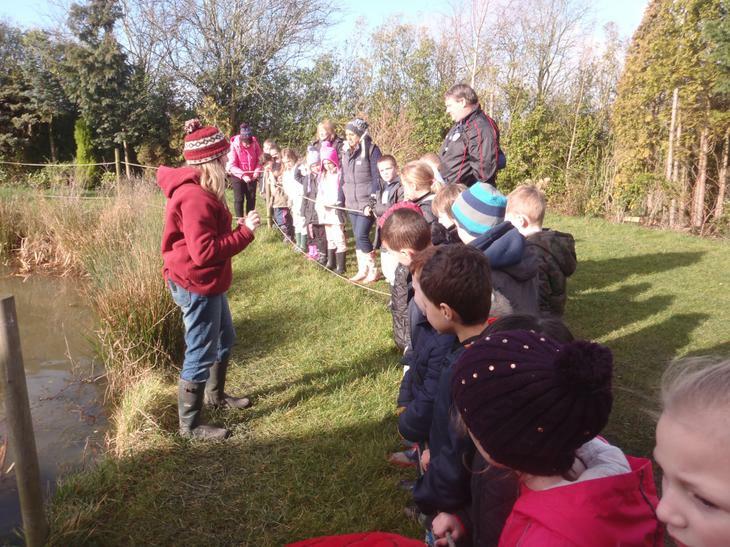 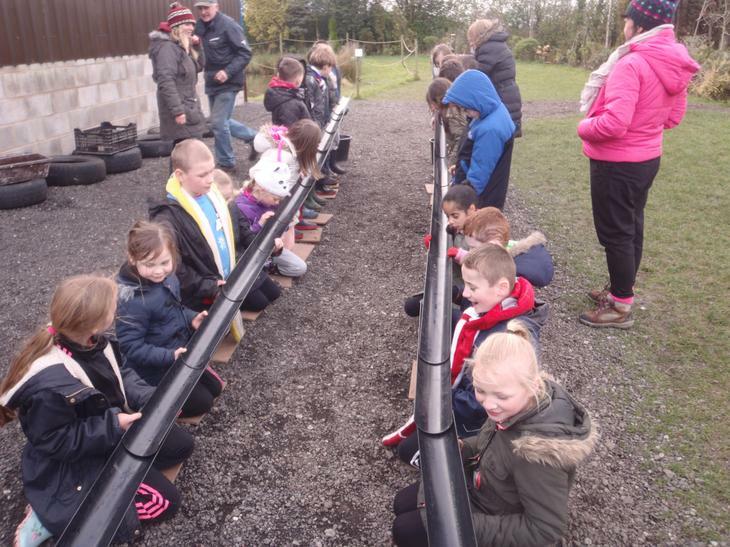 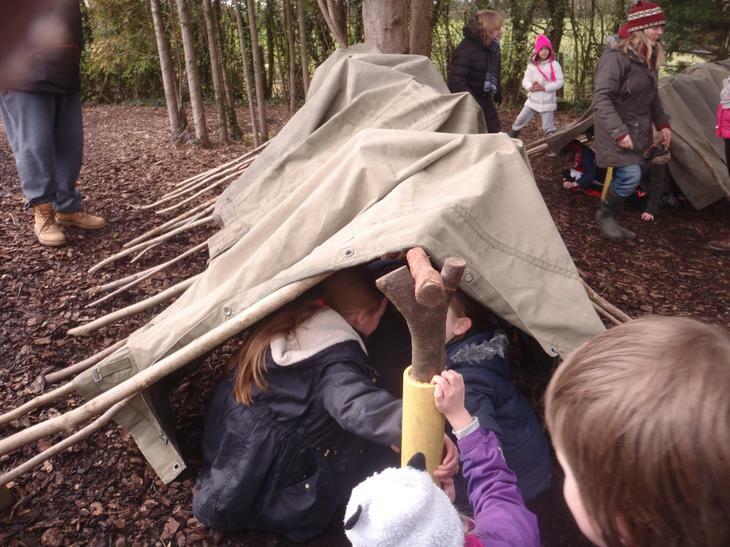 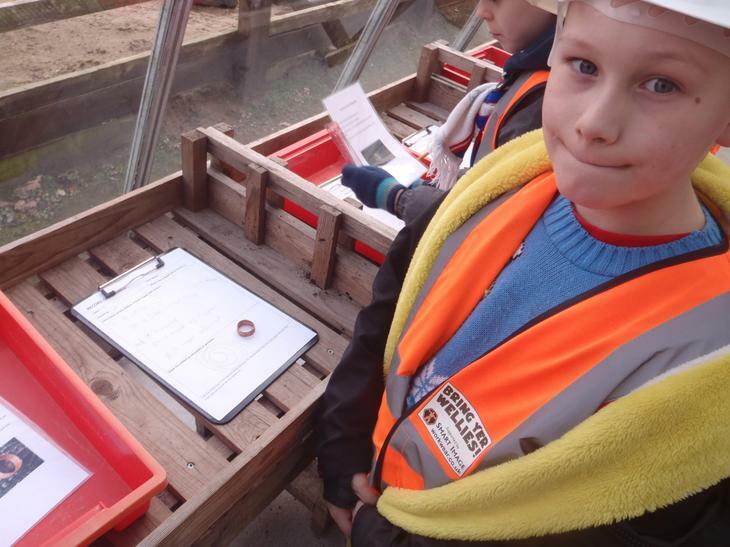 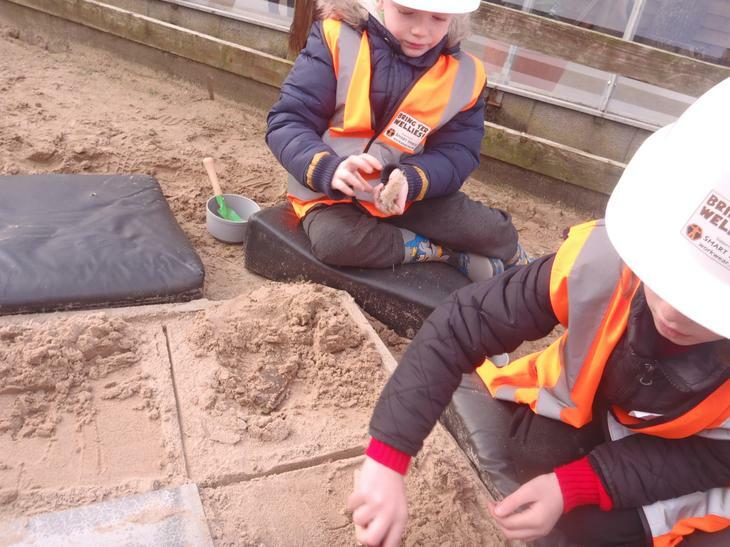 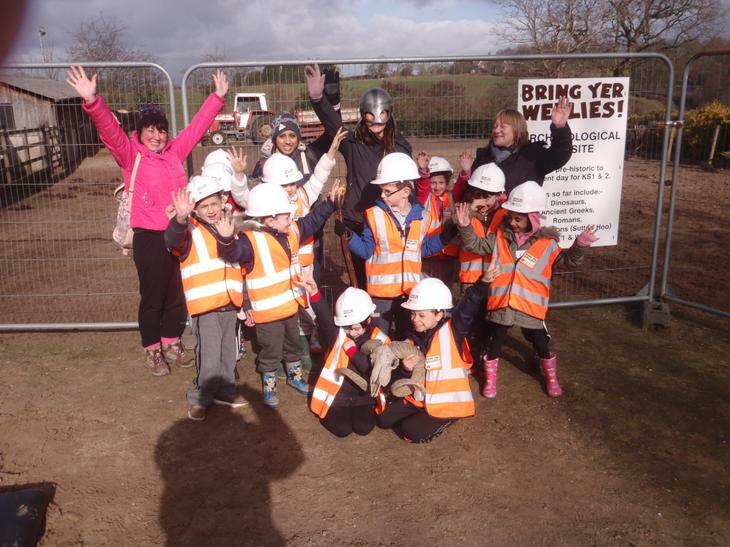 We have had a brilliant time at Bring Yer Wellies! 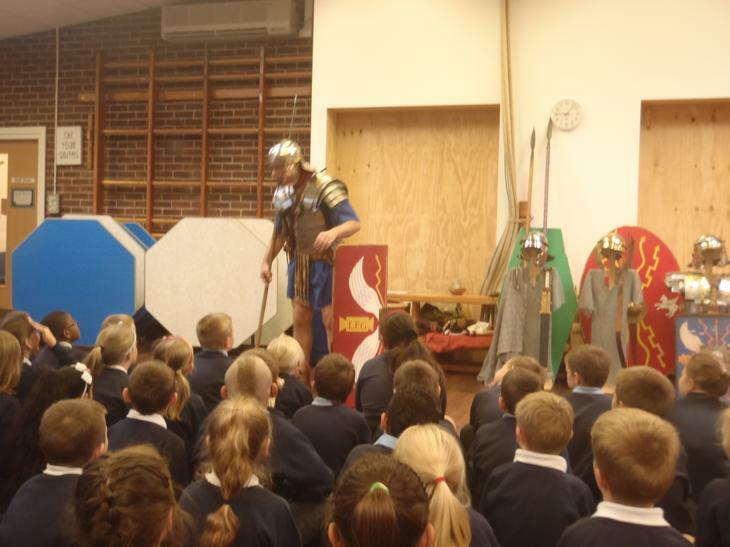 Our topic for this term is The Vikings and Anglo Saxons! 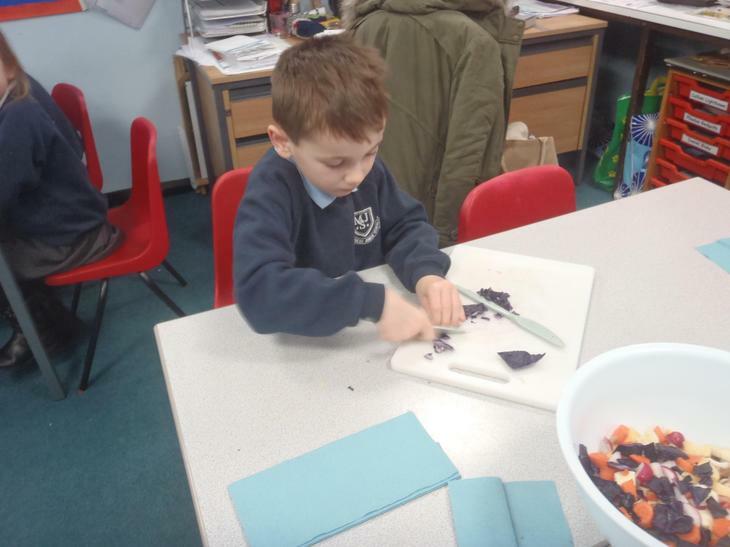 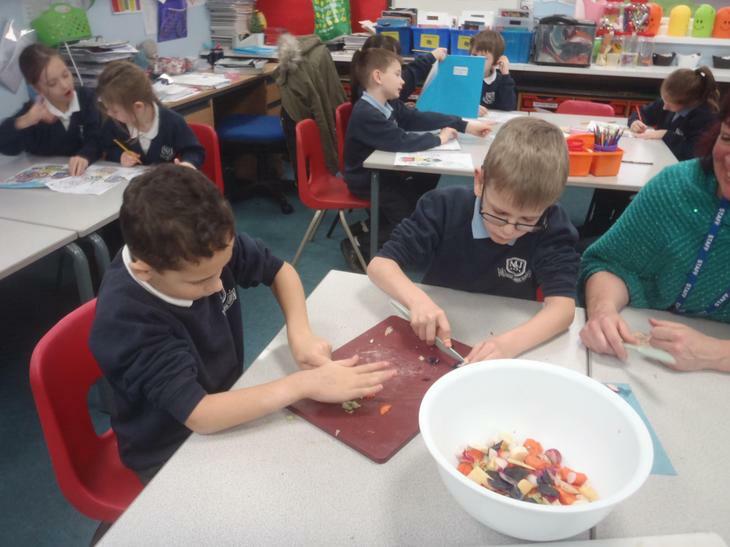 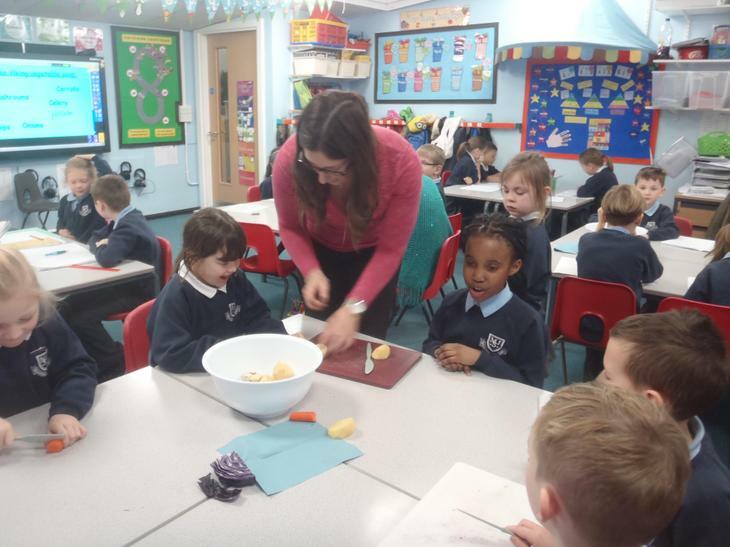 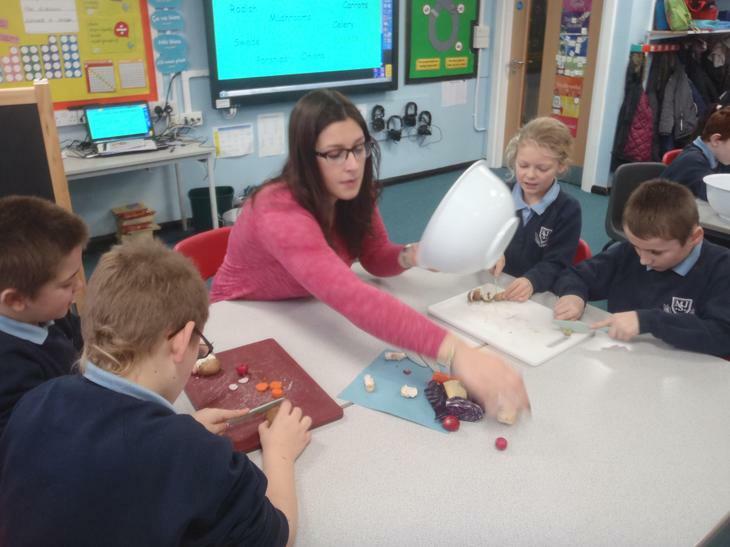 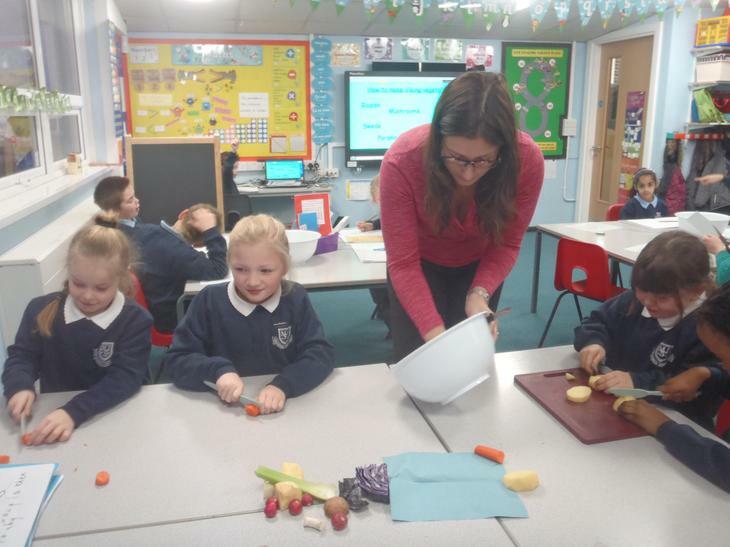 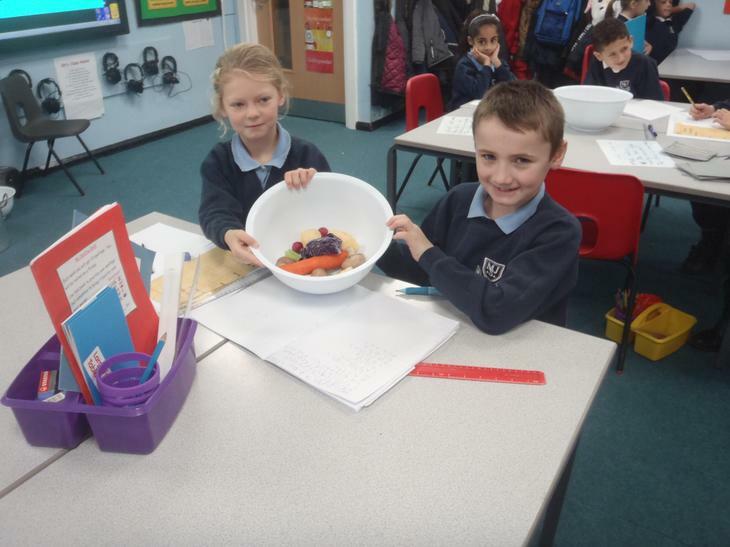 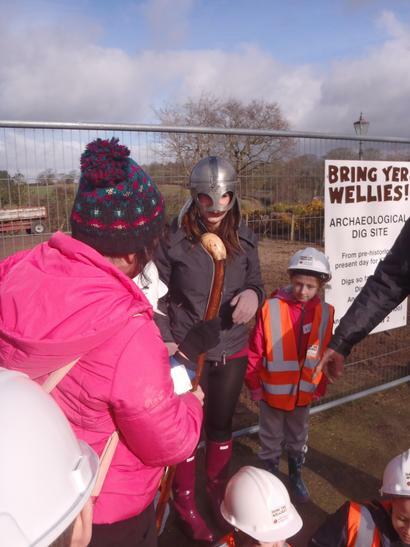 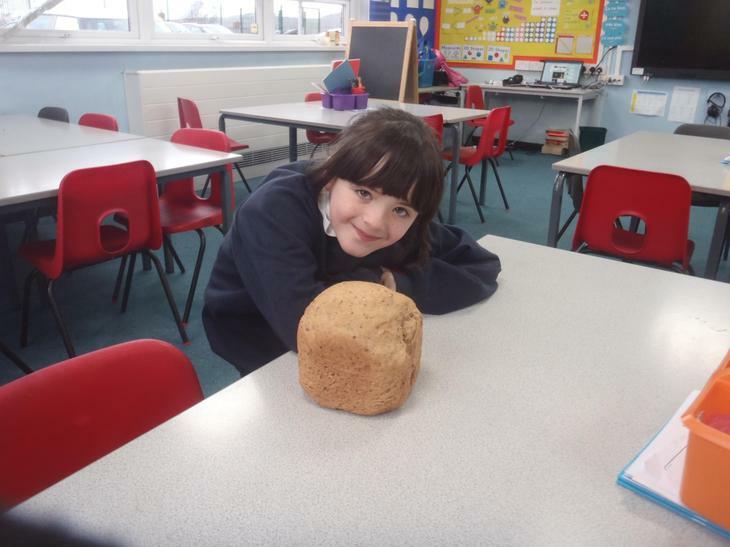 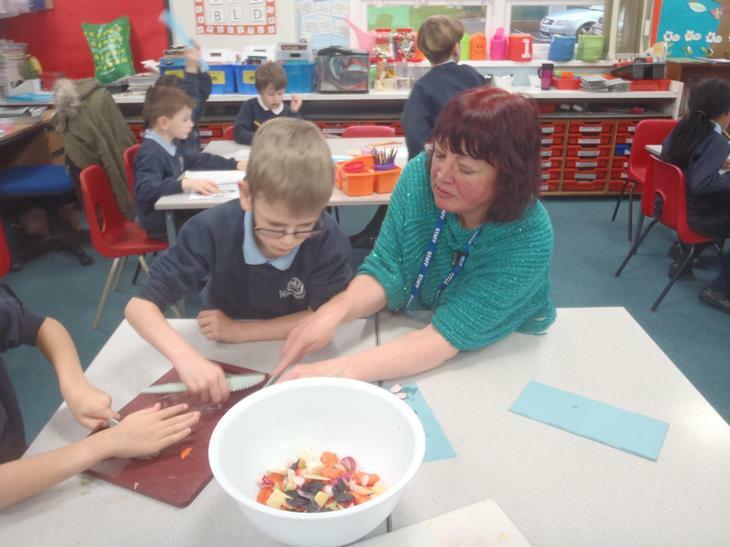 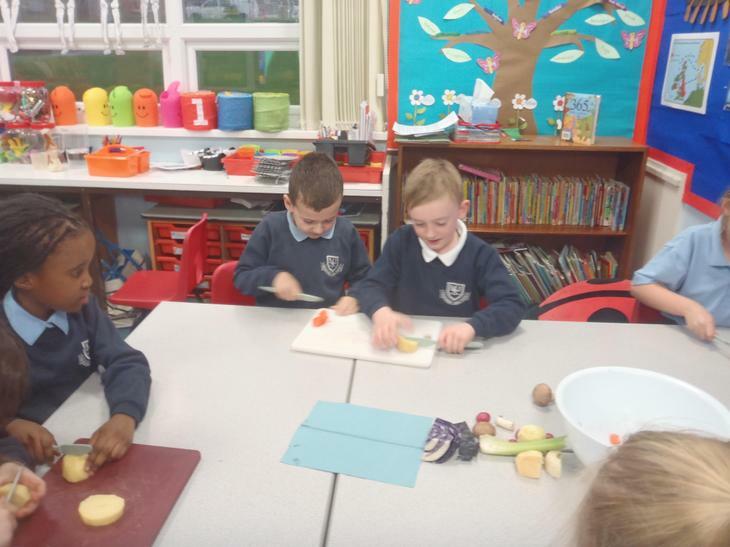 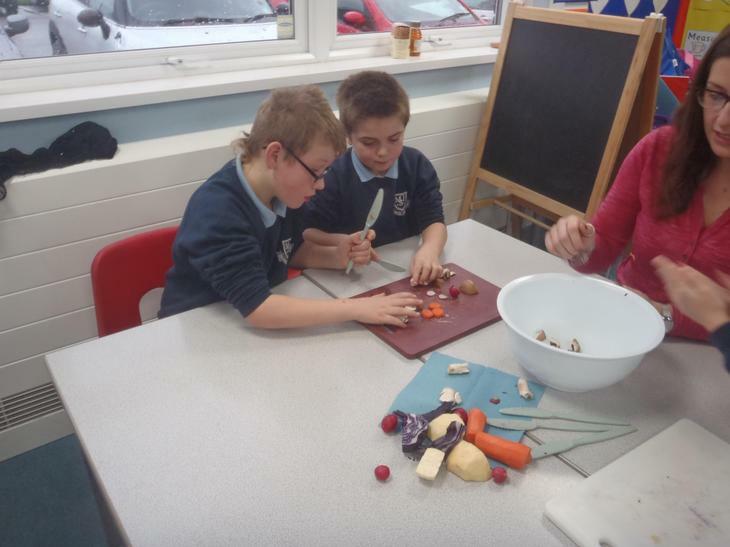 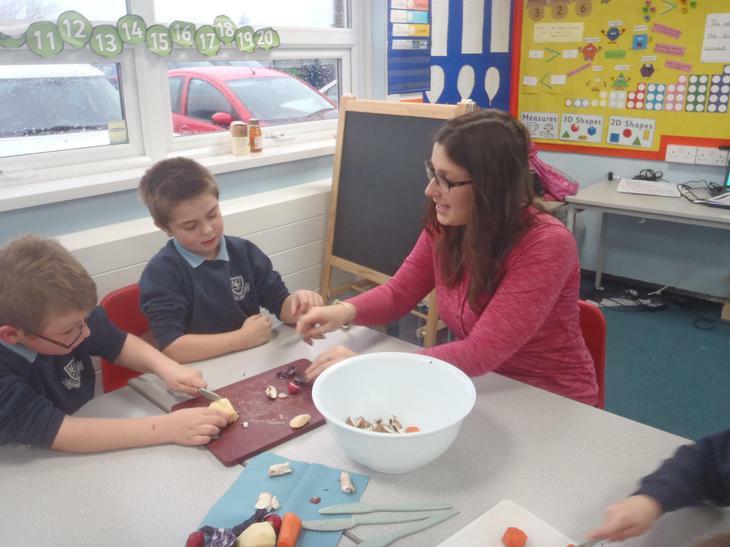 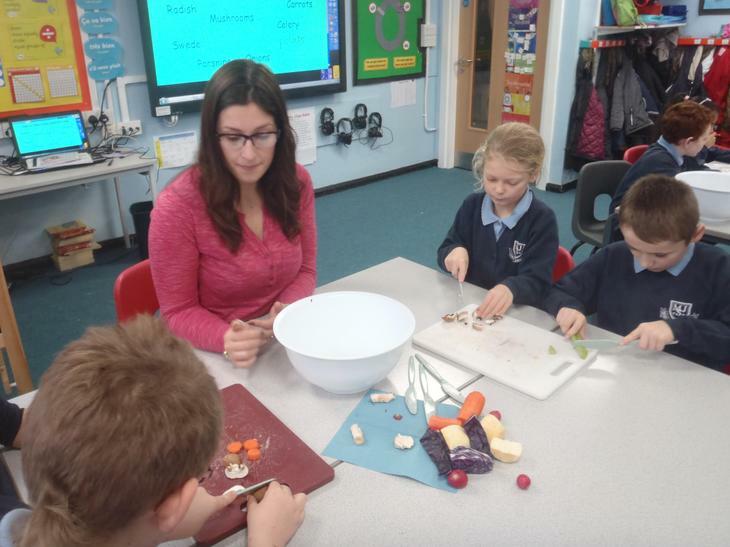 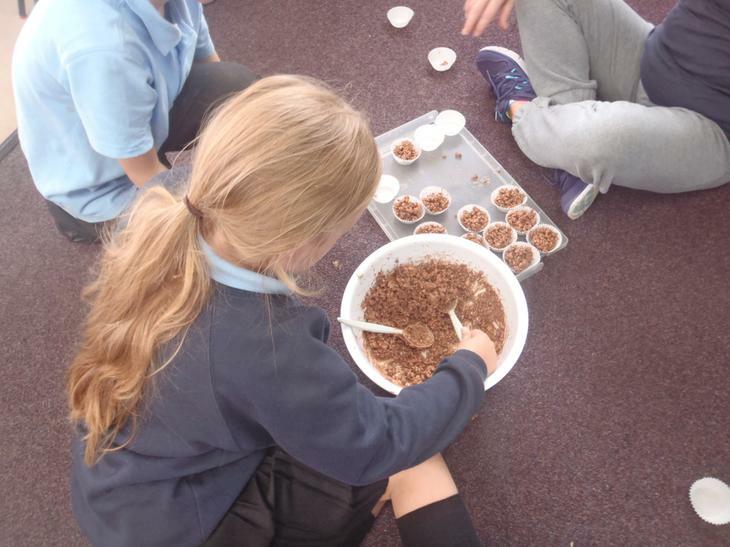 We had lots of fun making Viking soup and Viking bread. 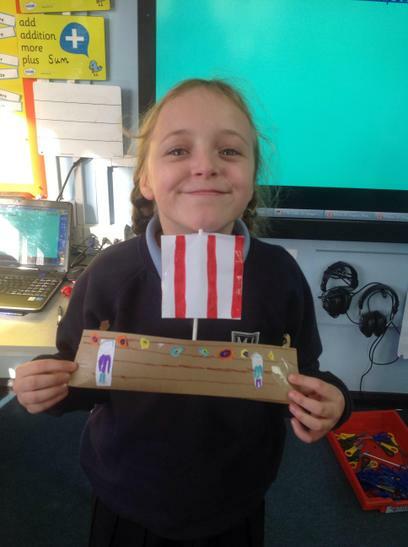 We also spent the rest of the day doing crafts and solving problems using the Viking alphabet! 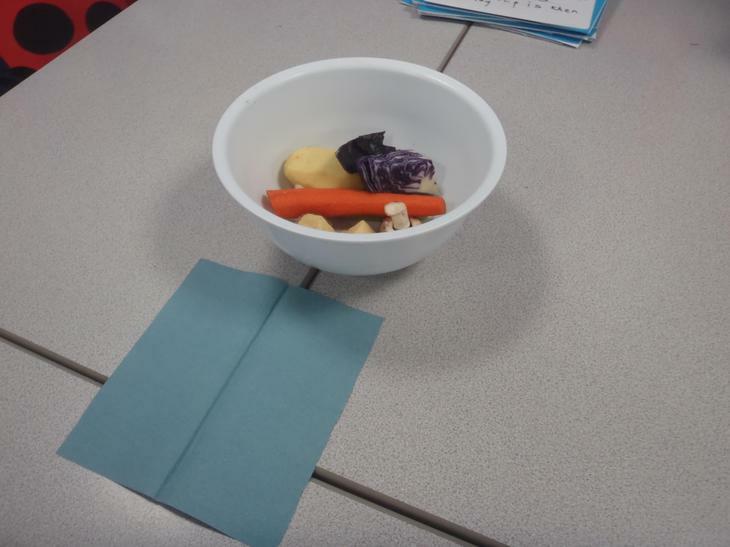 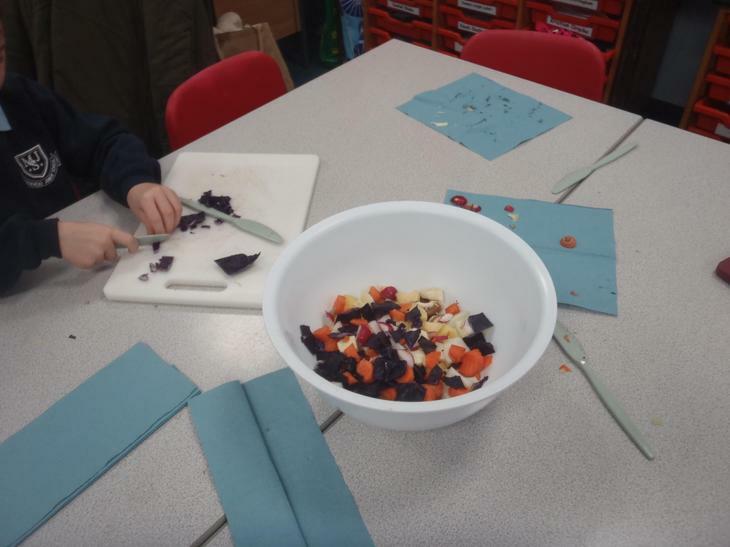 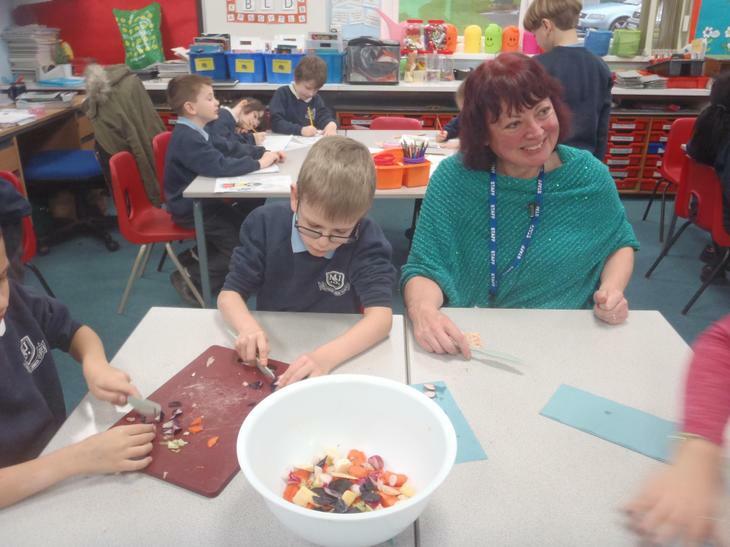 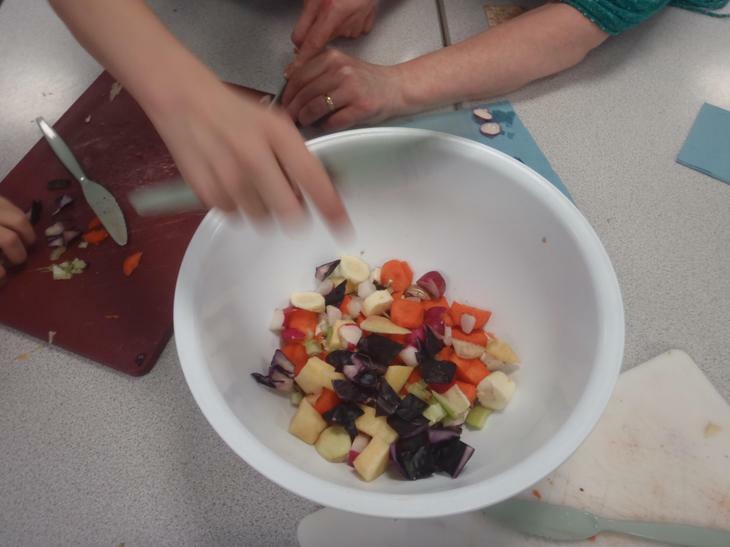 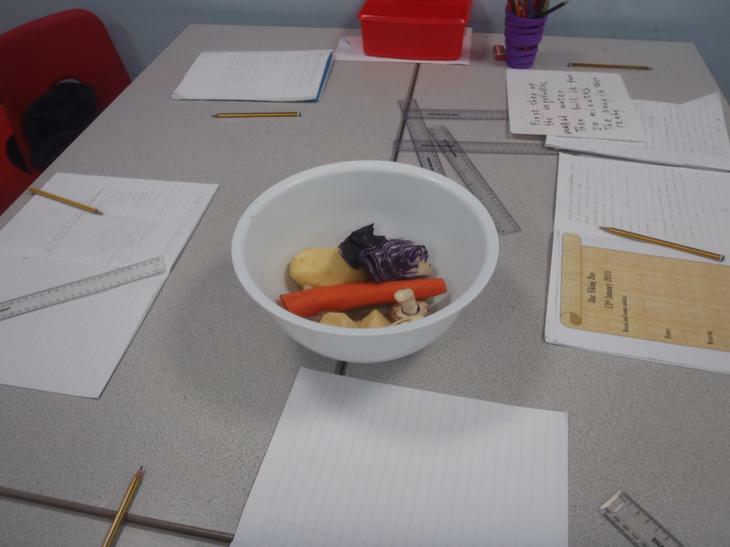 We really enjoyed eating the vegetable soup we made! 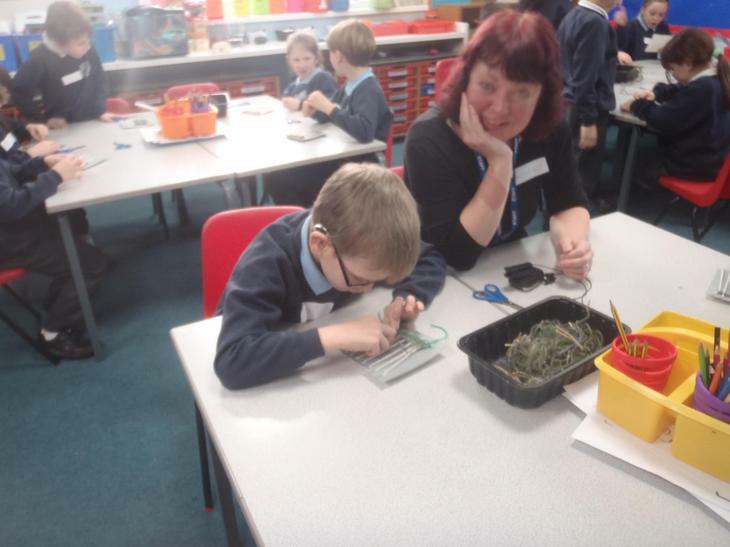 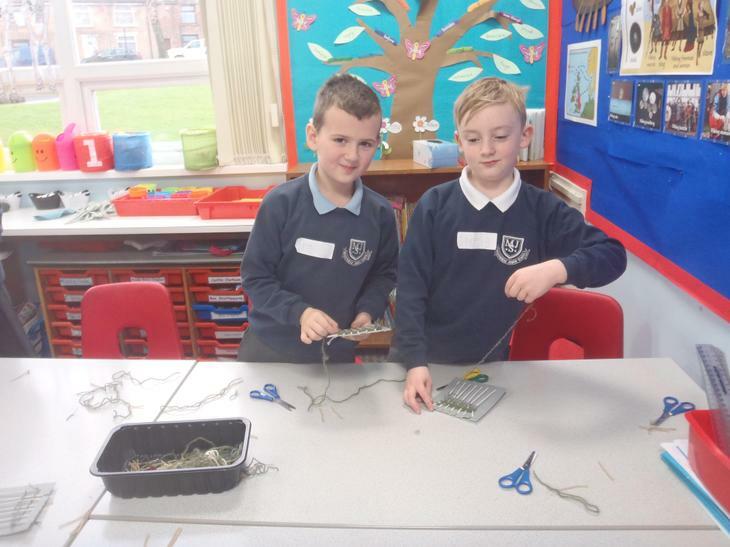 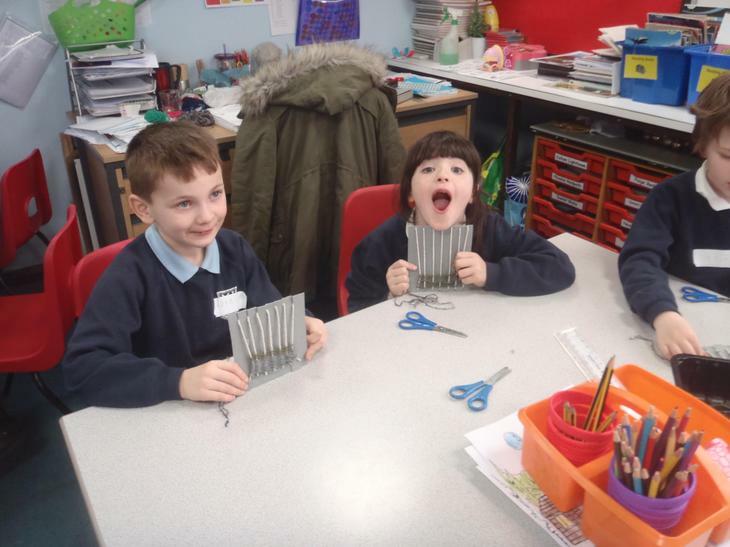 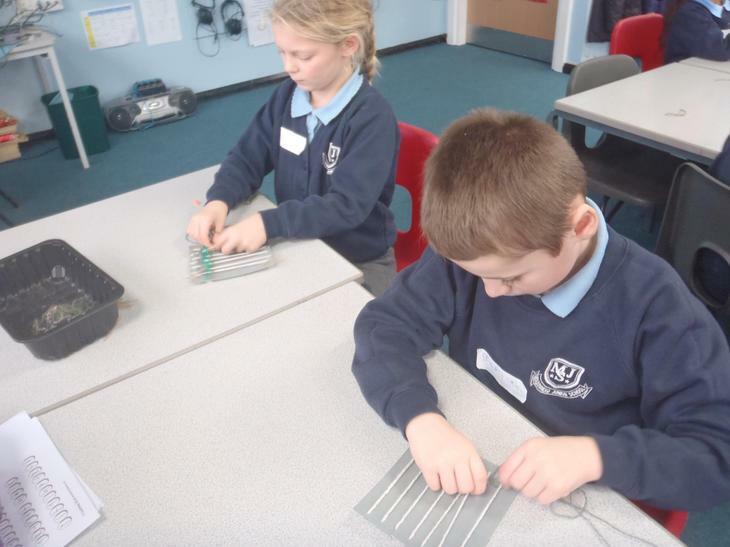 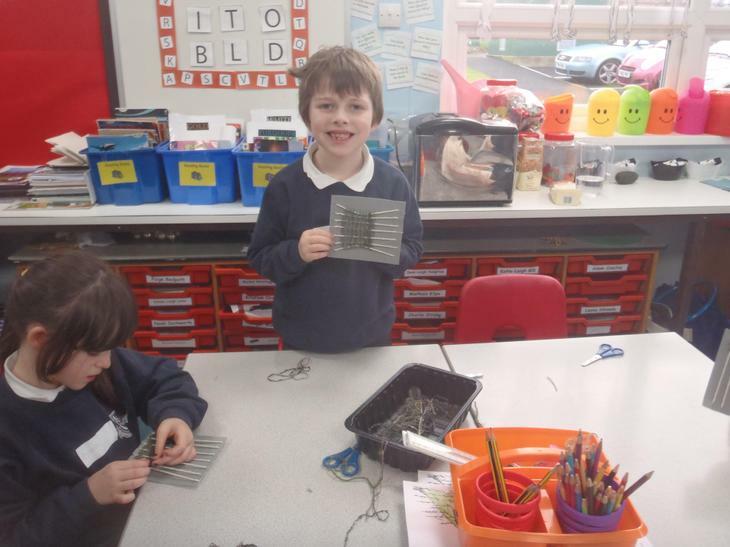 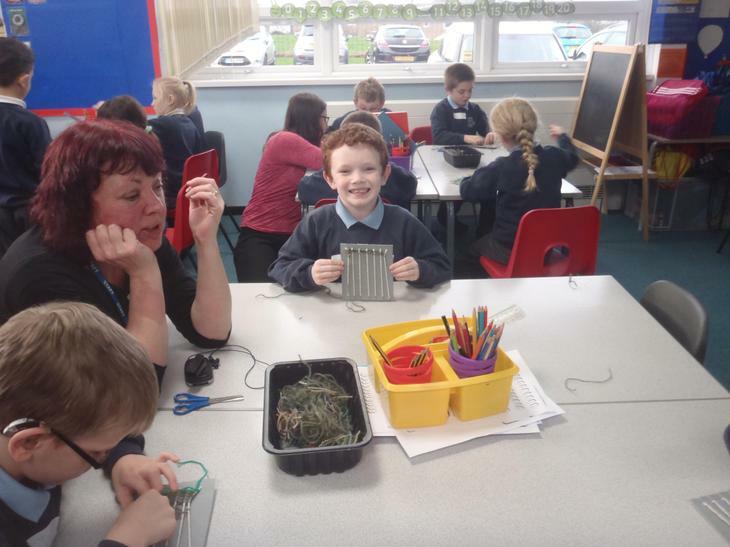 Here we are doing some Viking weaving. 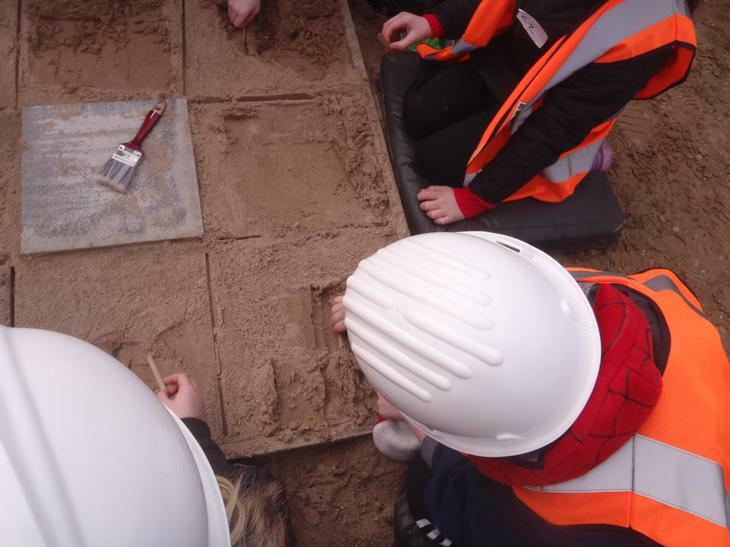 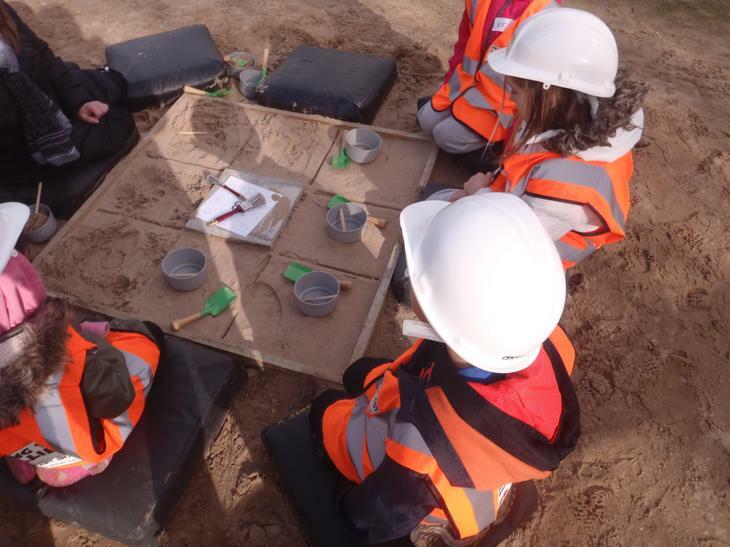 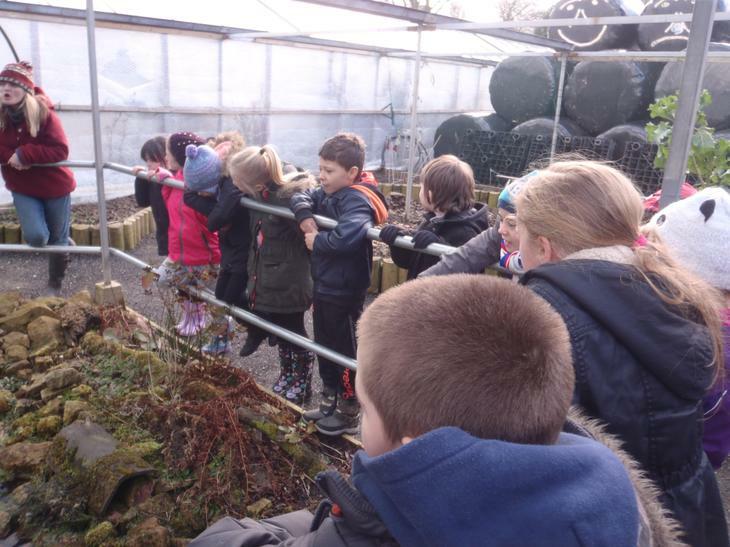 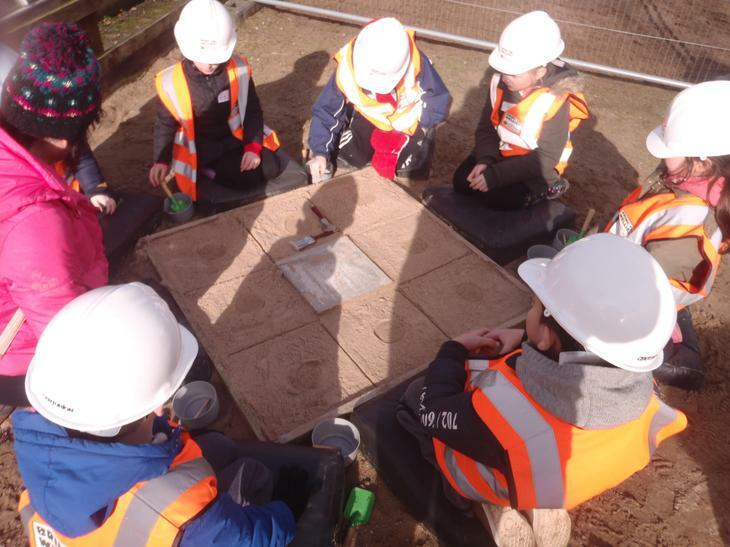 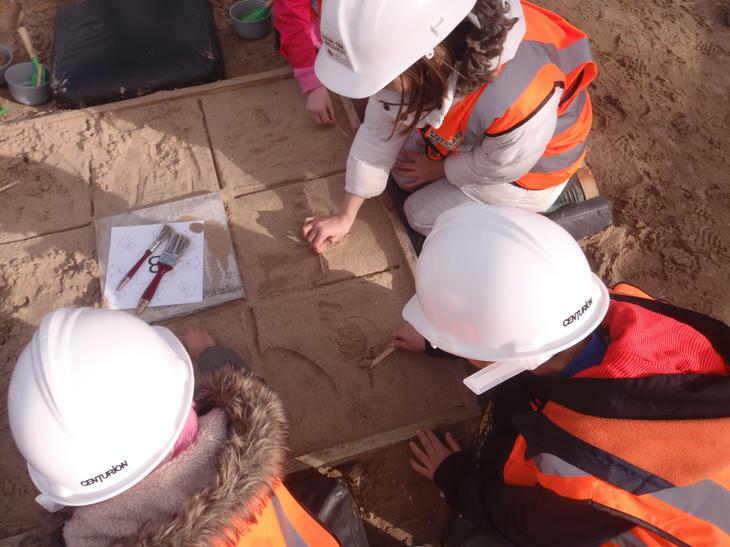 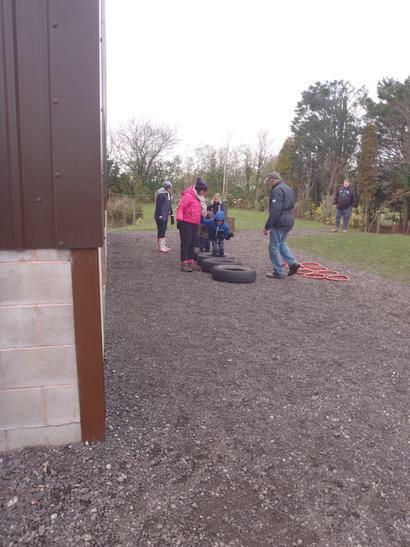 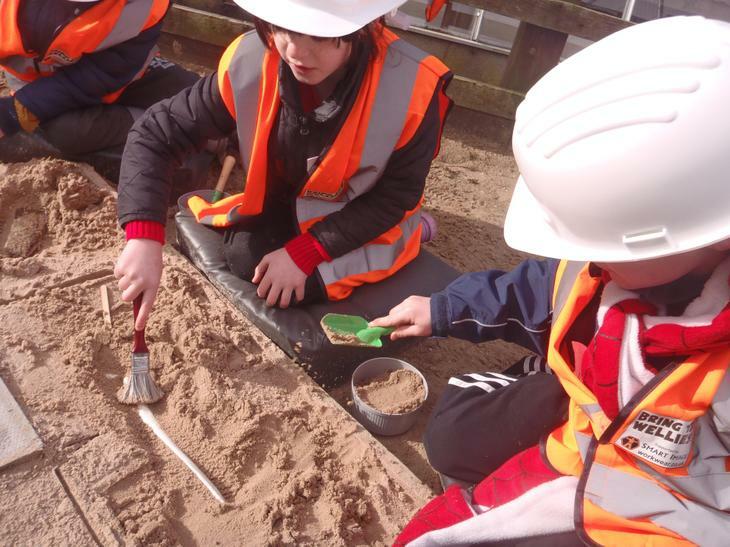 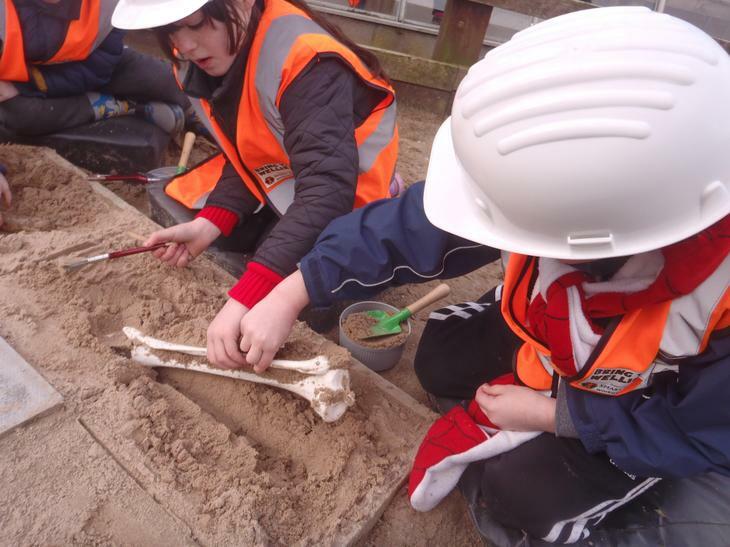 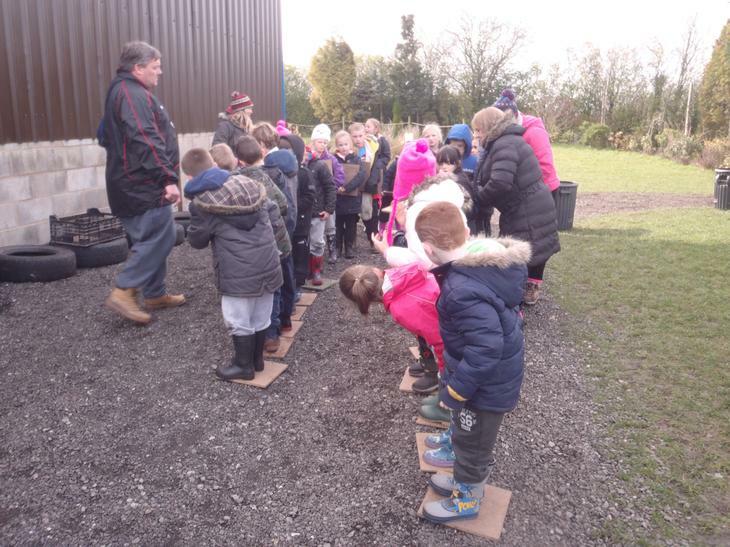 At first it was a bit tricky but after a while we found it easy! 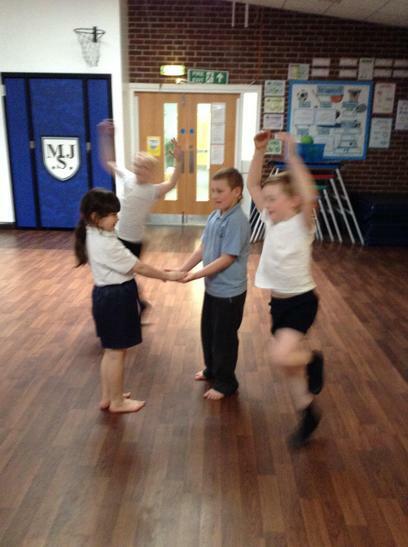 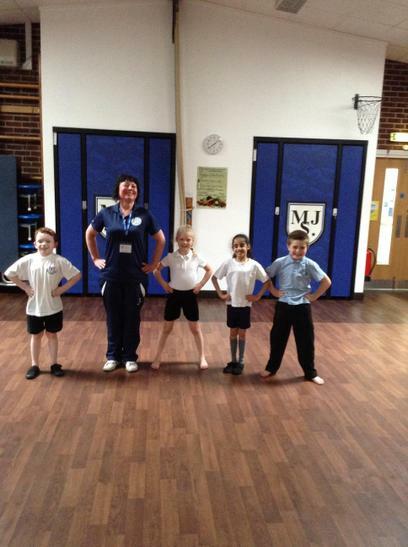 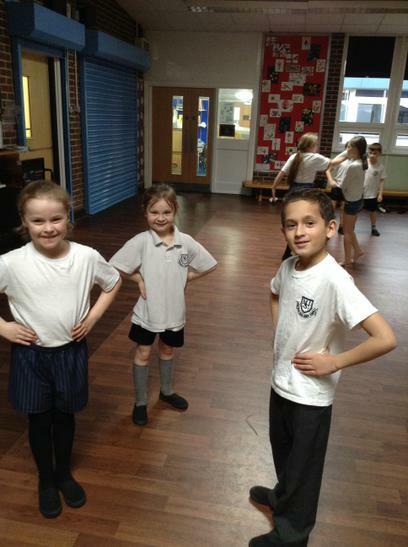 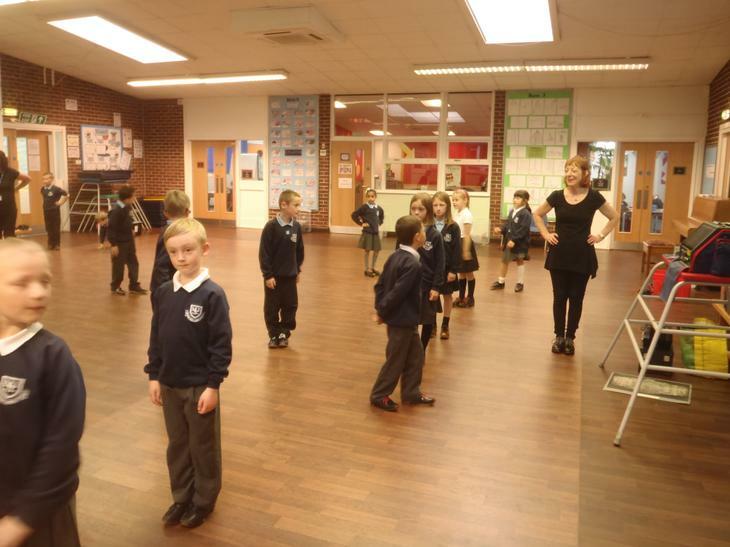 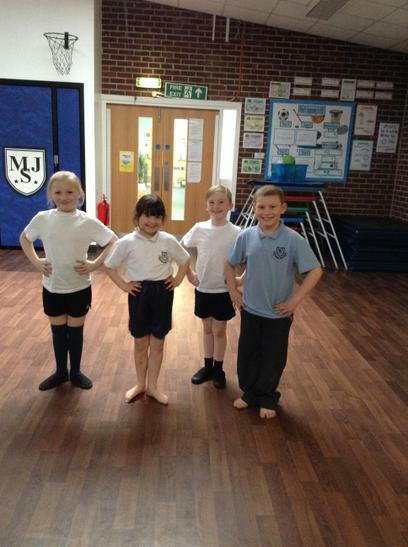 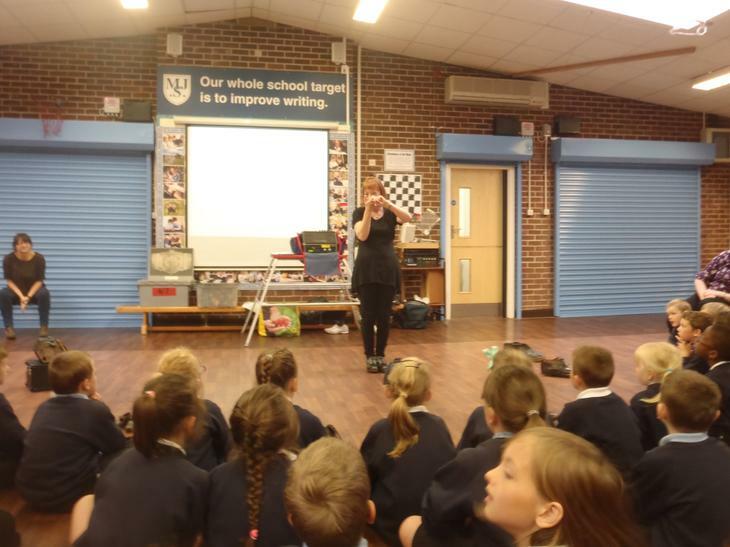 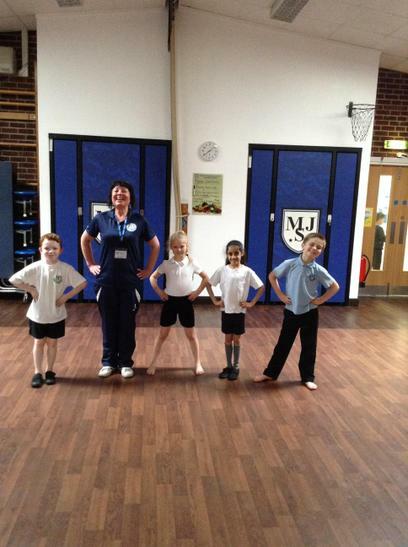 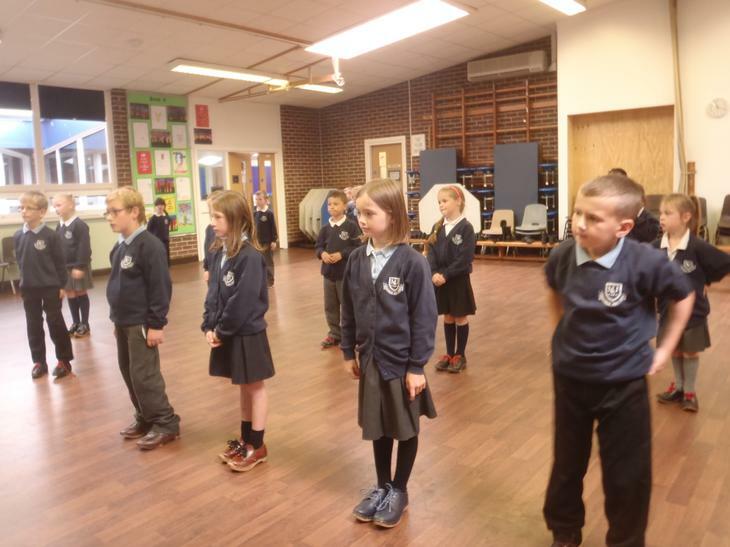 Here we are practicing our dance to perform at Darwen Vale! 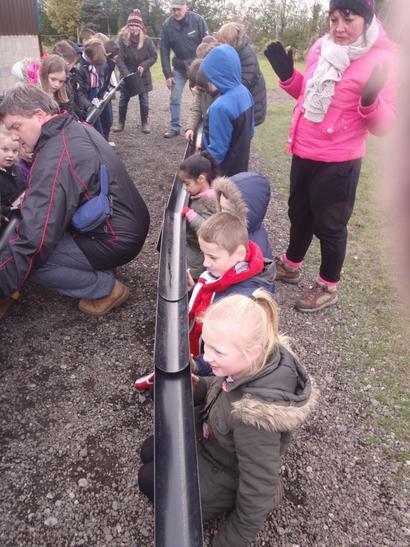 Thank you to all of the adults that supported us! 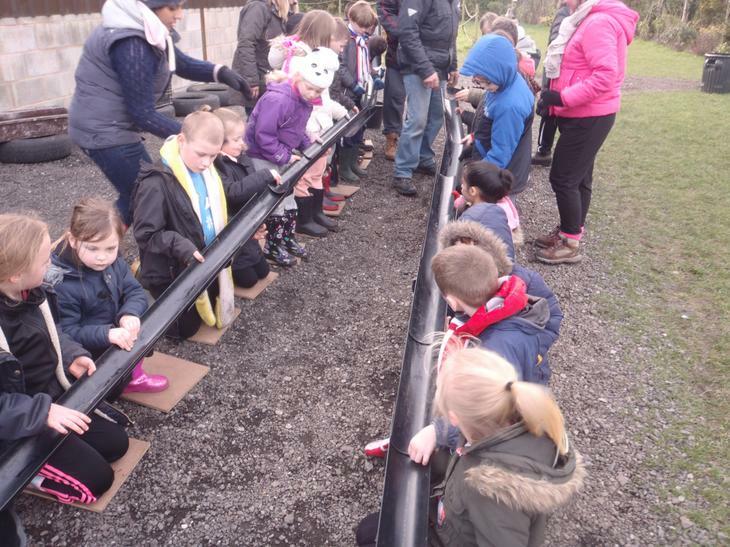 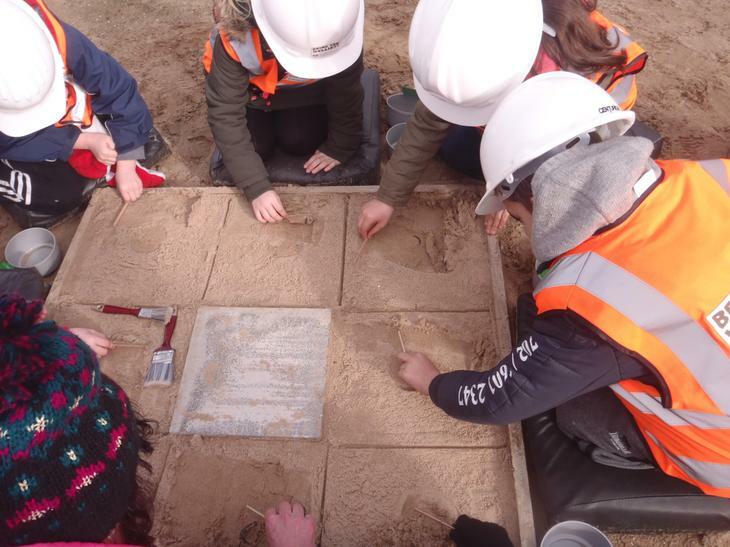 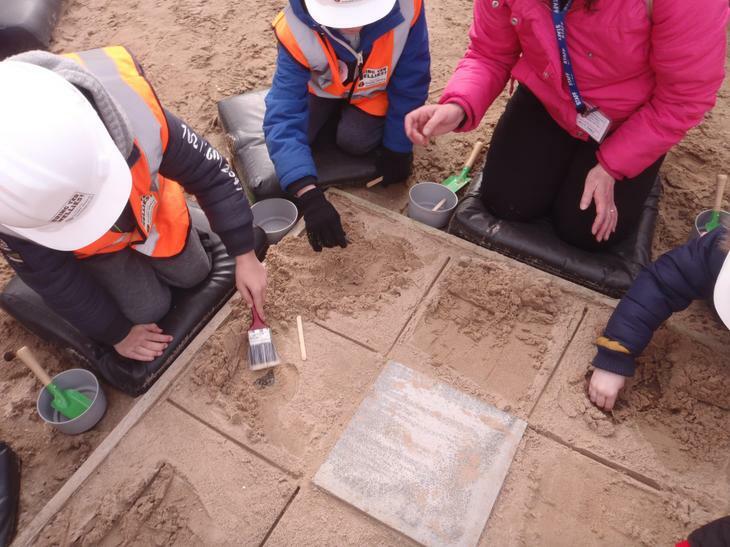 We loved doing it! 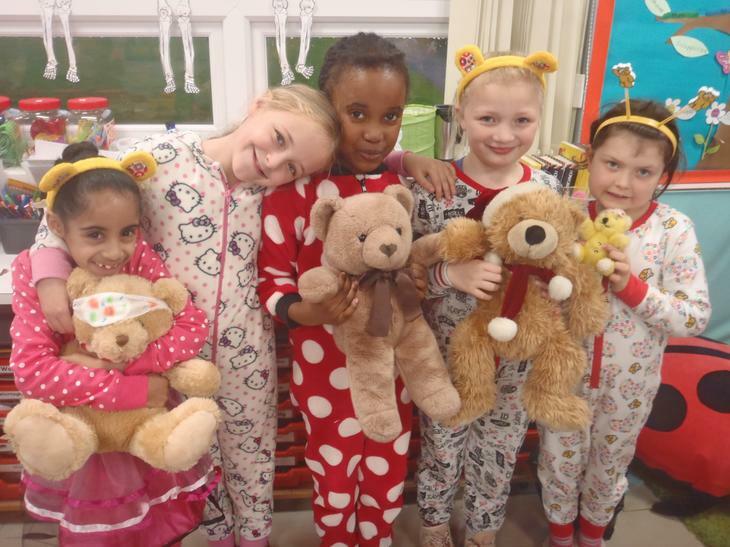 Here we are raising money for Children In Need! 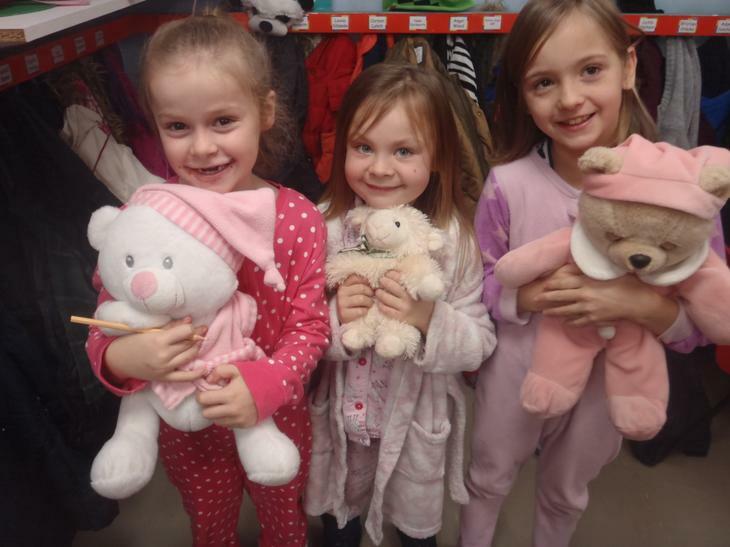 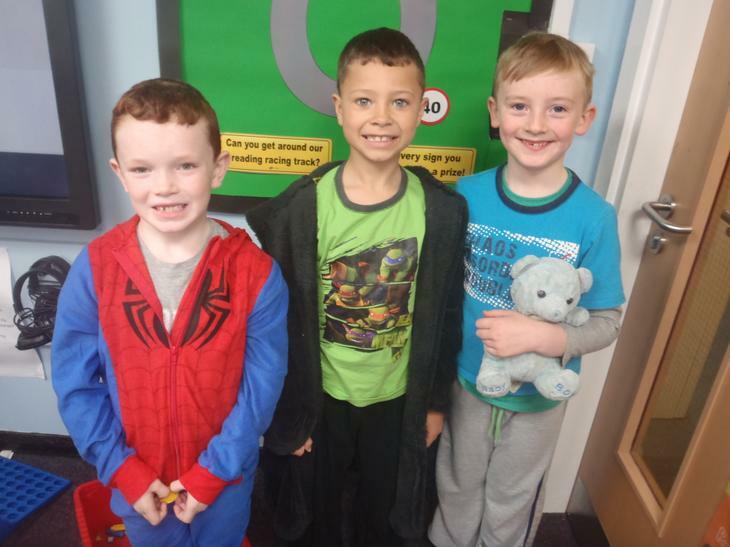 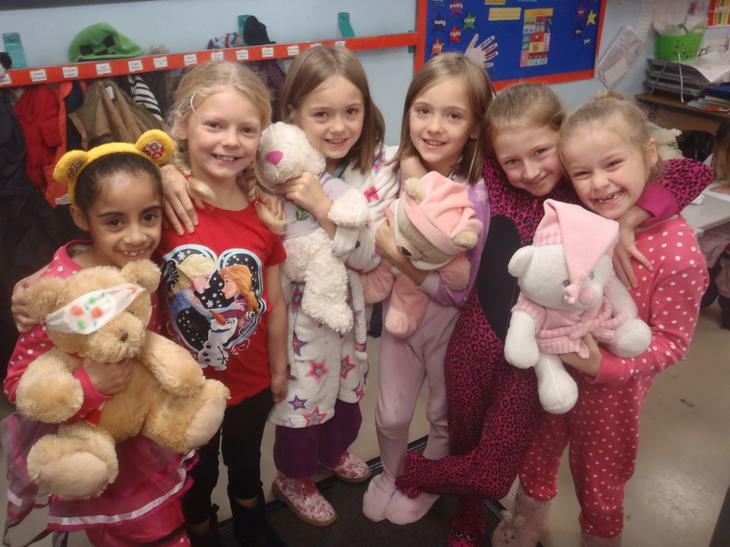 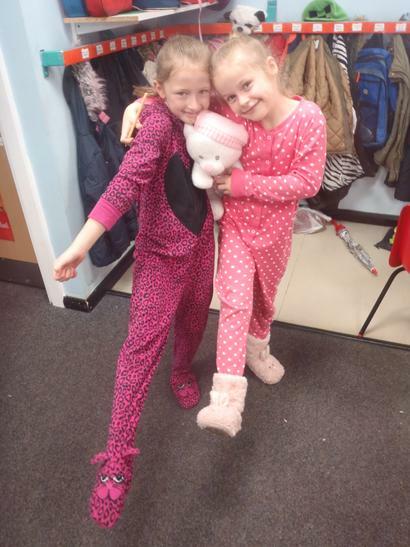 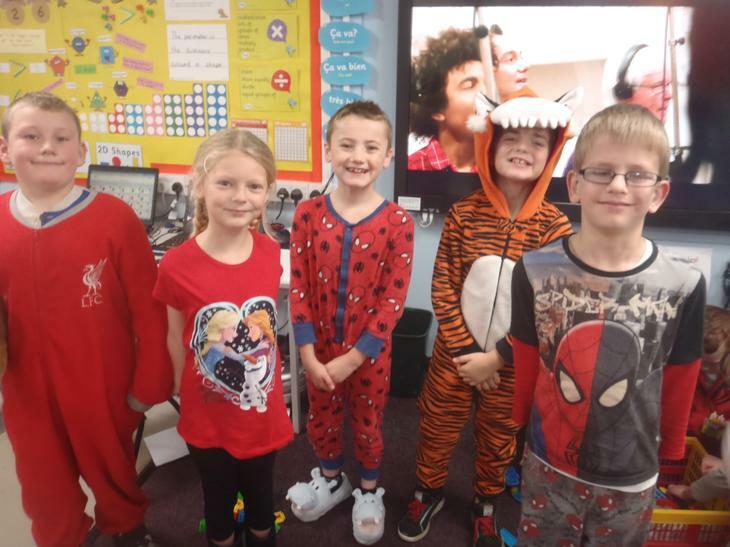 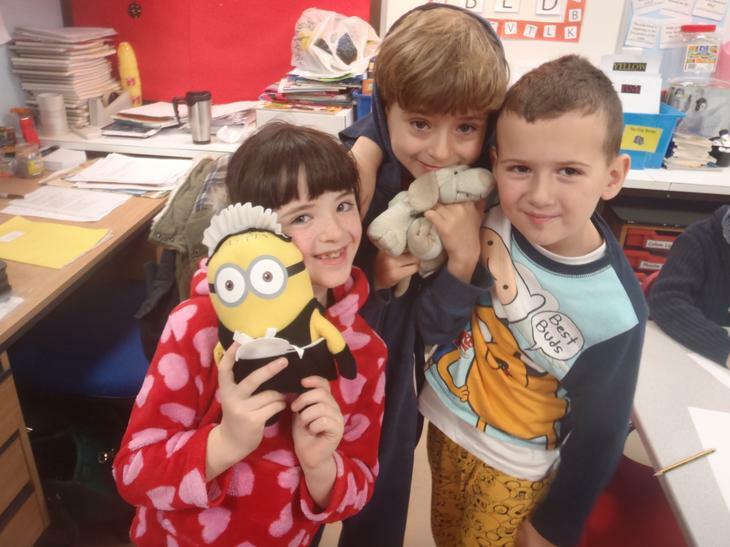 We had lots of fun being in our pyjamas all day to raise lots of money. 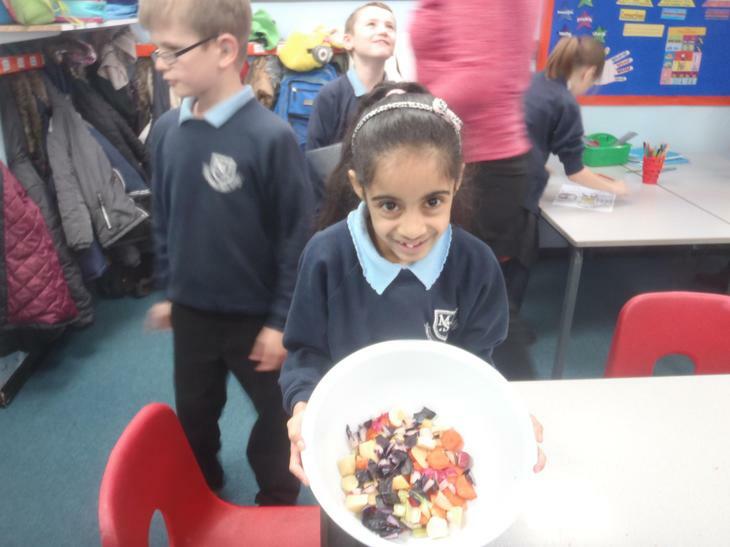 All around school we have celebrated SEWA day in many different ways. 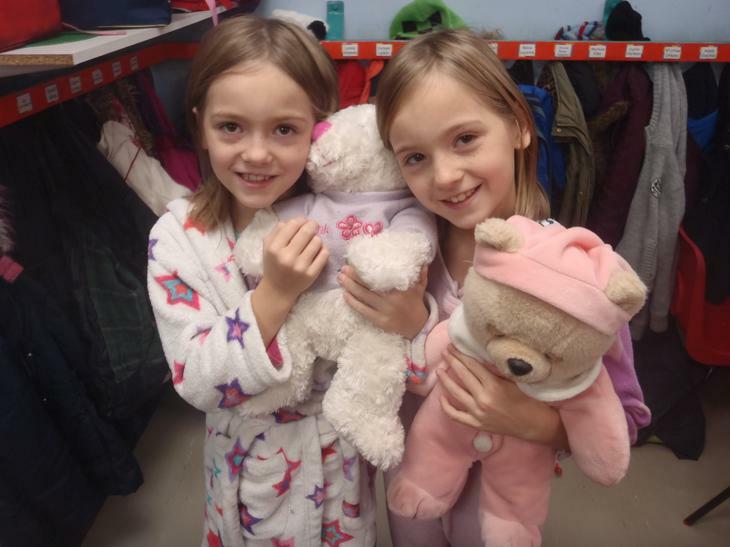 This is a day where you do something kind for somebody else and it doesn't benefit ourselves in any way. 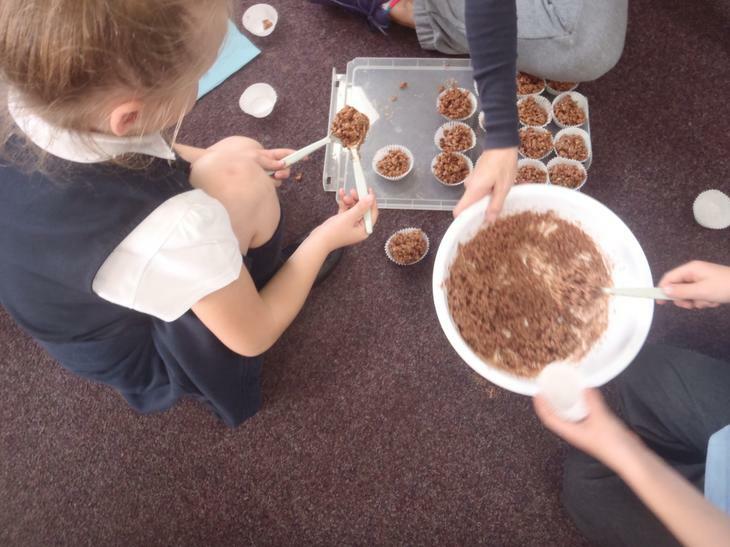 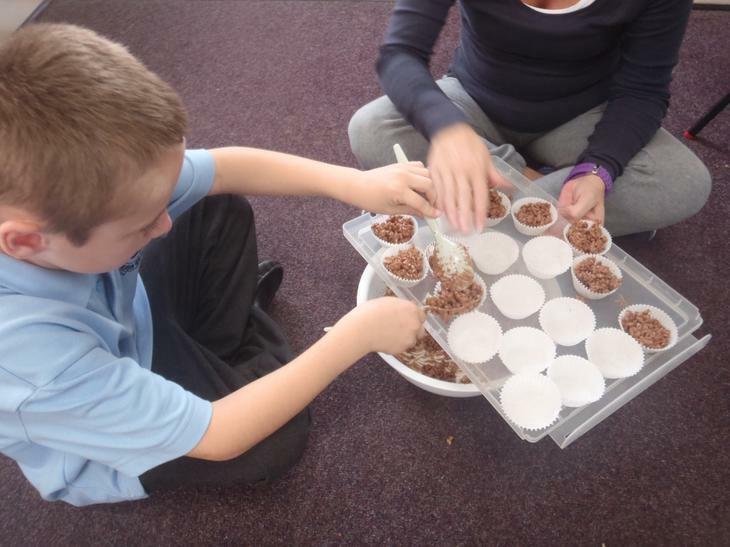 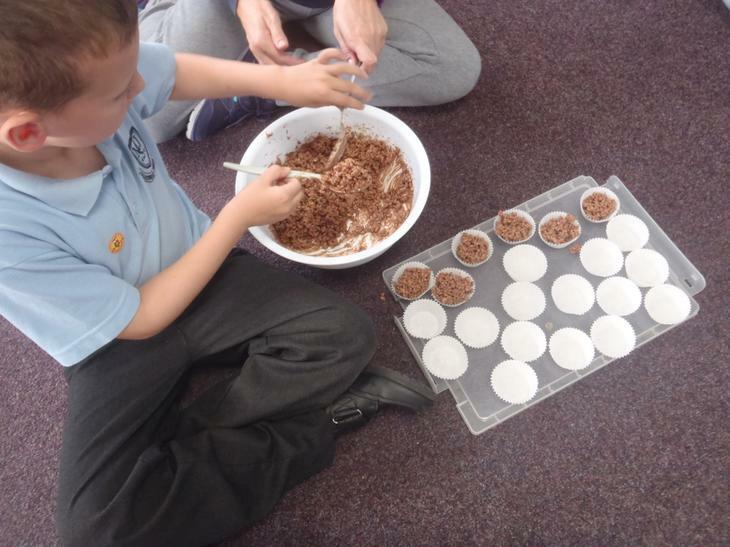 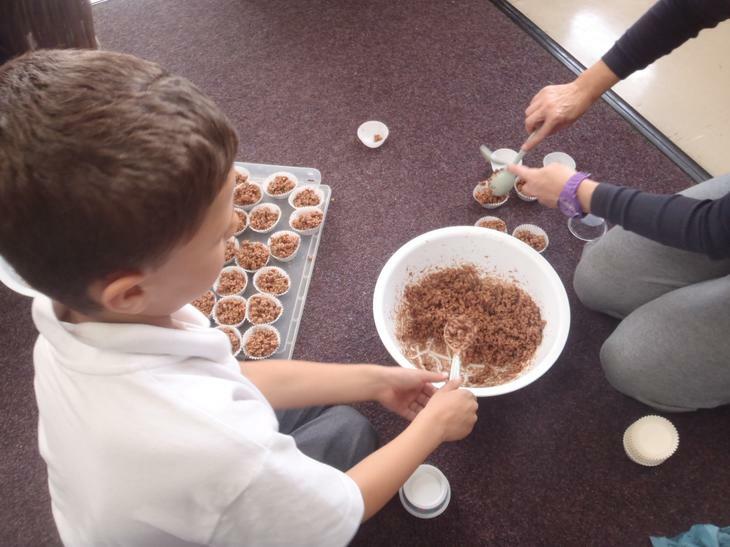 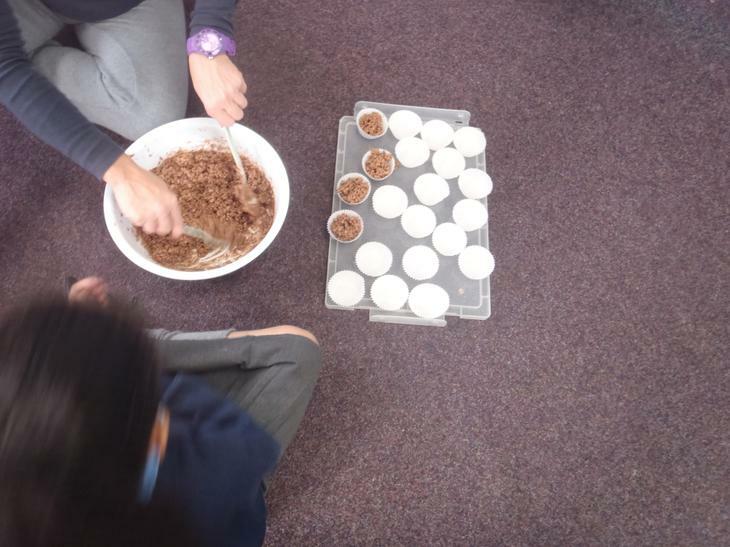 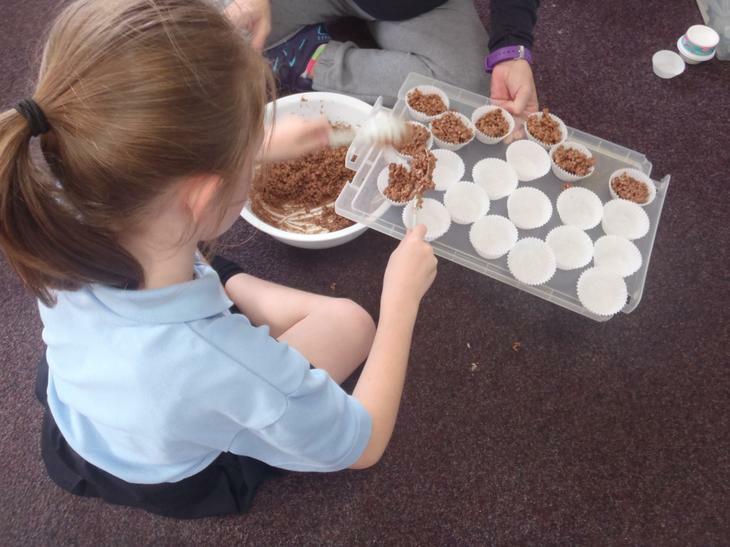 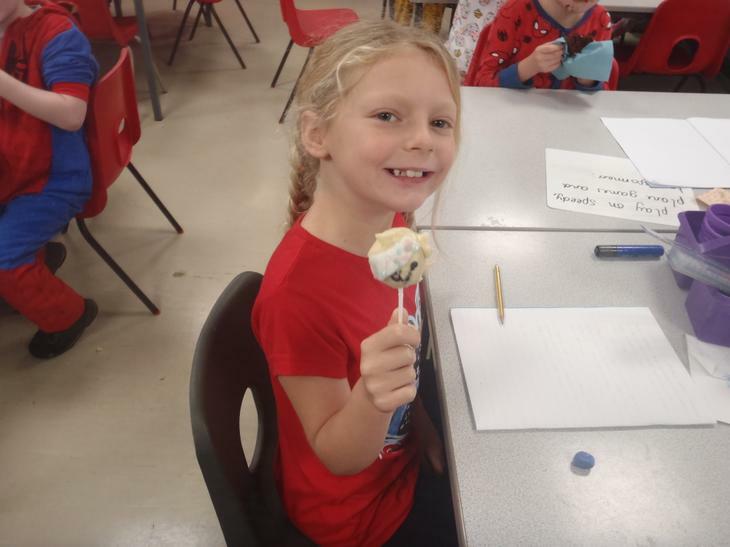 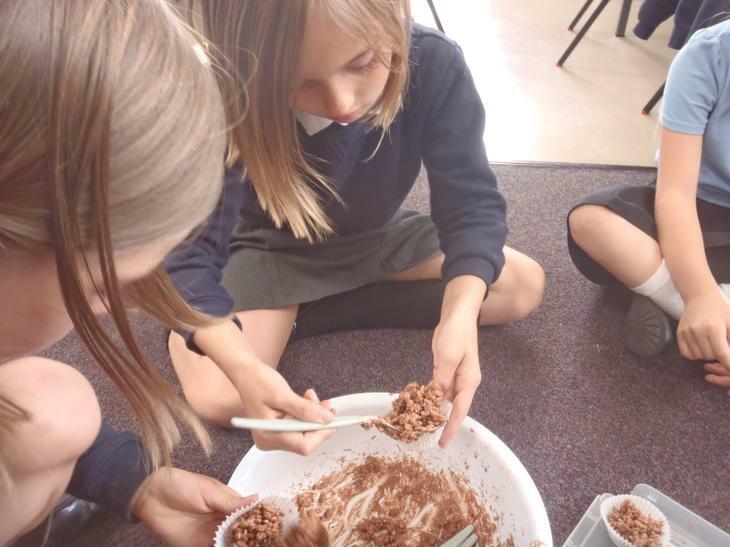 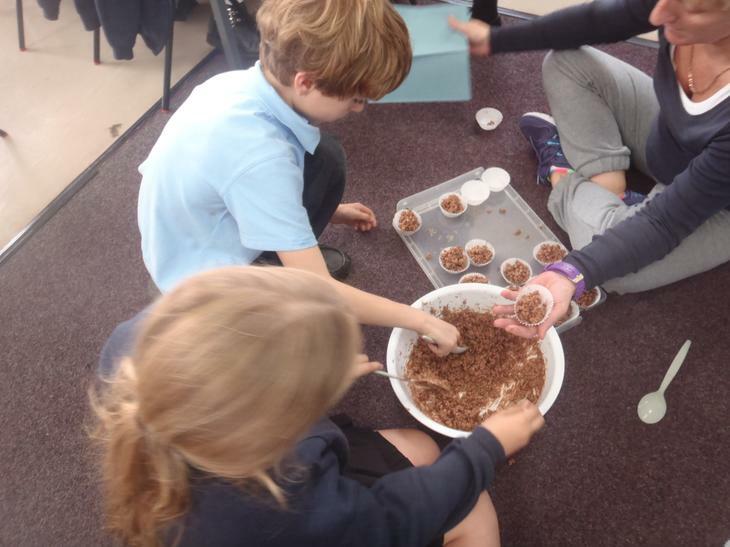 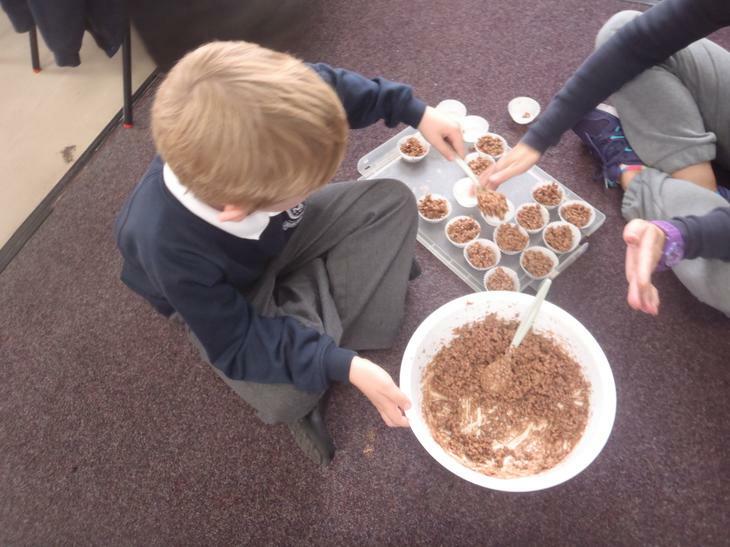 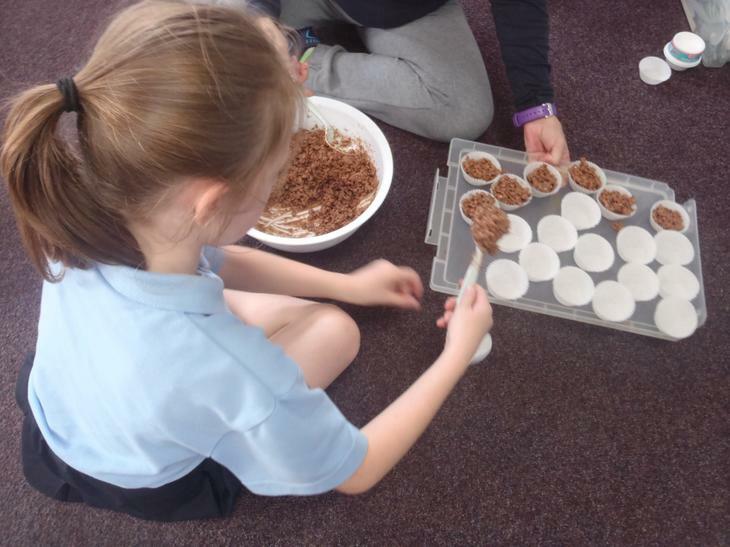 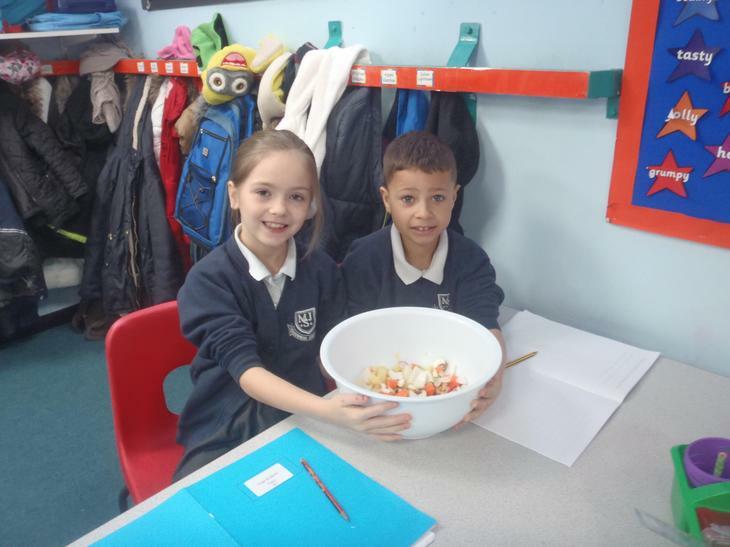 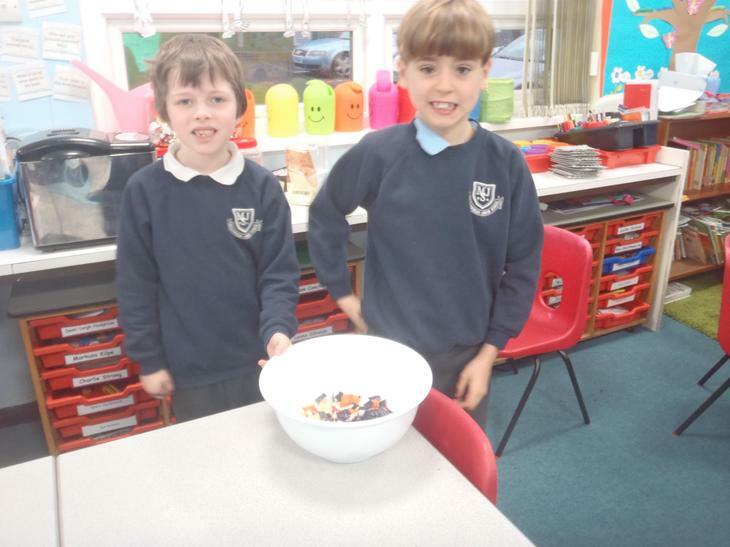 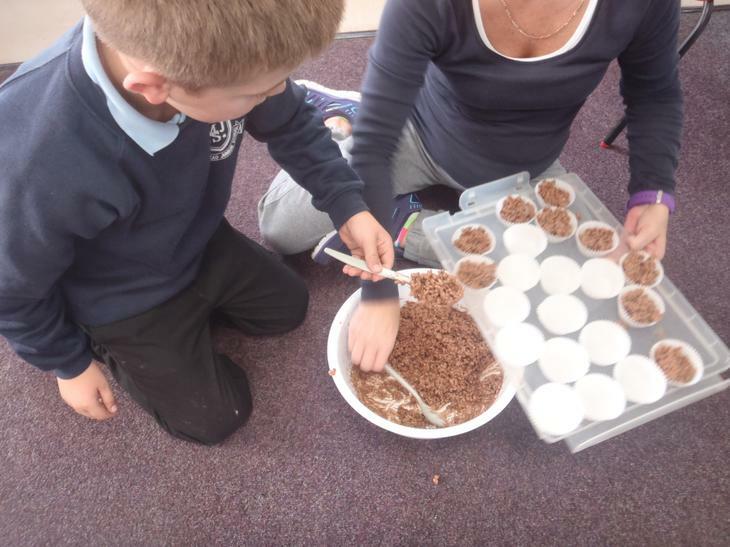 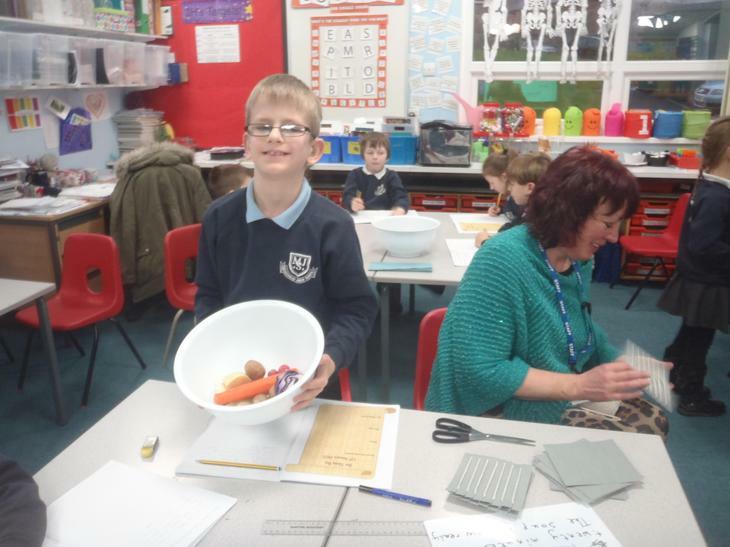 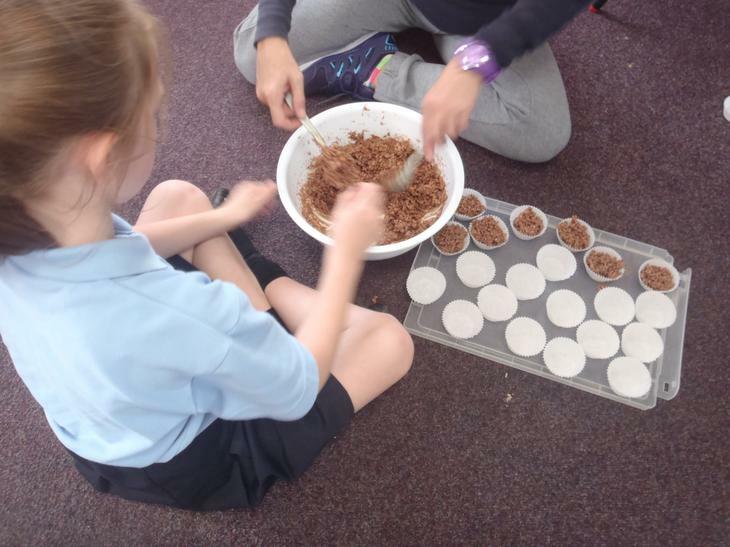 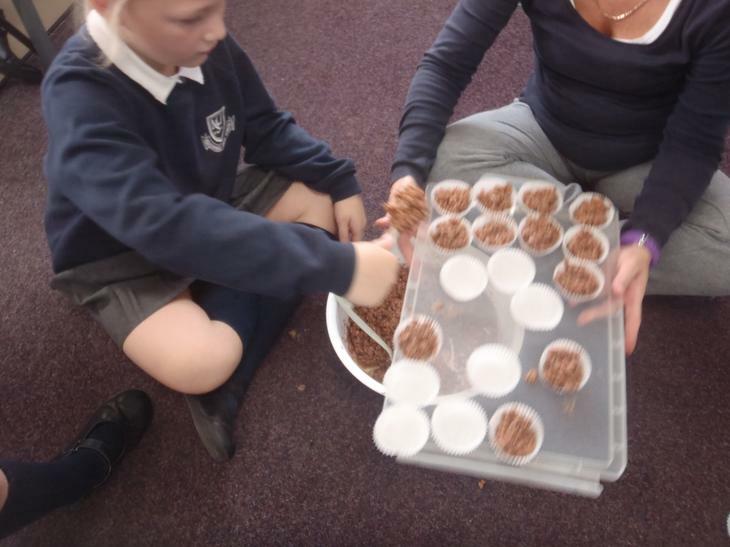 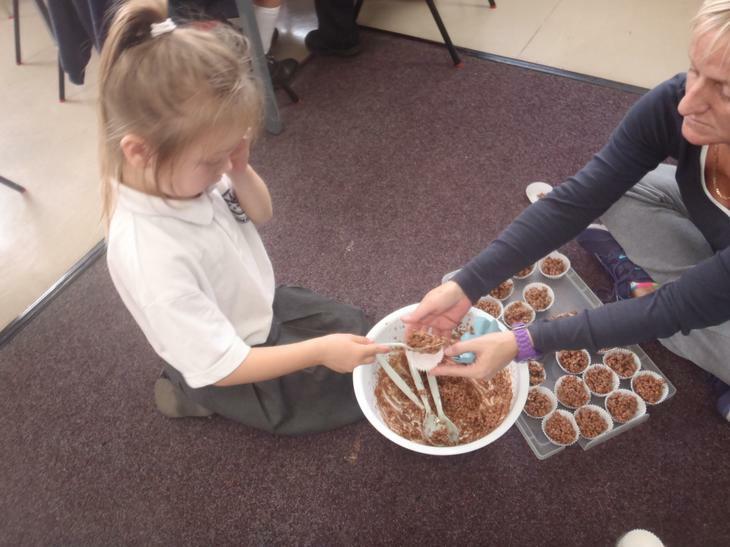 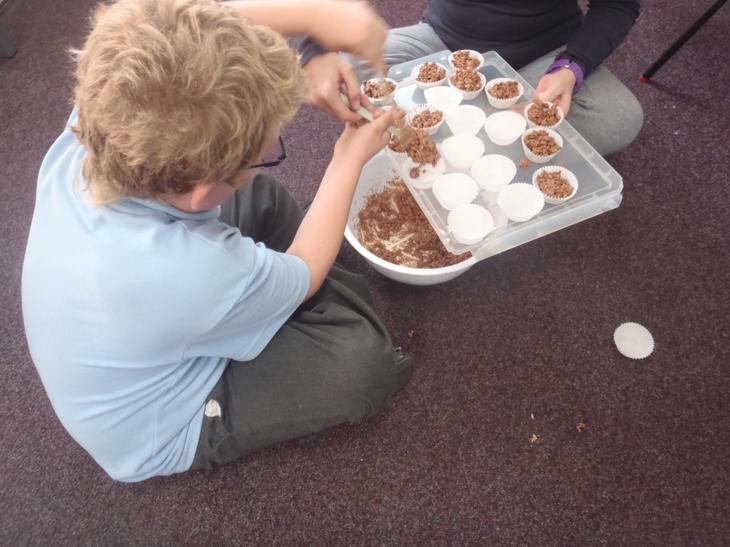 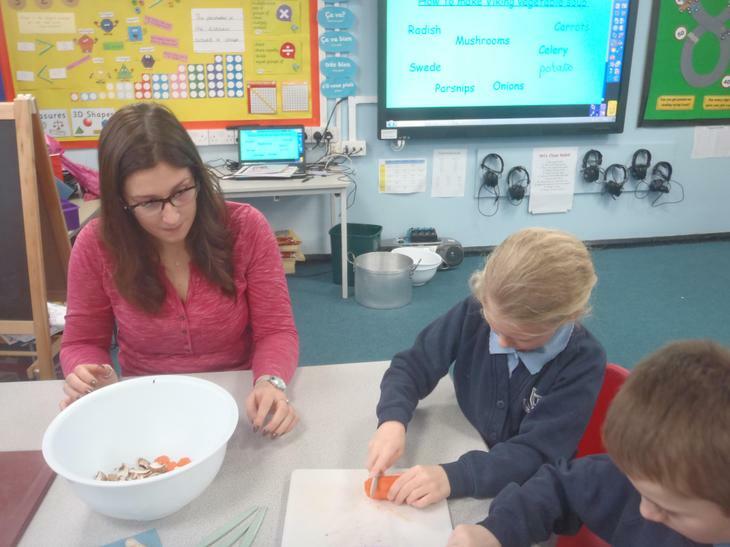 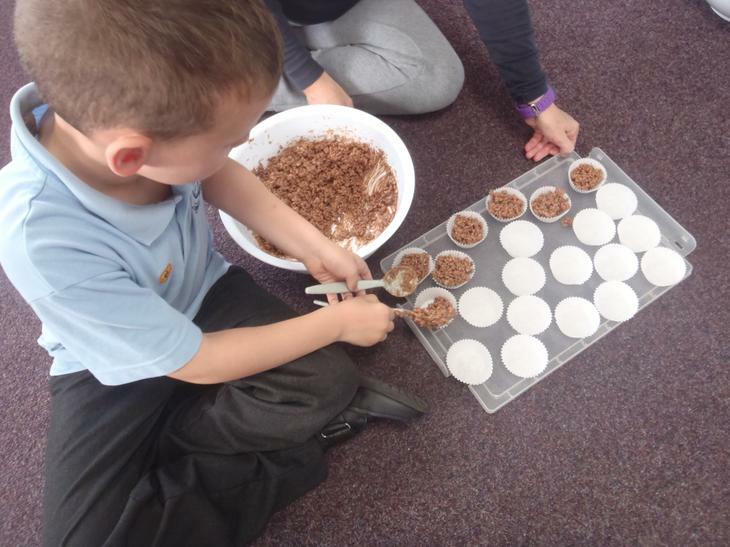 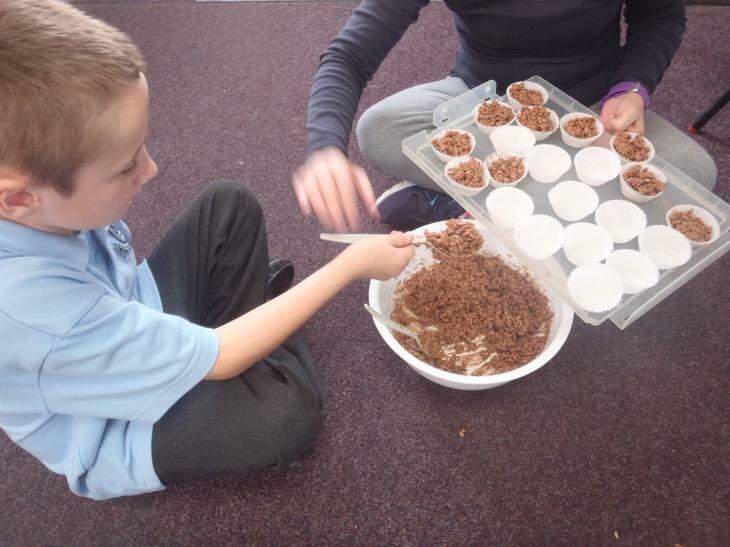 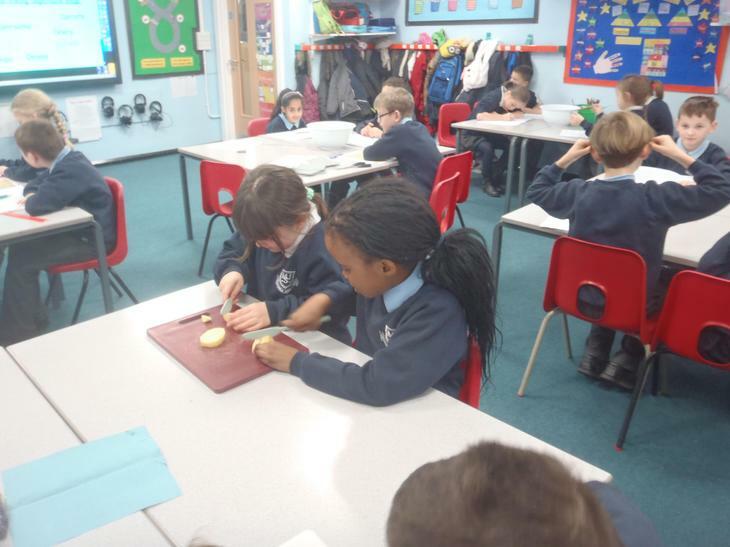 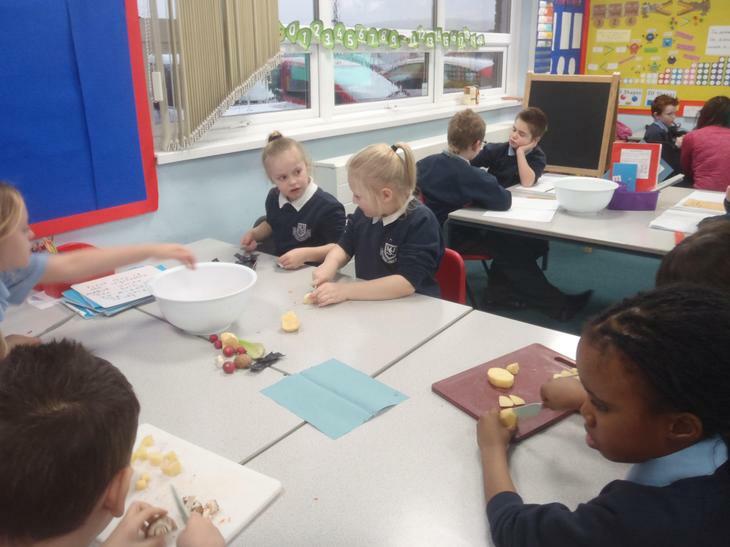 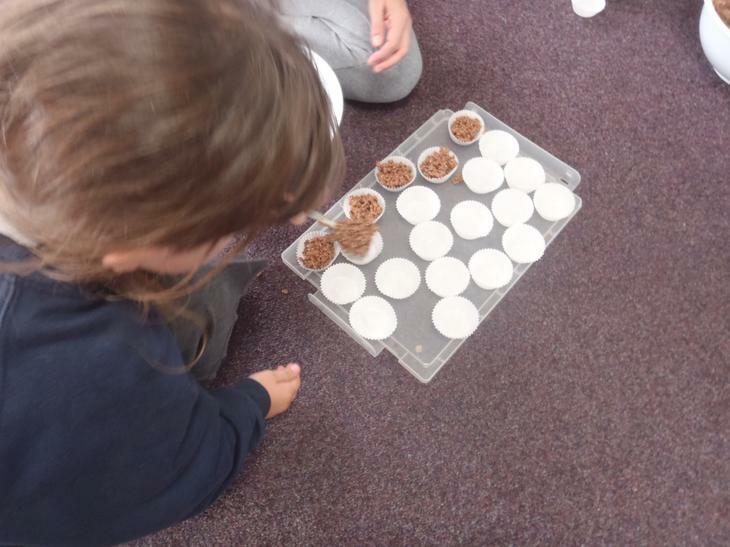 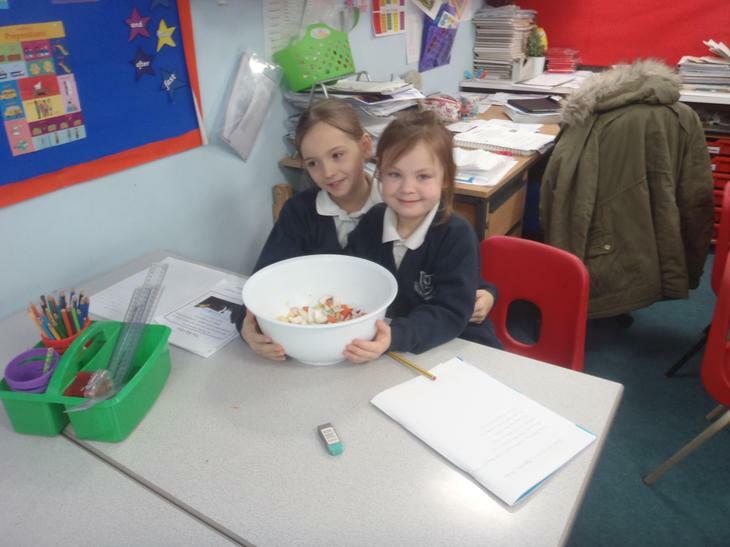 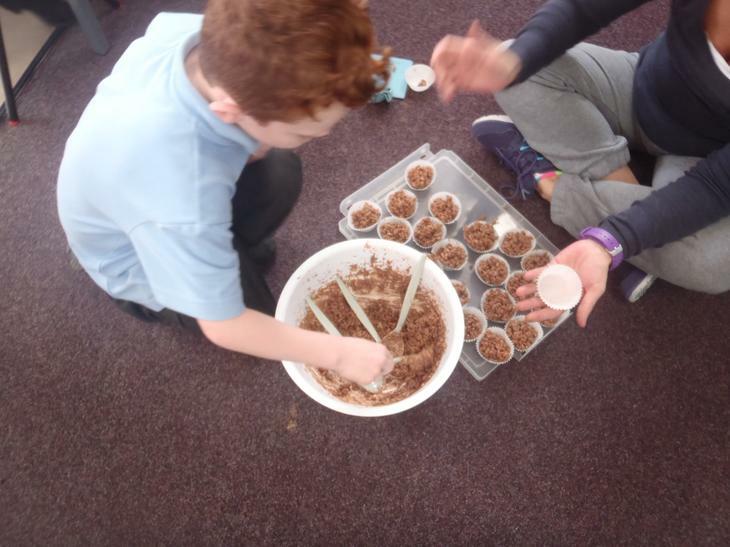 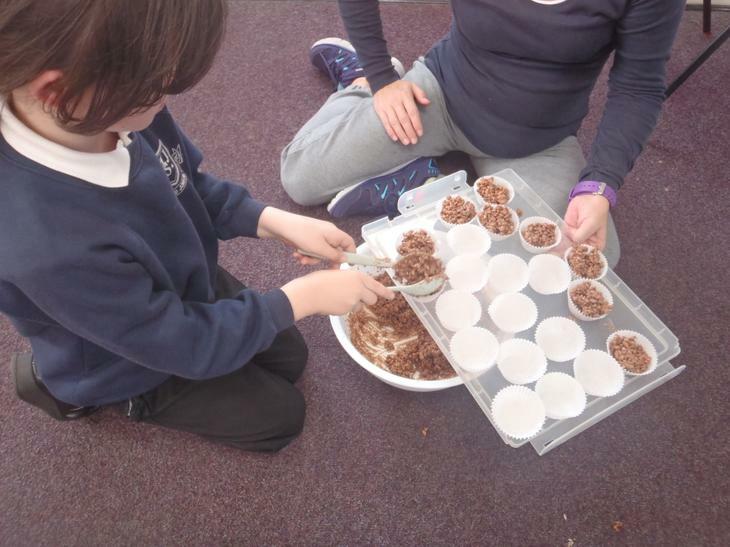 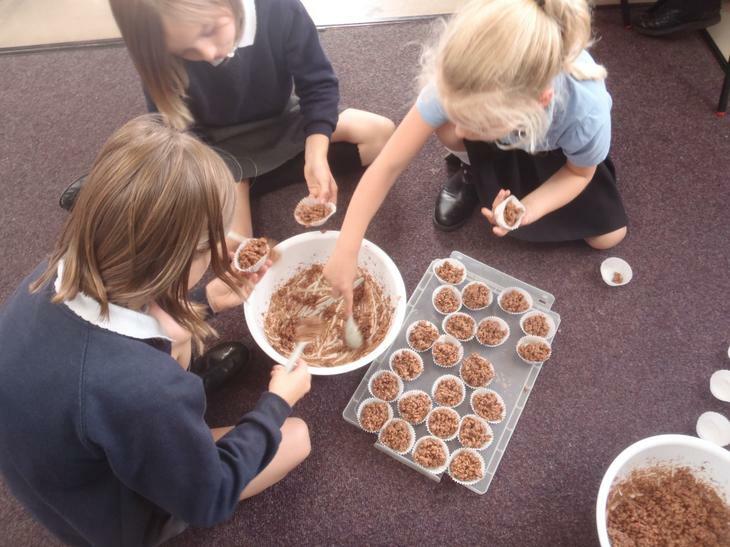 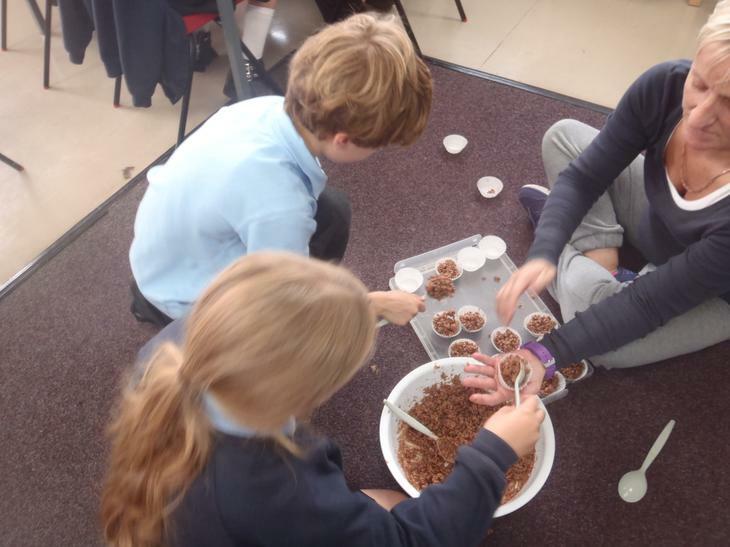 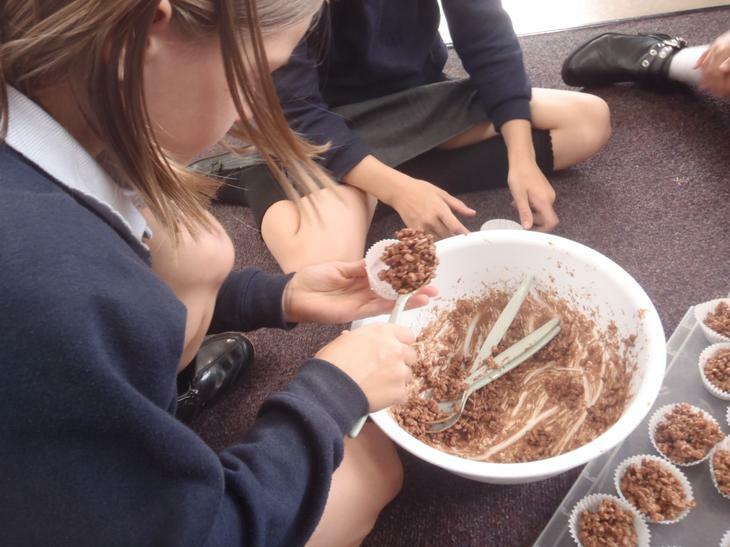 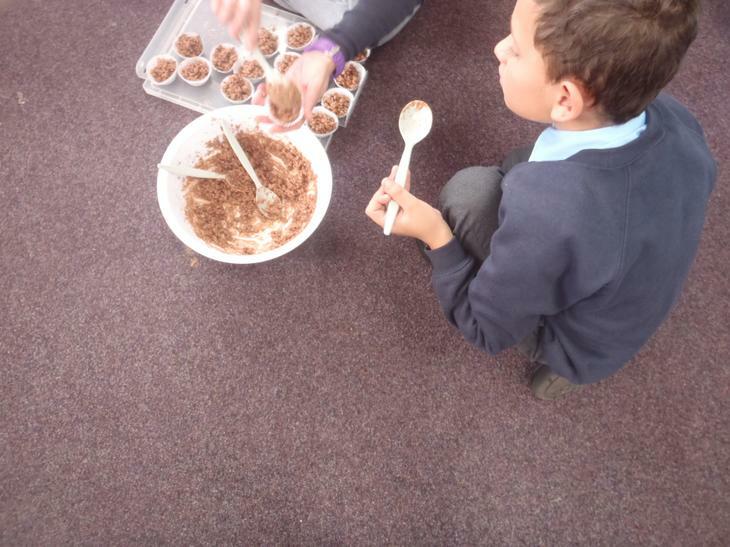 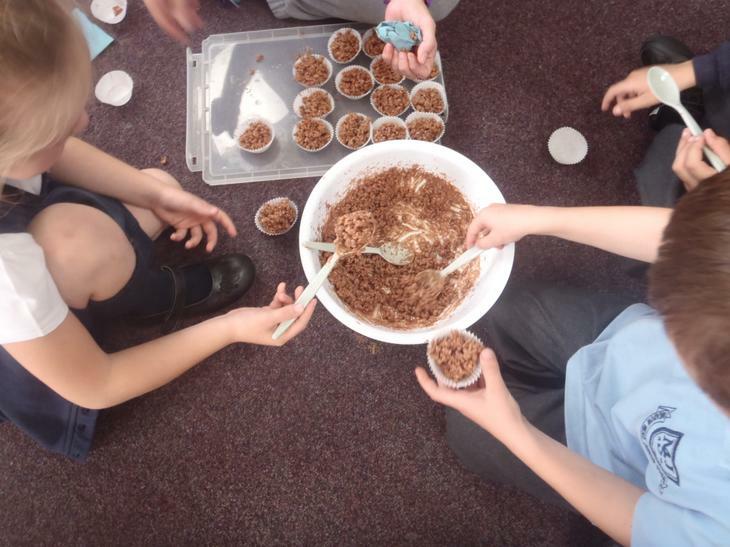 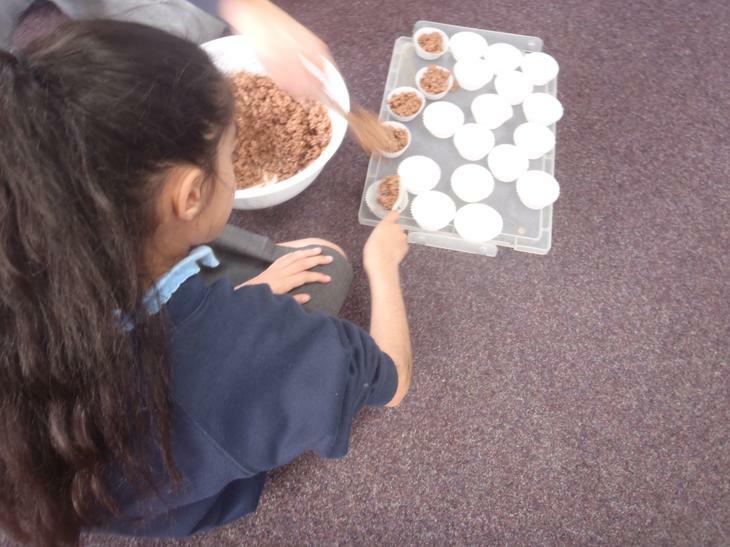 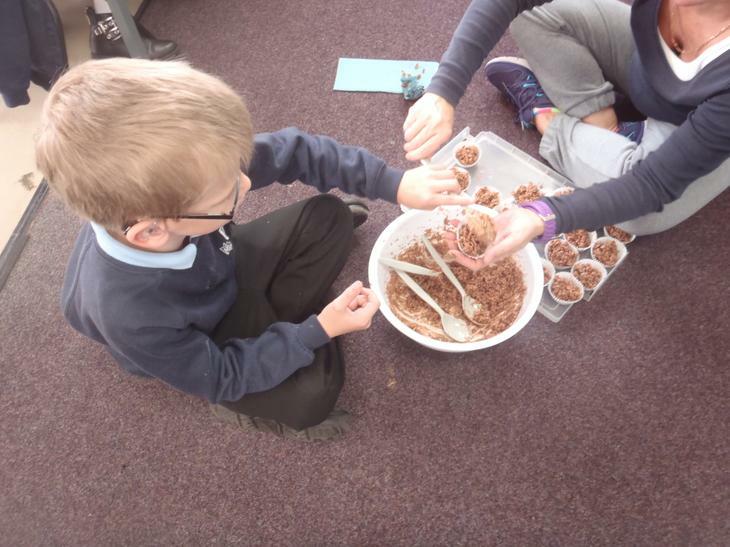 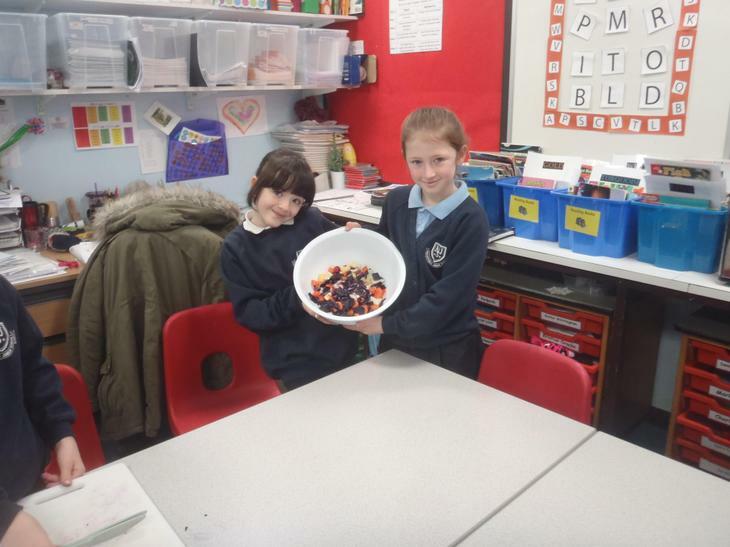 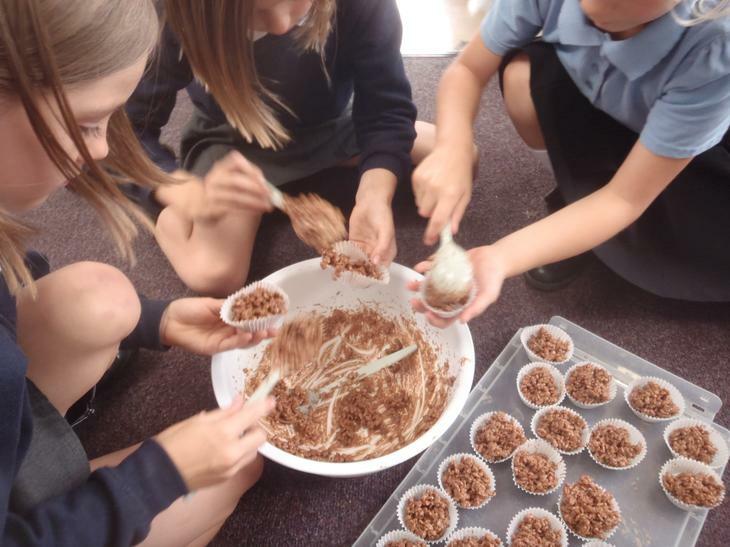 In 3H we made rice crispie cakes to give to a friend or family member. 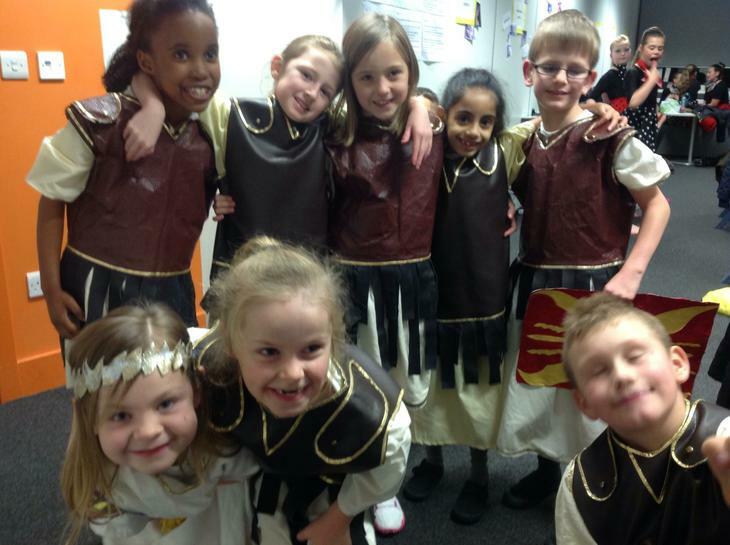 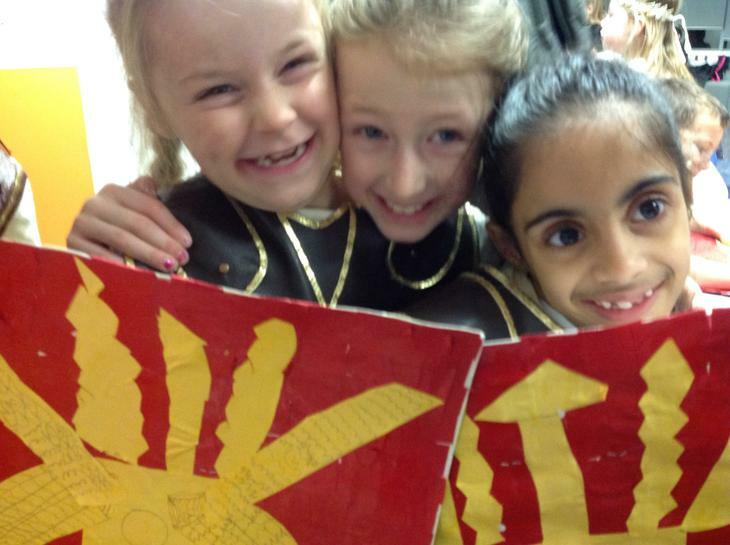 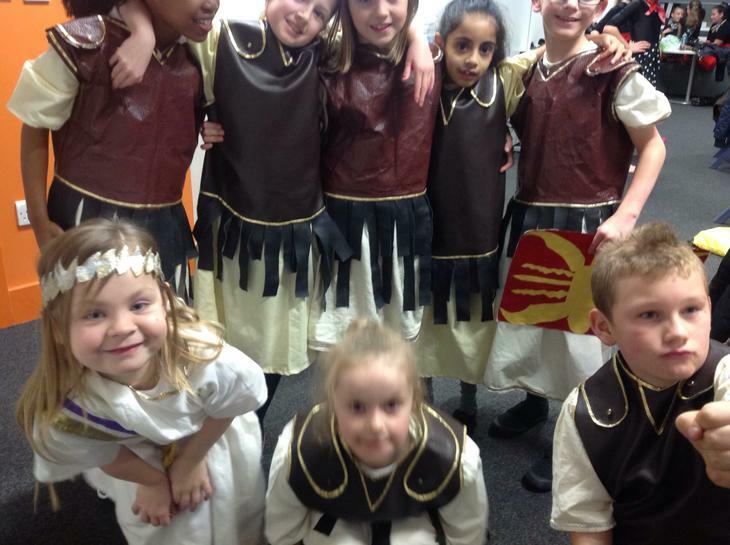 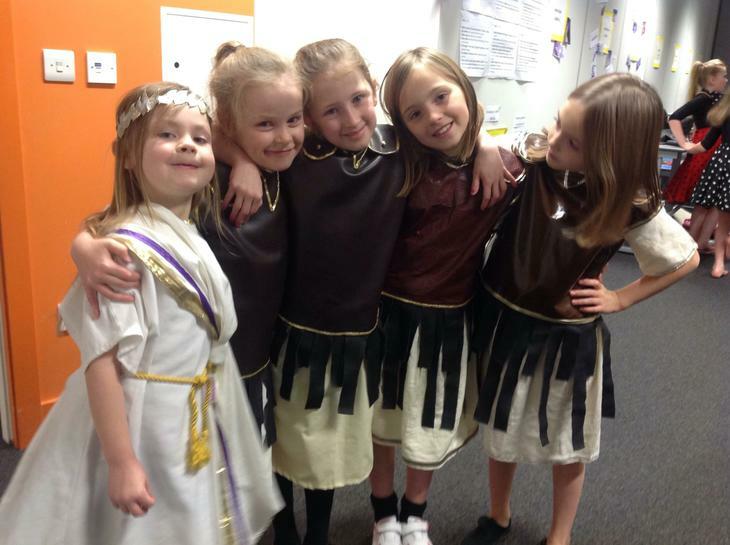 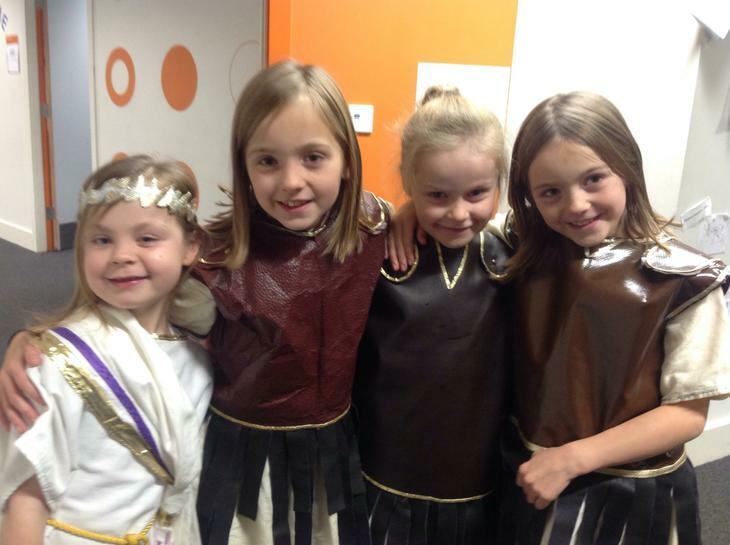 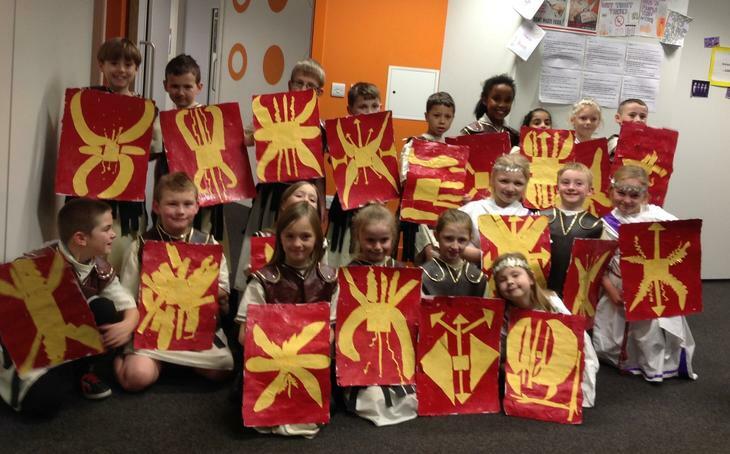 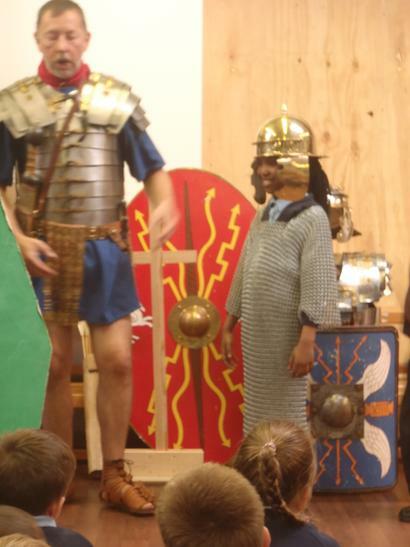 In 3H we have started to learn about the Romans. 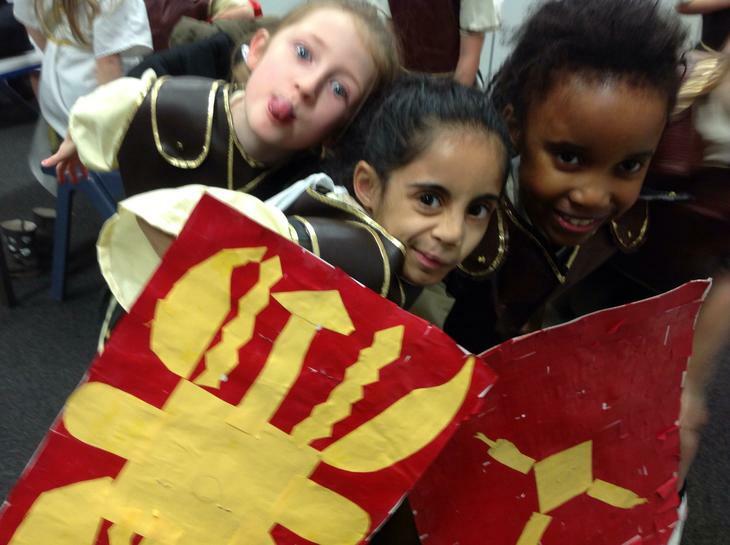 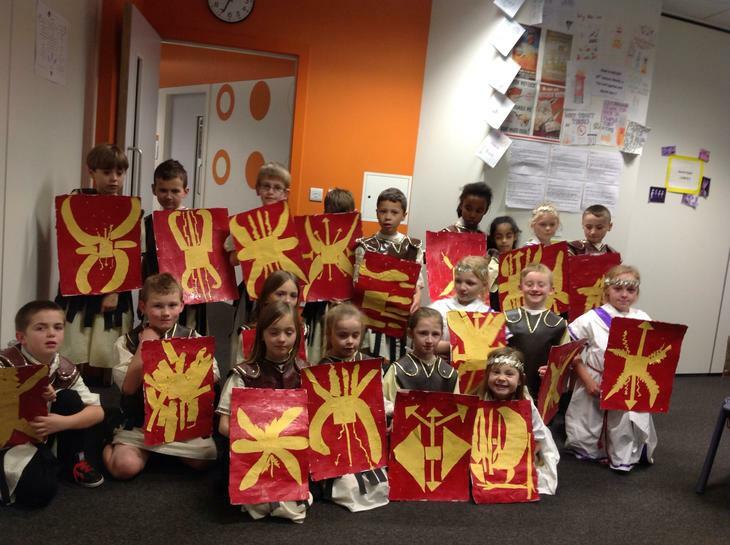 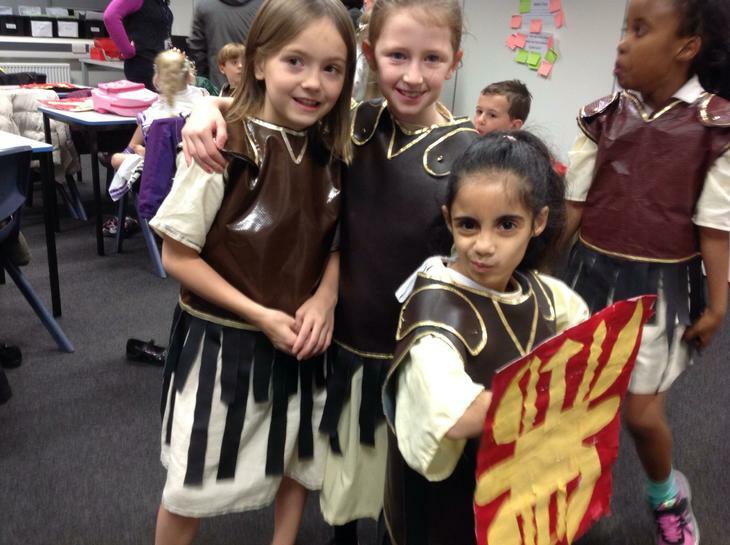 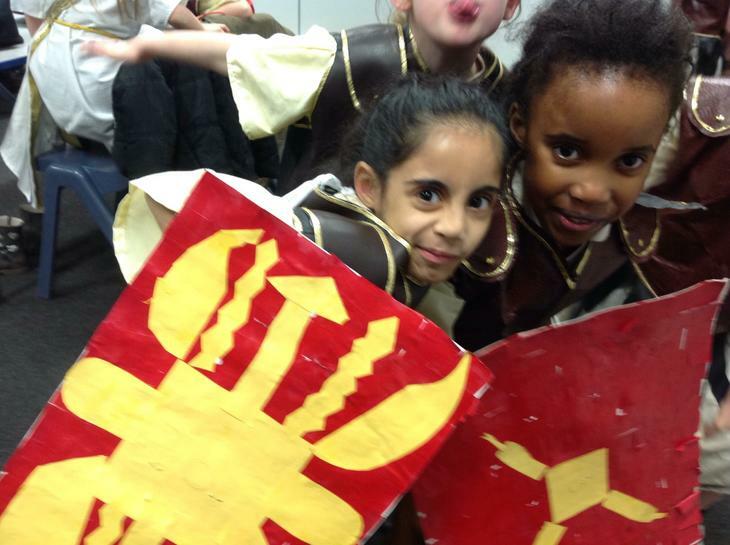 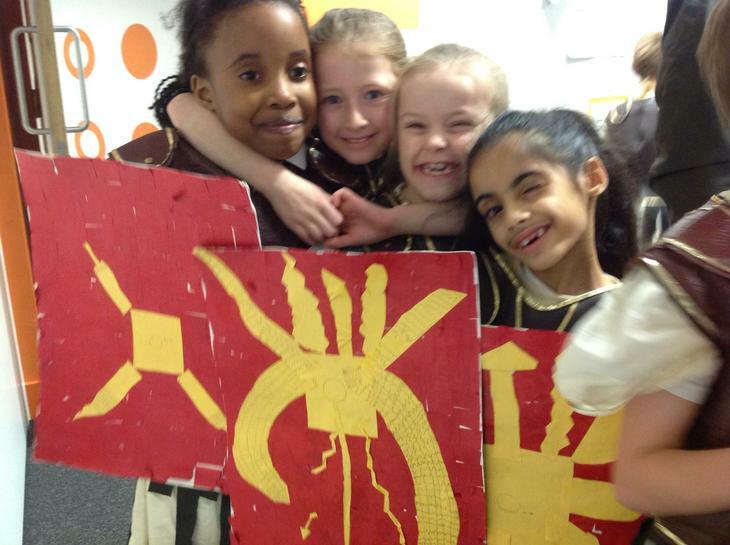 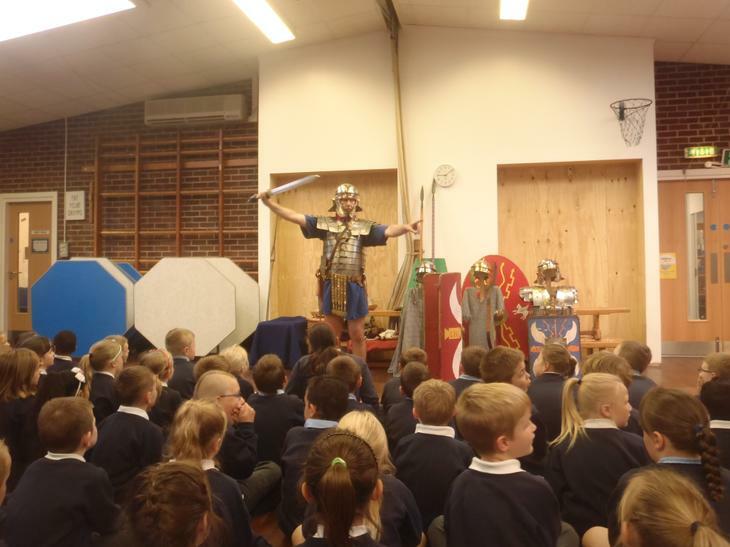 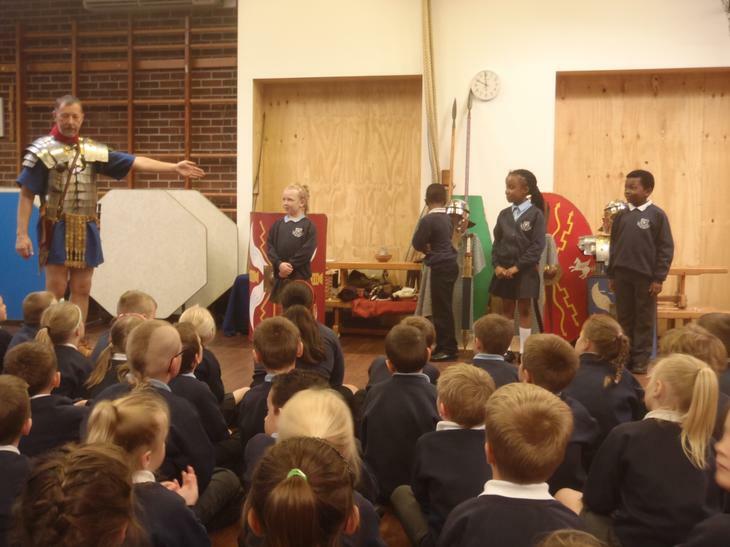 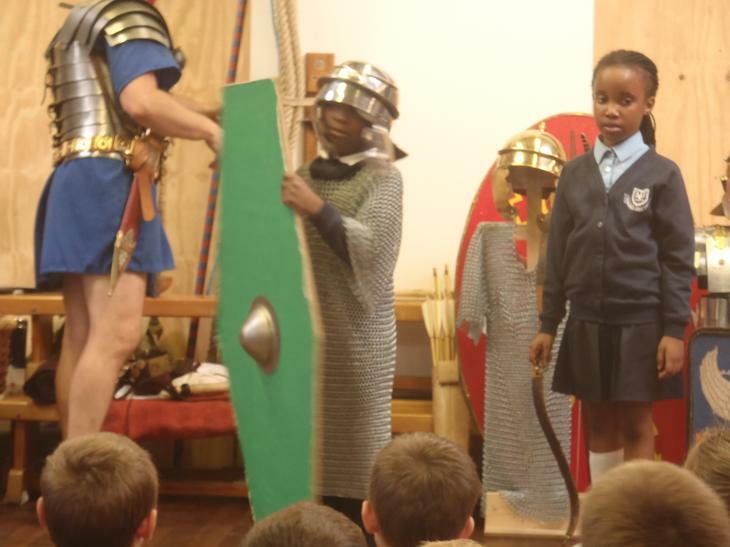 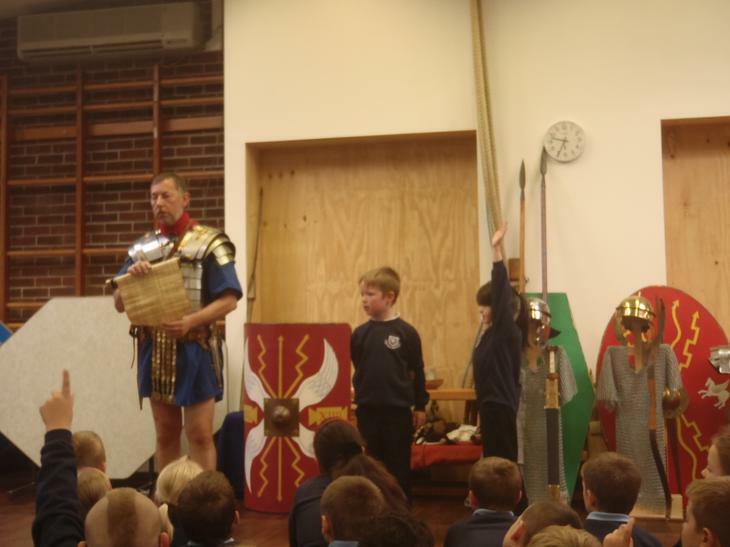 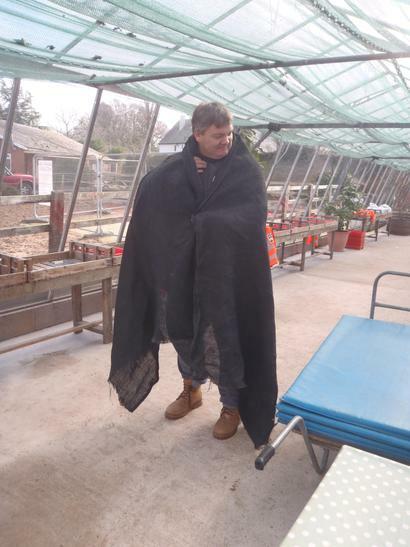 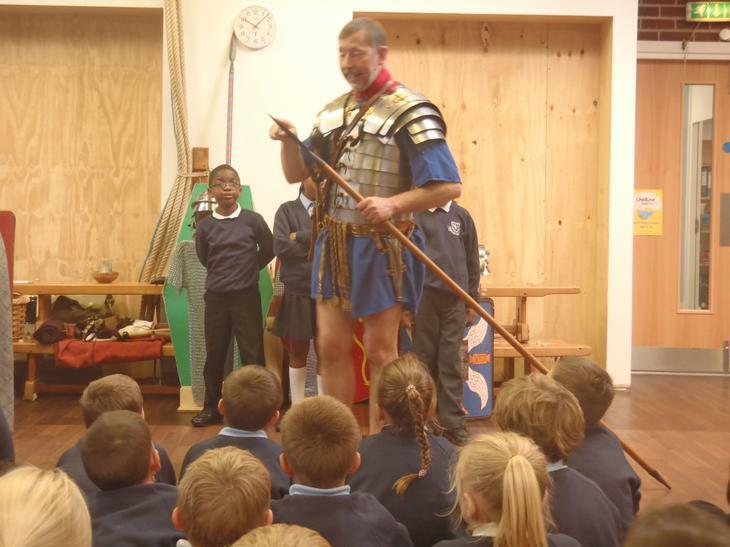 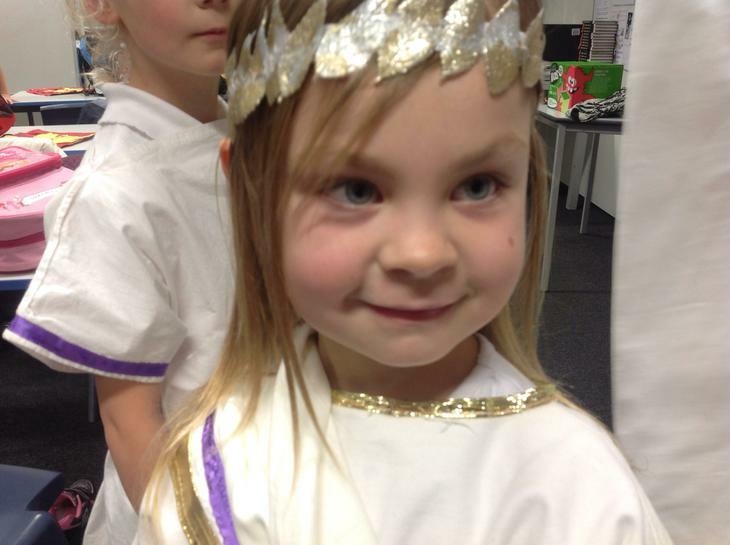 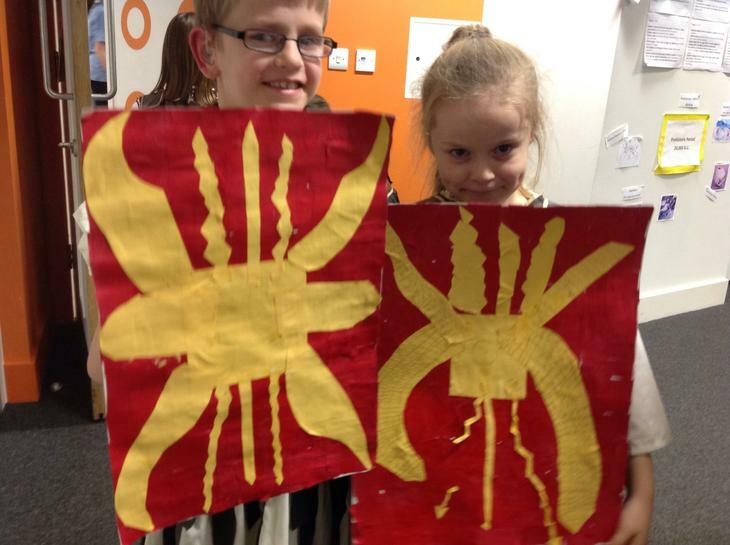 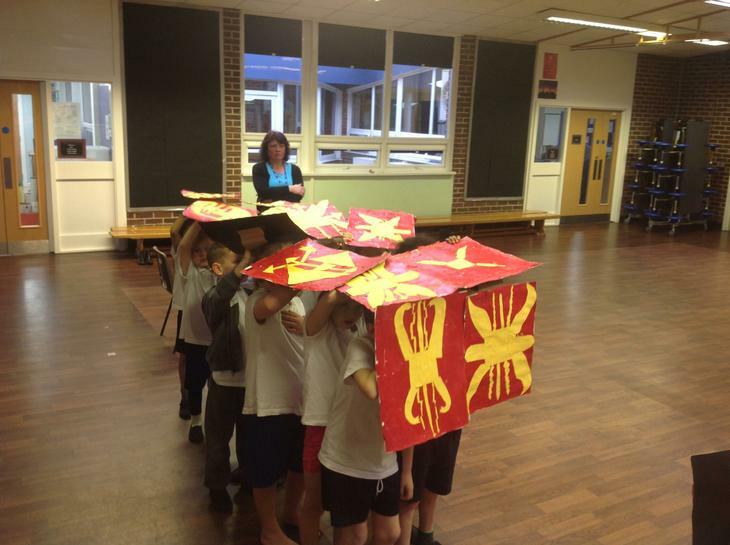 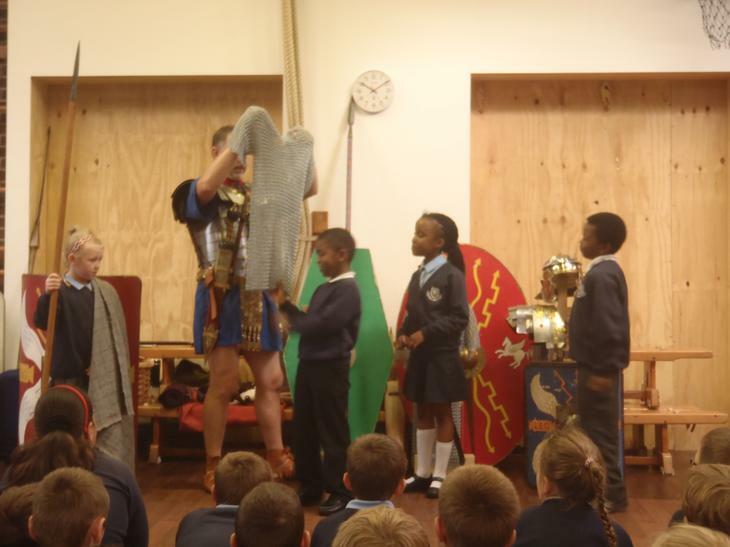 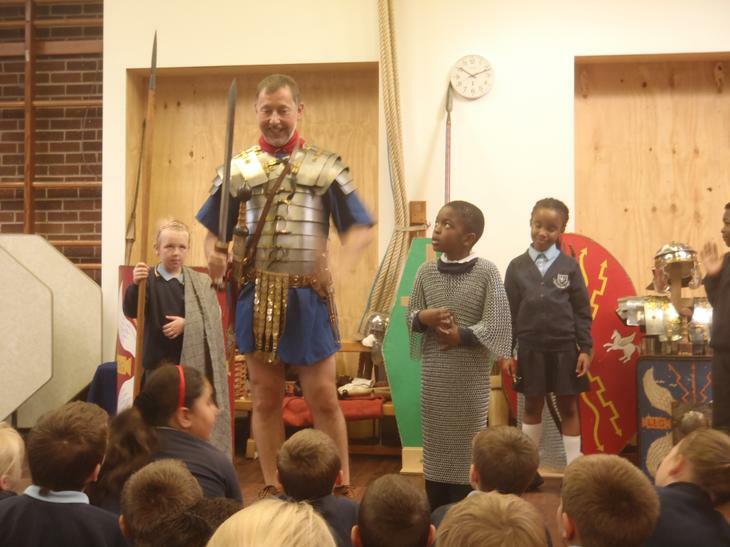 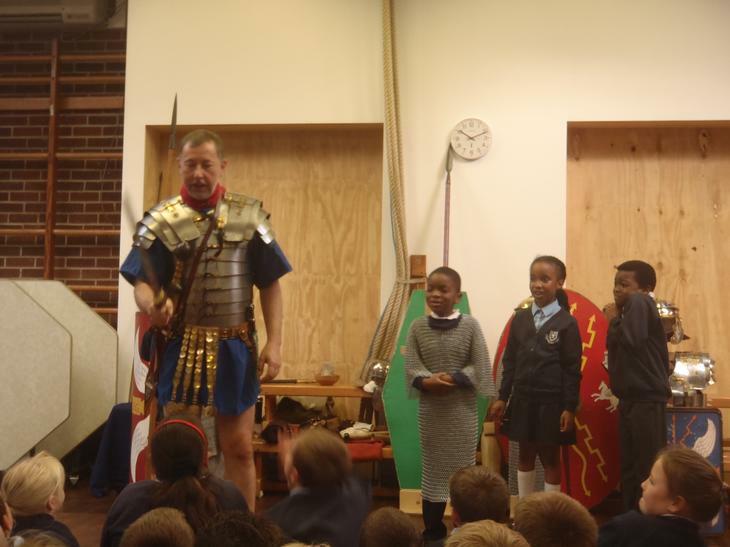 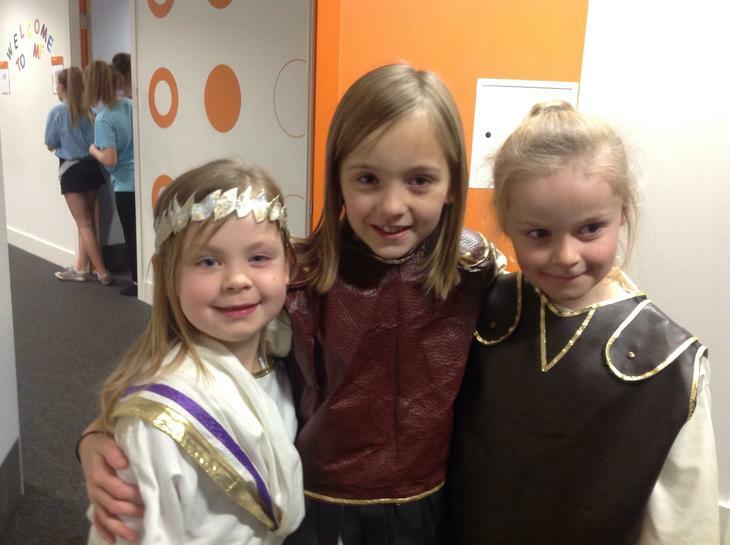 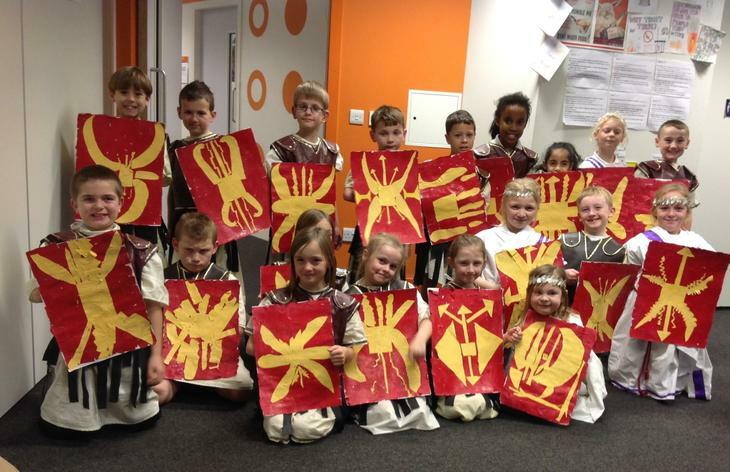 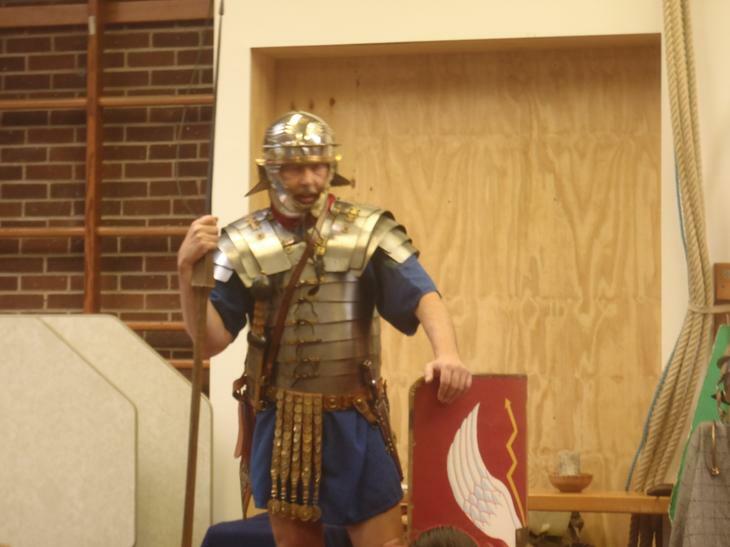 To start the topic off we had a real Roman soldier in school! 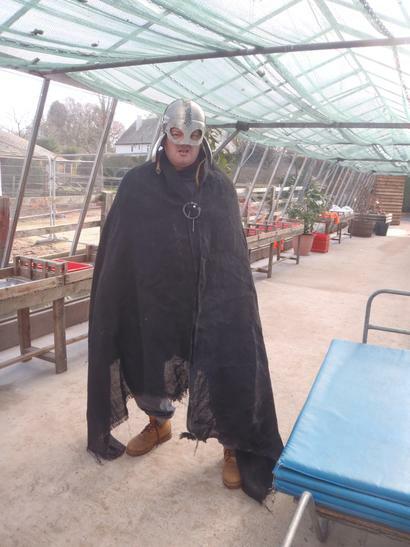 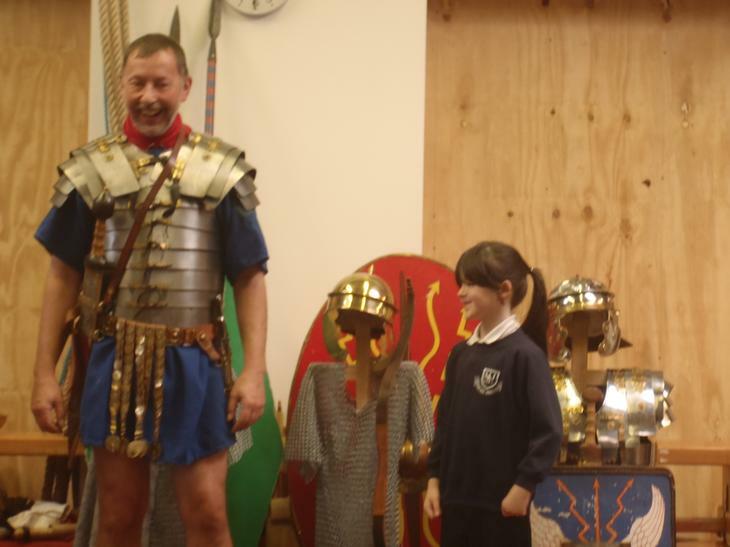 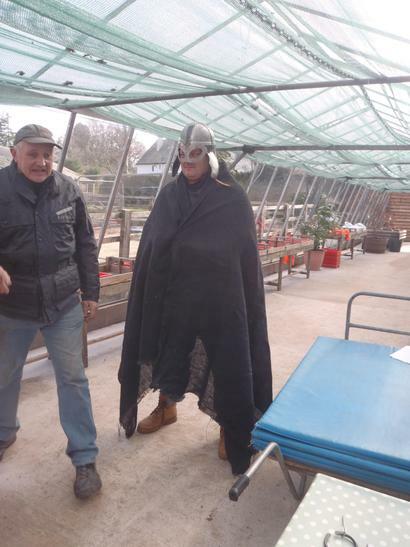 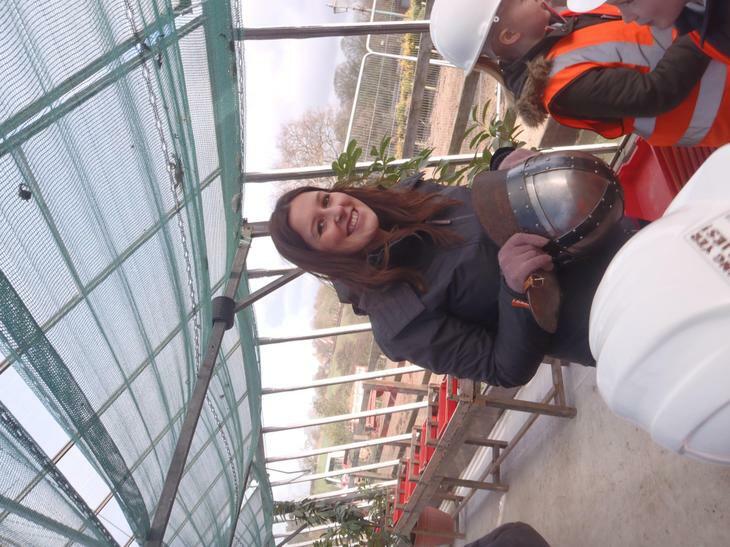 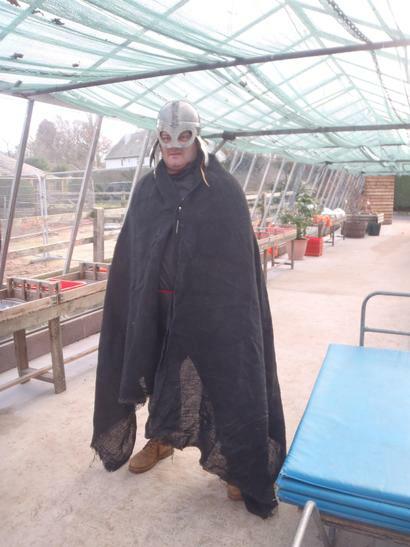 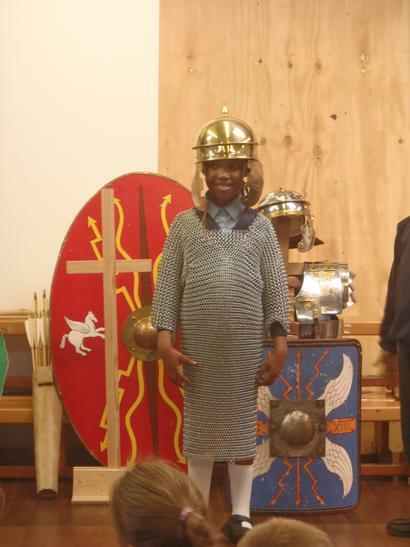 He taught us lots of information about the Romans and some of us even got to try on the armour! 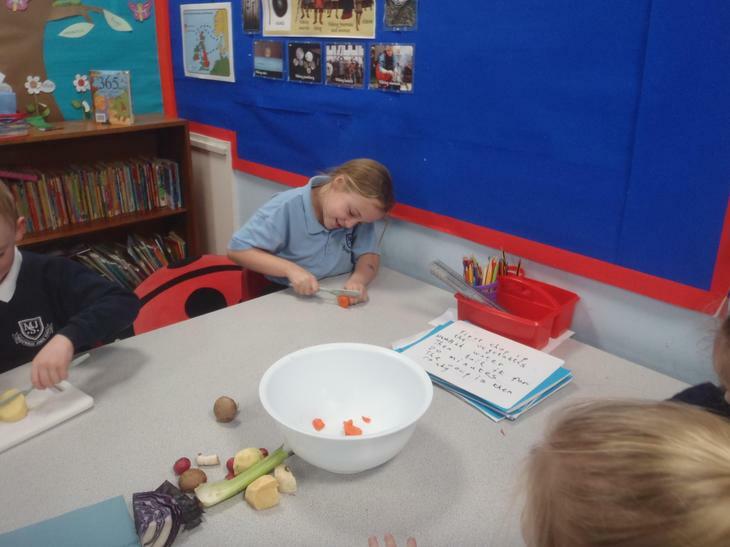 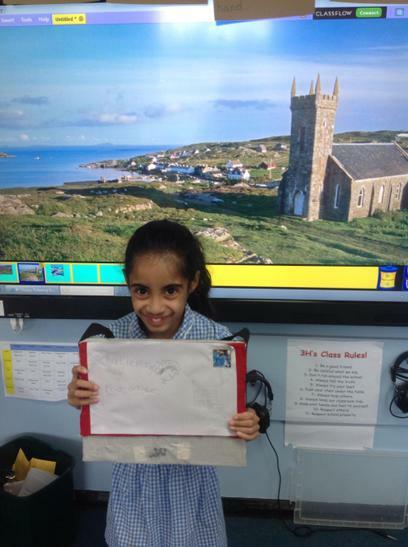 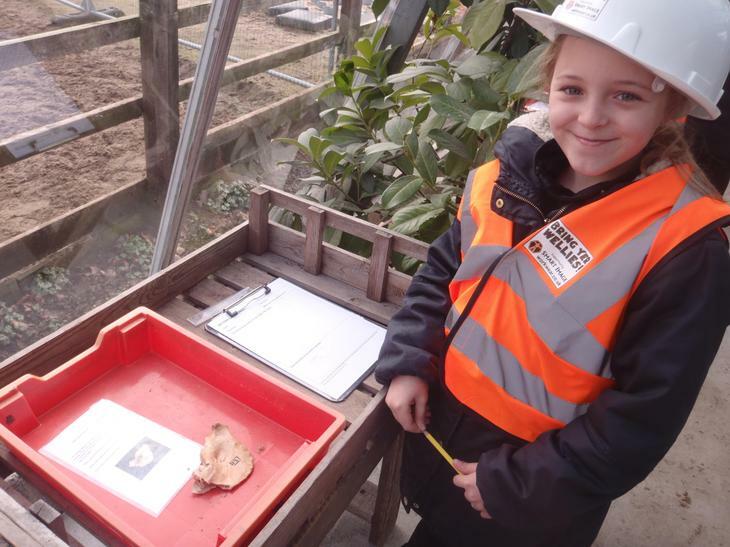 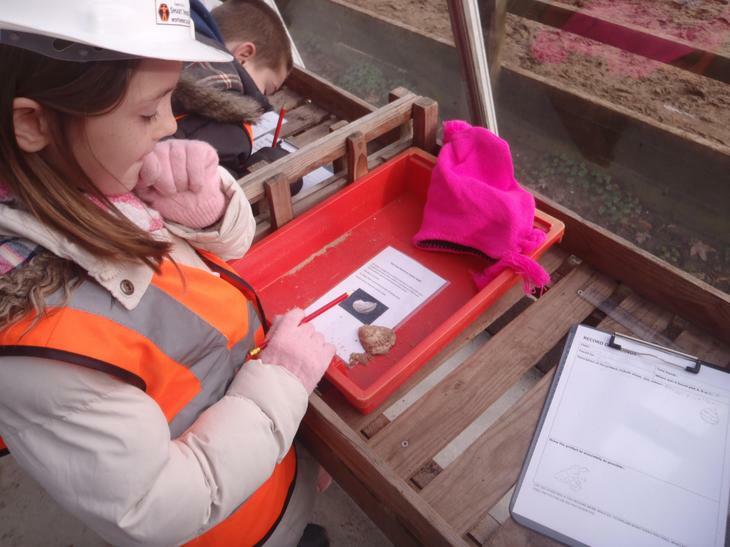 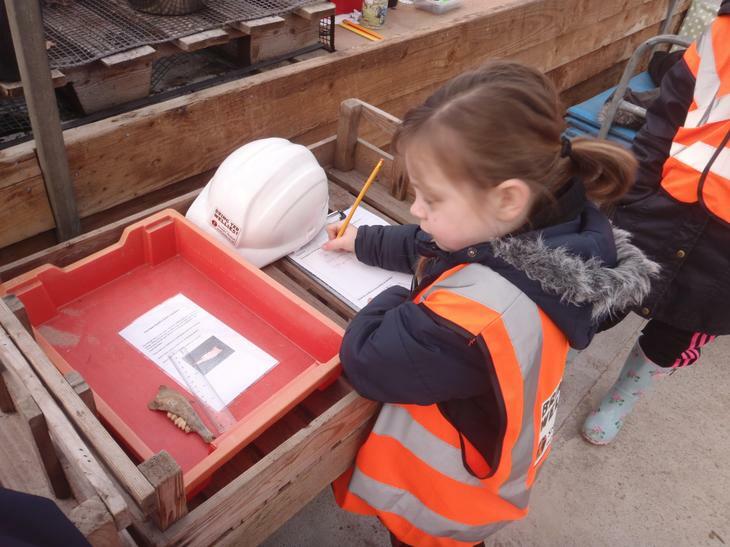 We started the year by learning all about Lancashire. 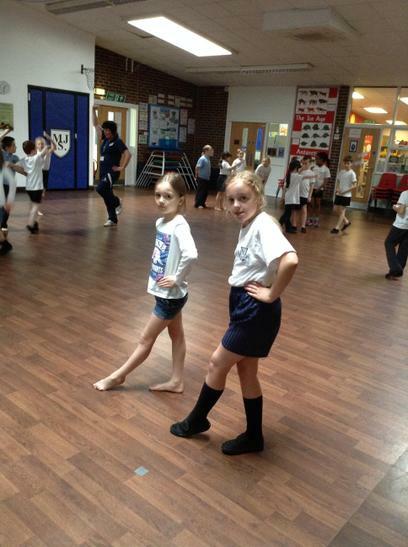 We have been learning some songs from Lancashire and even had a go at clog dancing! 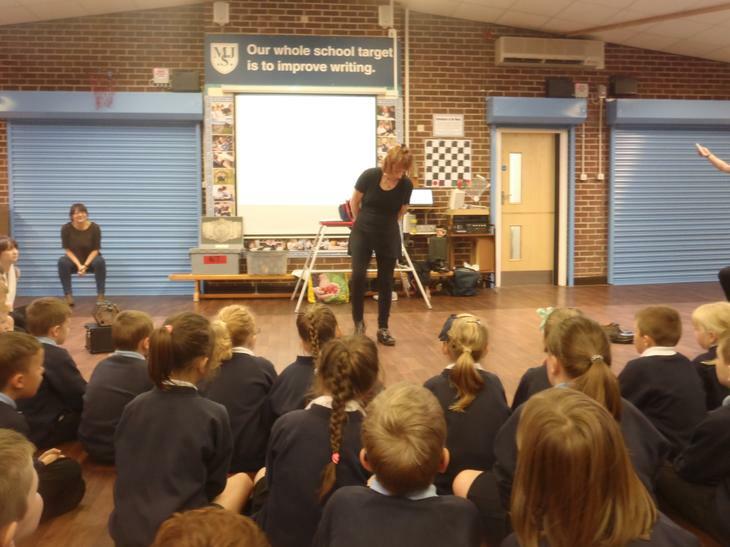 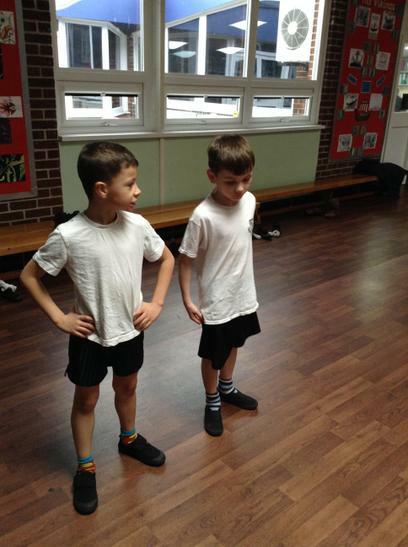 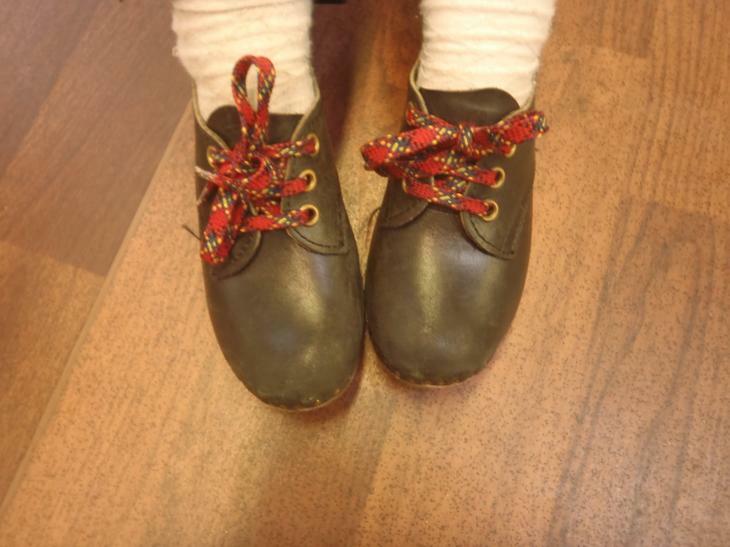 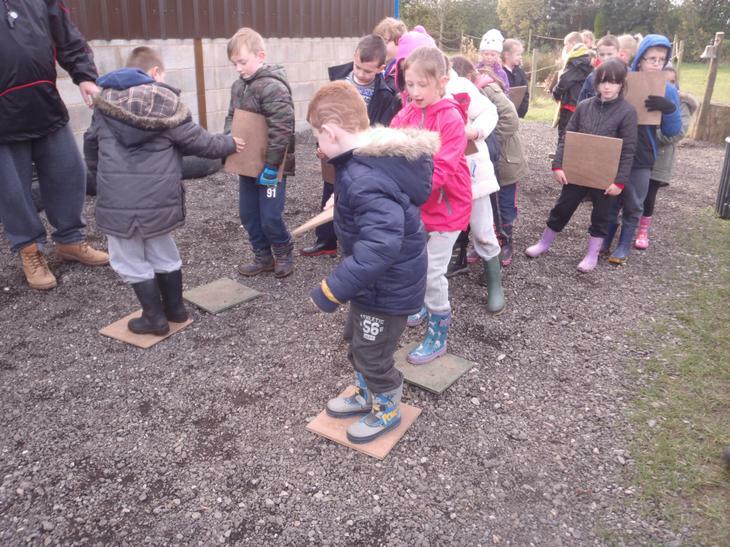 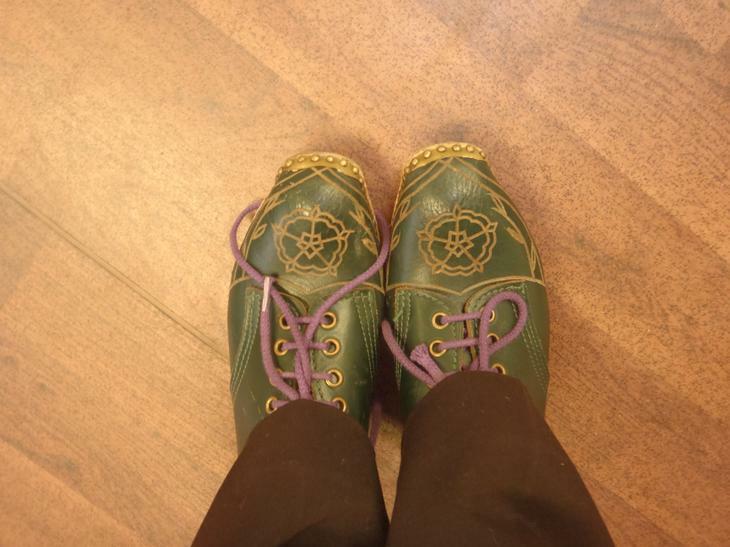 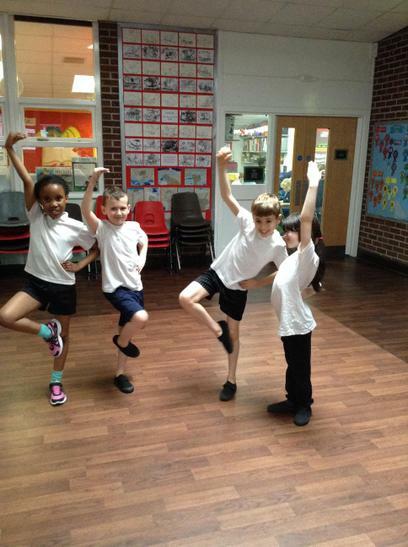 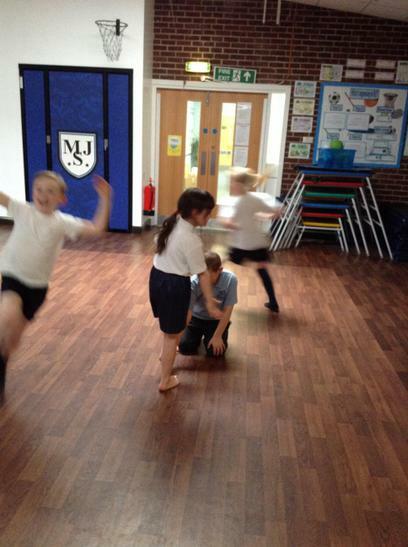 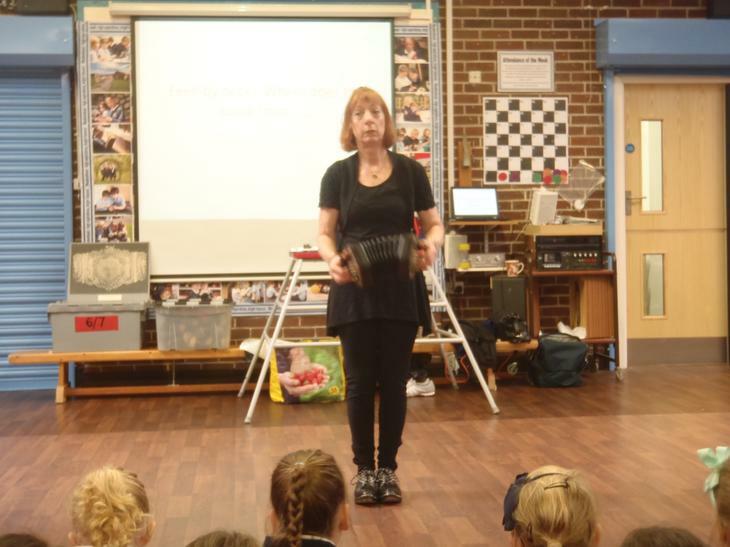 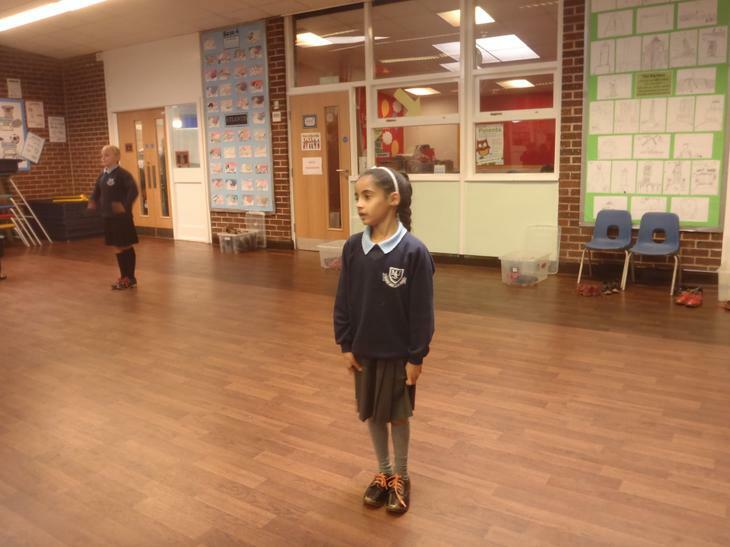 Everybody had so much fun as we learnt from a professional dancer and got to wear some clogs!